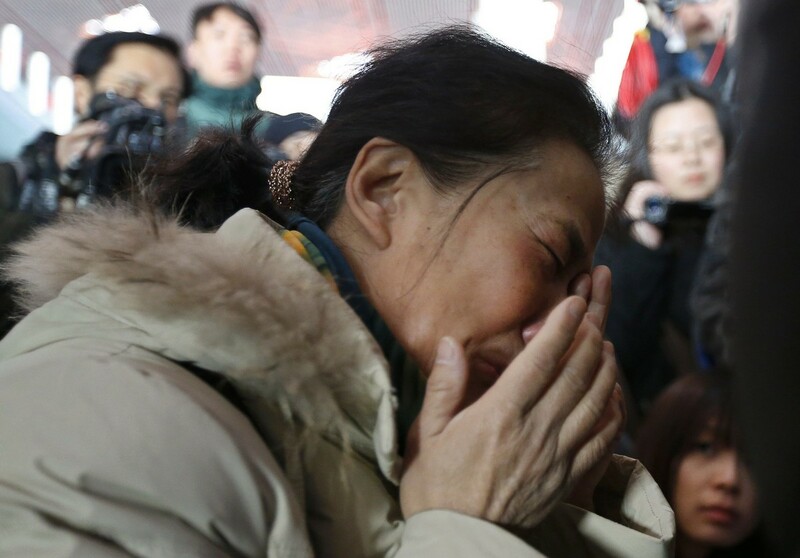 BEIJING - No evidence has been found linking the 153 Chinese passengers aboard the missing Malaysia Airlines flight to terror or hijacking, state media said Tuesday, citing Beijing's envoy in Kuala Lumpur. 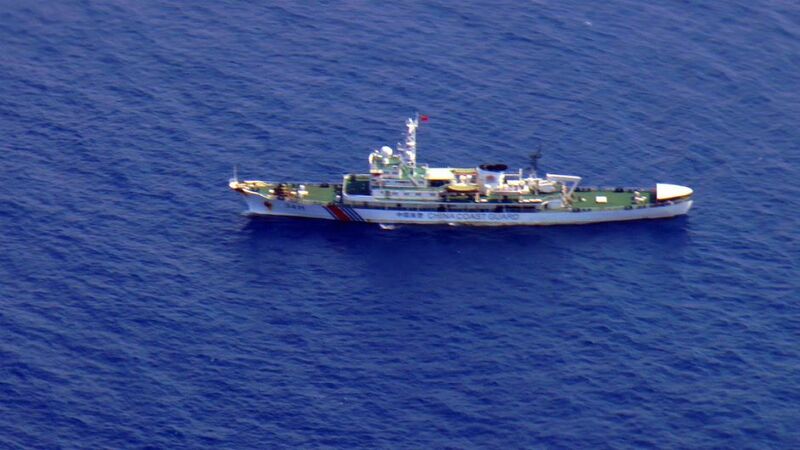 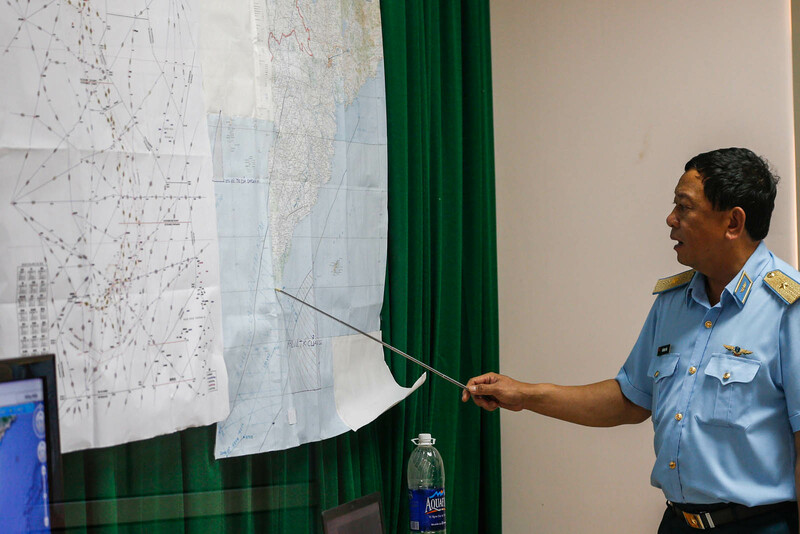 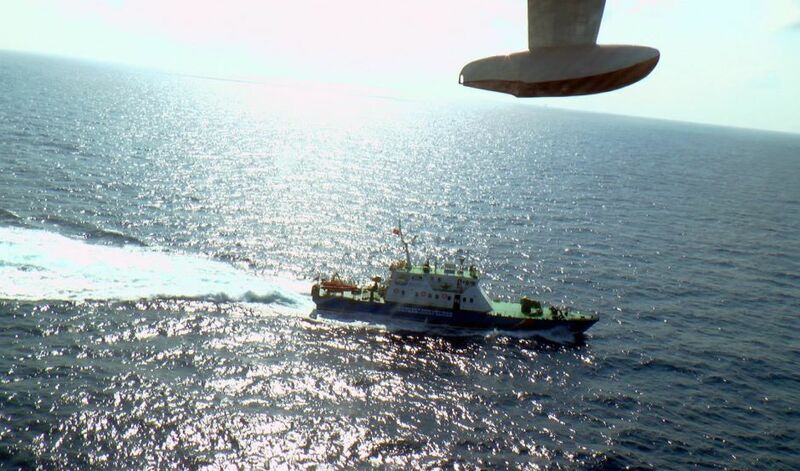 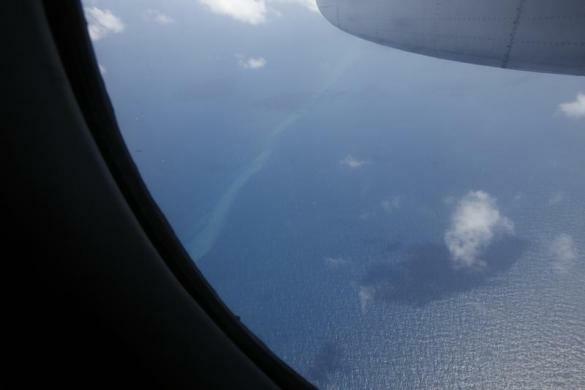 Meanwhile, with a huge international search covering vast areas north and south of the plane's last known position, China has begun searching for the aircraft on its own territory, said foreign ministry spokesman Hong Lei. 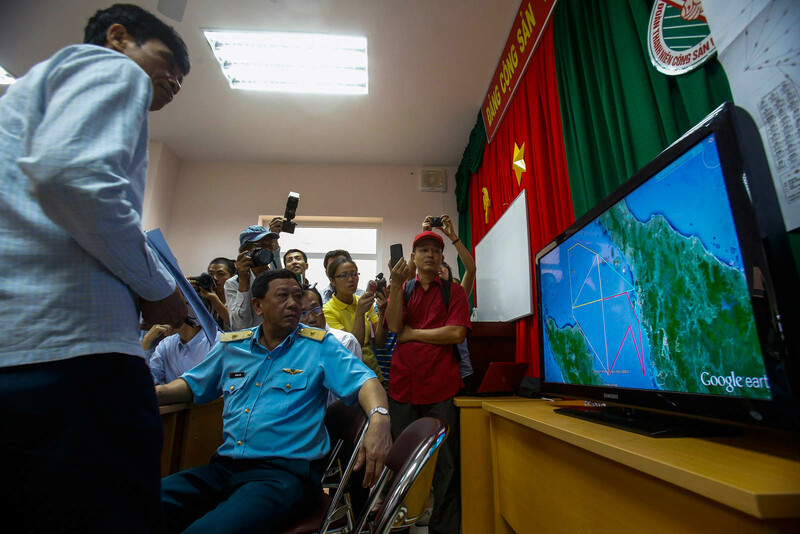 "In accordance with the request of the Malaysian side, we have mobilised satellites and radar for search in the northern corridor inside the territory of China," he told a regular press briefing. 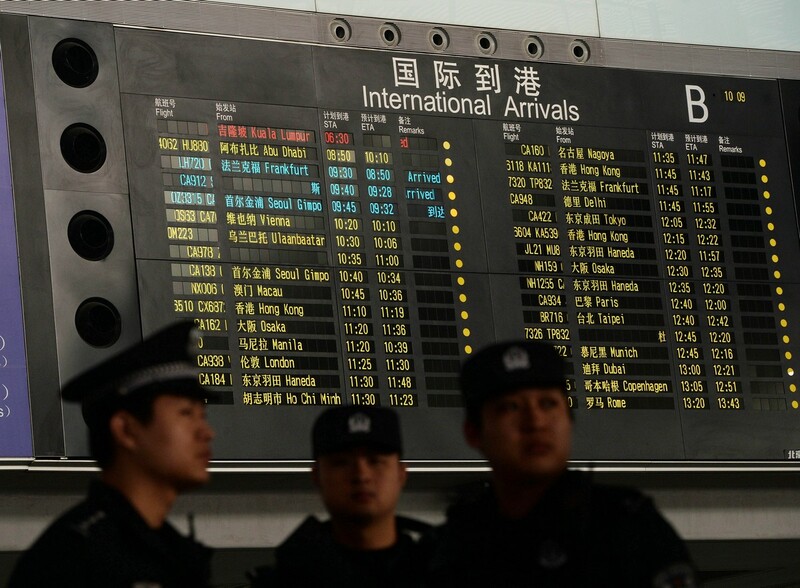 The northern route stretches in an arc over south and central Asia, passing across far-western China including Xinjiang and Tibet, but Hong declined to give details of the search area. 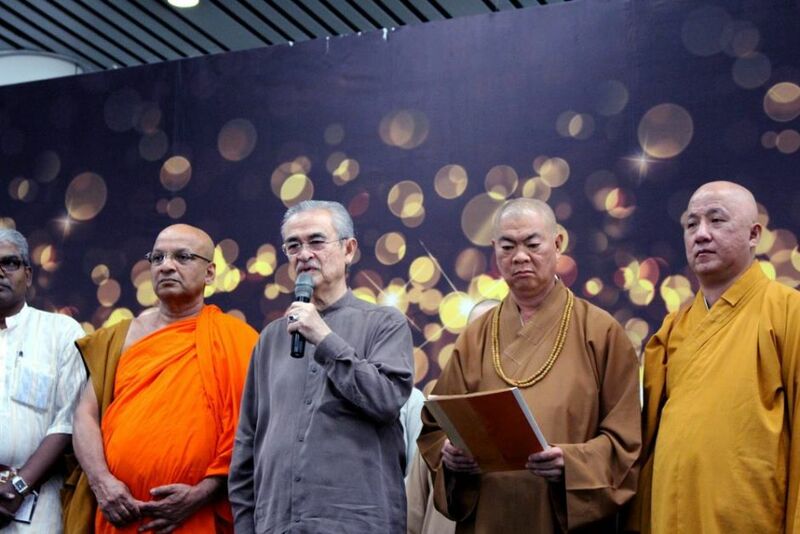 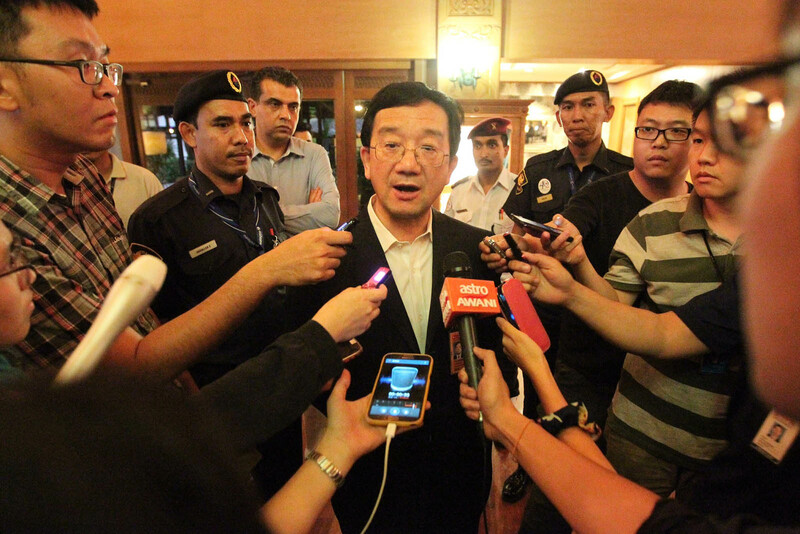 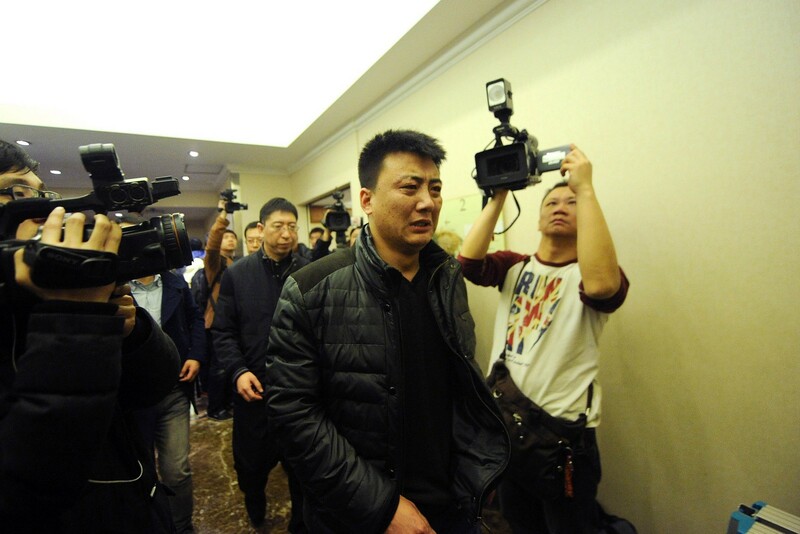 China's ambassador to Malaysia Huang Huikang said background checks on all passengers from the Chinese mainland on board Flight MH370 found no evidence they were linked to a hijacking or terrorist attack on the jet. 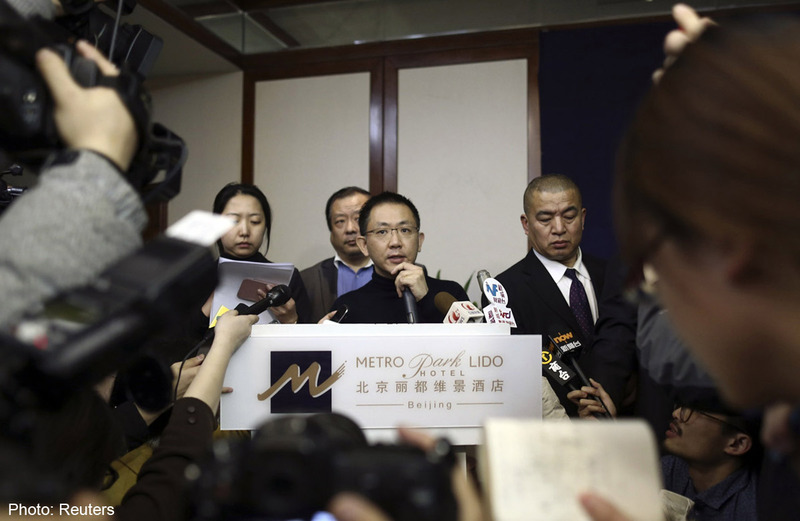 A criminal investigation had been launched, Huang said, according to Xinhua news agency, adding that "the probe into the incident's cause is not suitable to be conducted in a high-profile way". 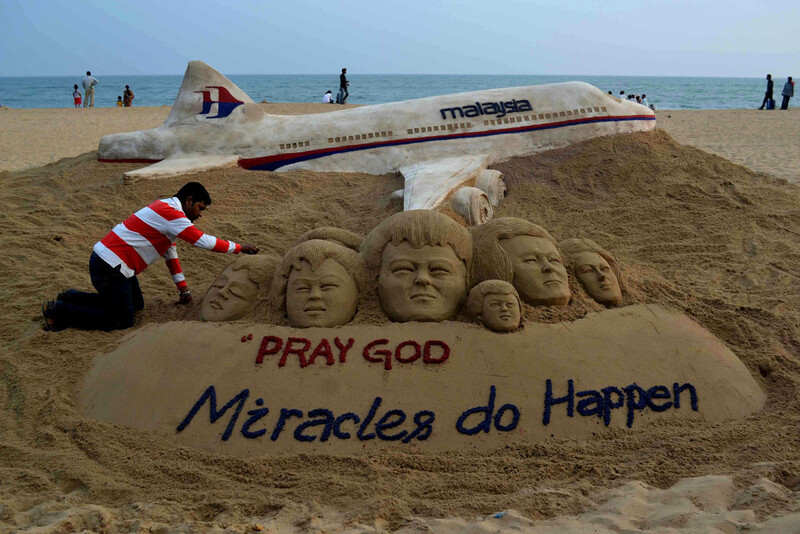 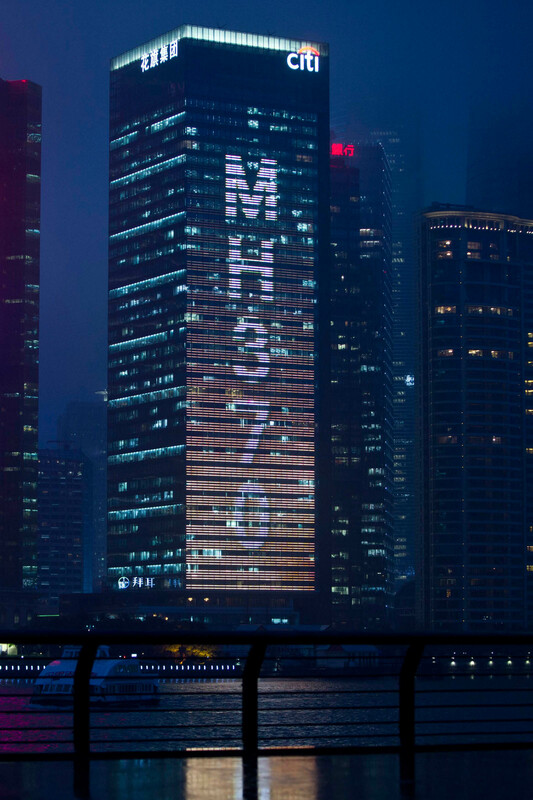 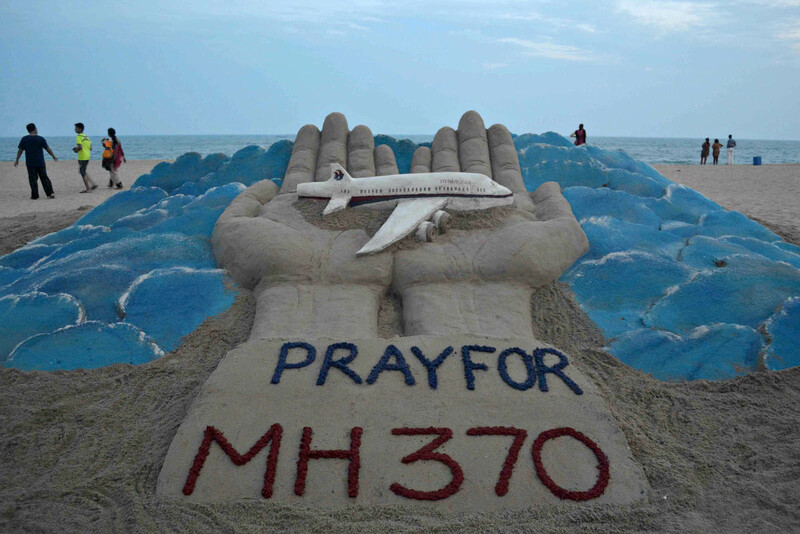 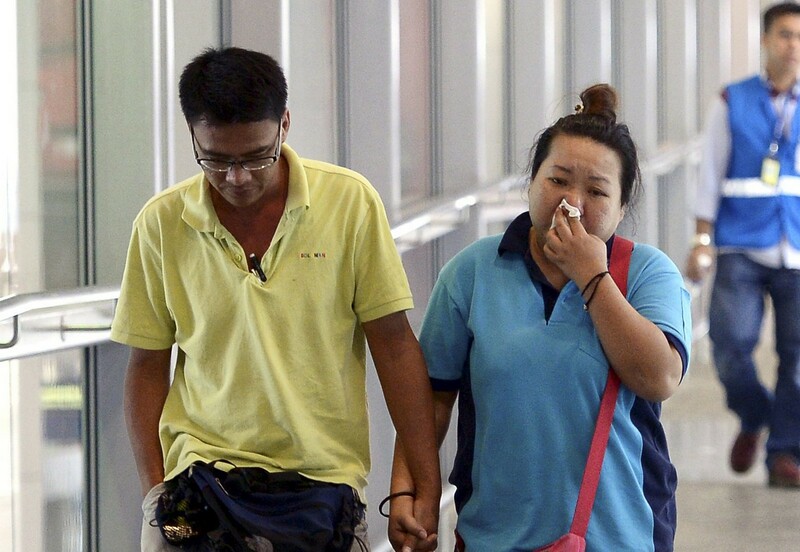 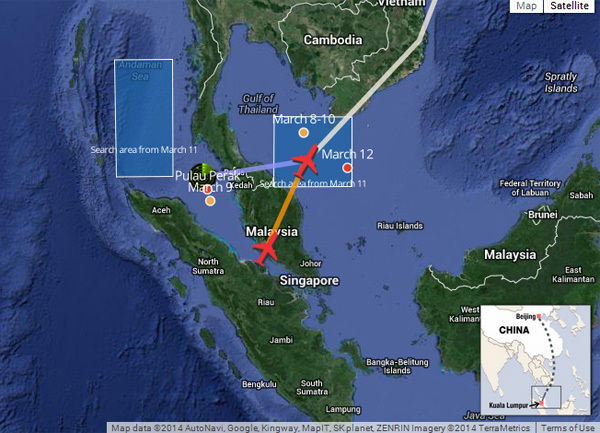 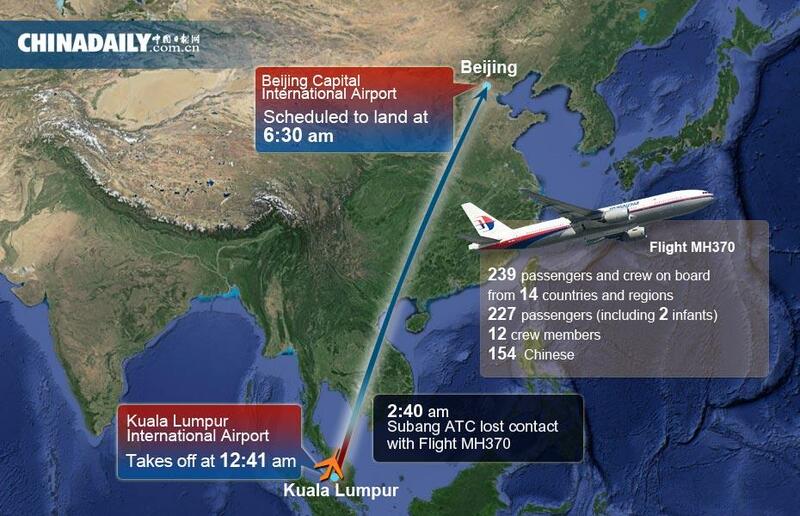 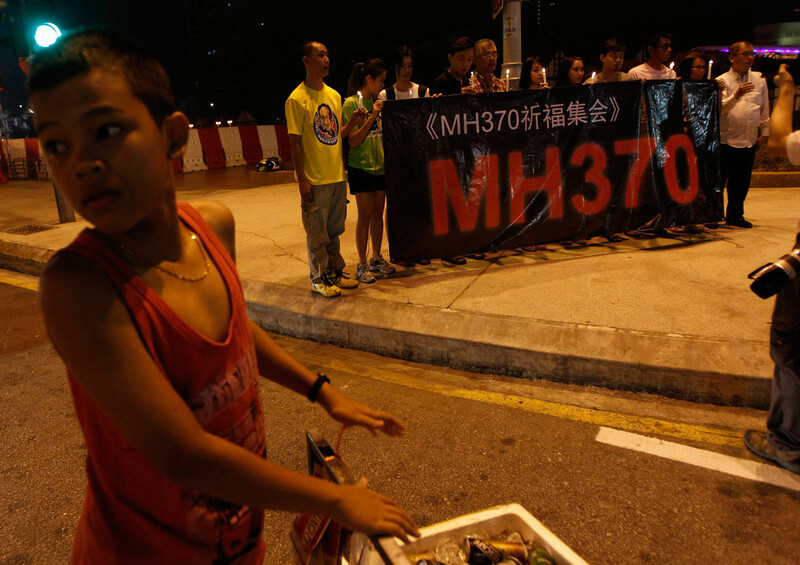 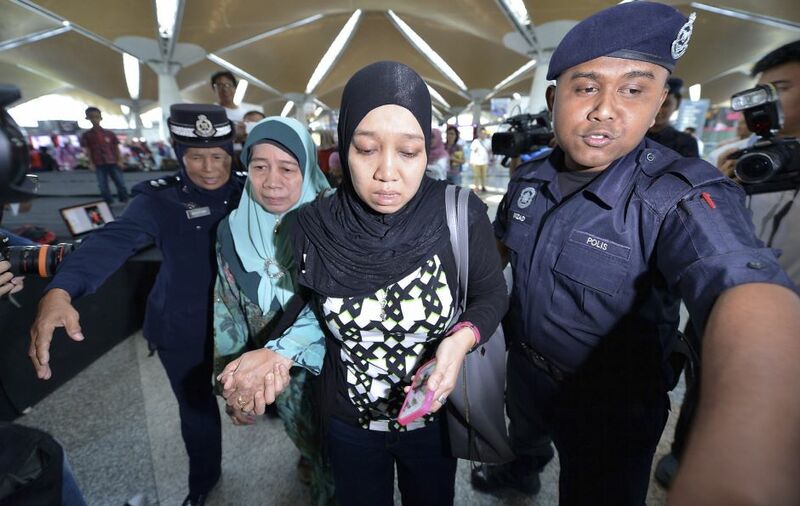 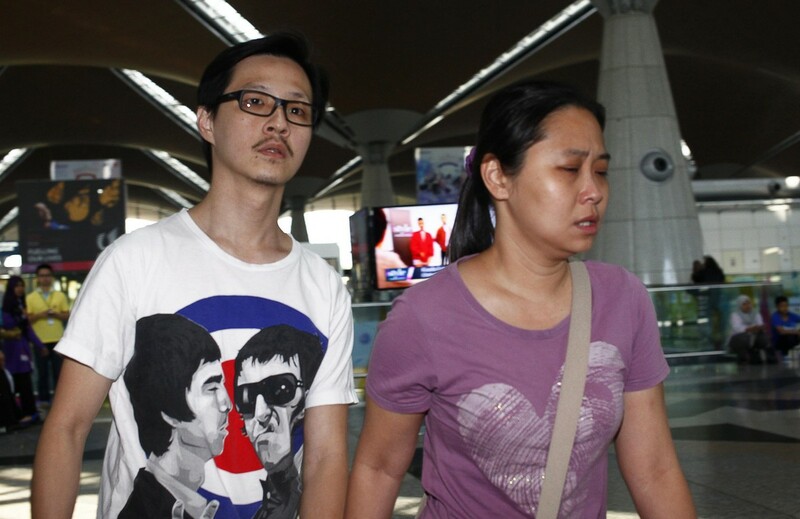 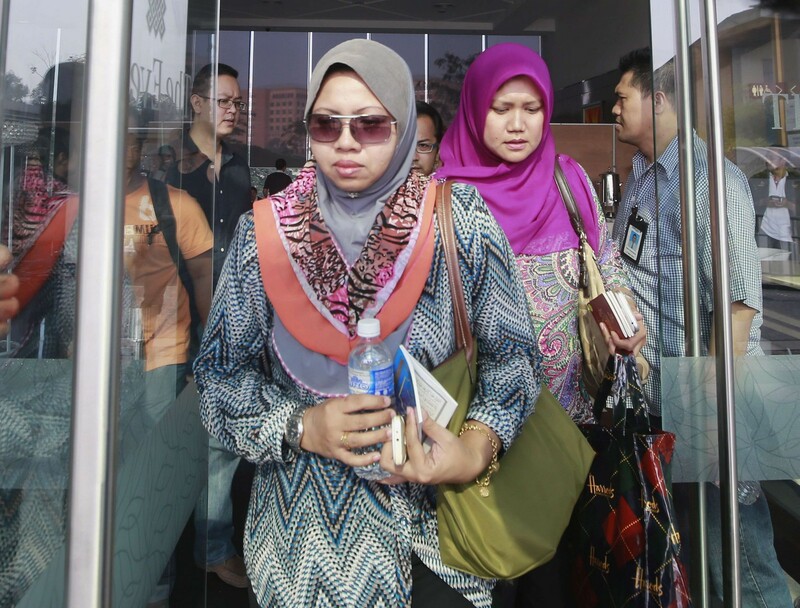 The jet disappeared on March 8 with 239 people on board after taking off from Kuala Lumpur bound for Beijing. 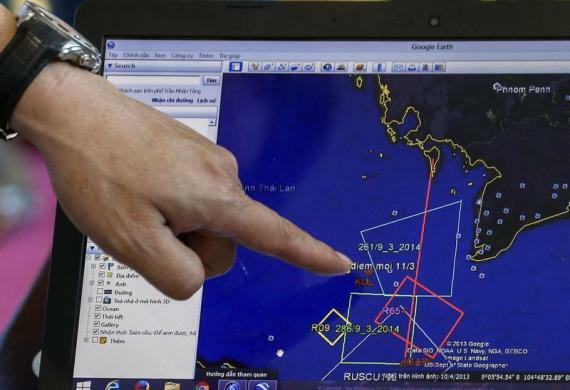 Investigators say it was deliberately diverted off course. 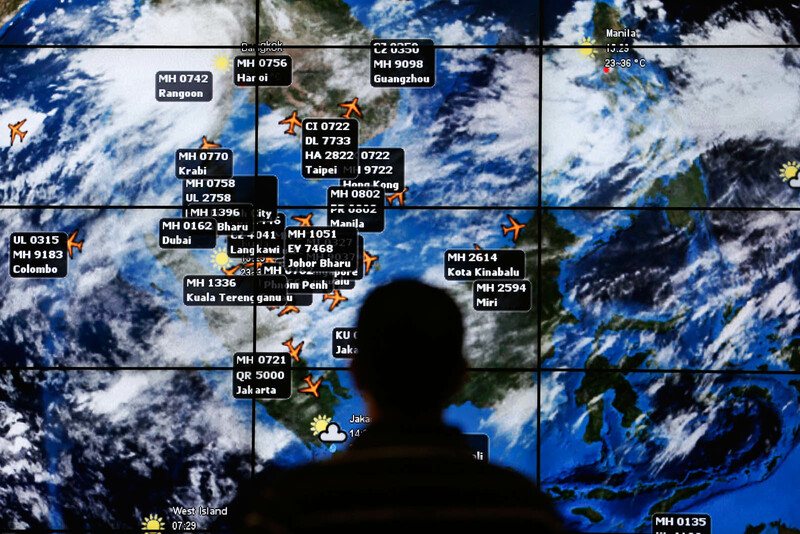 Twenty-six countries are now helping to hunt for the plane after satellite and military radar data projected two huge corridors through which it might have flown. 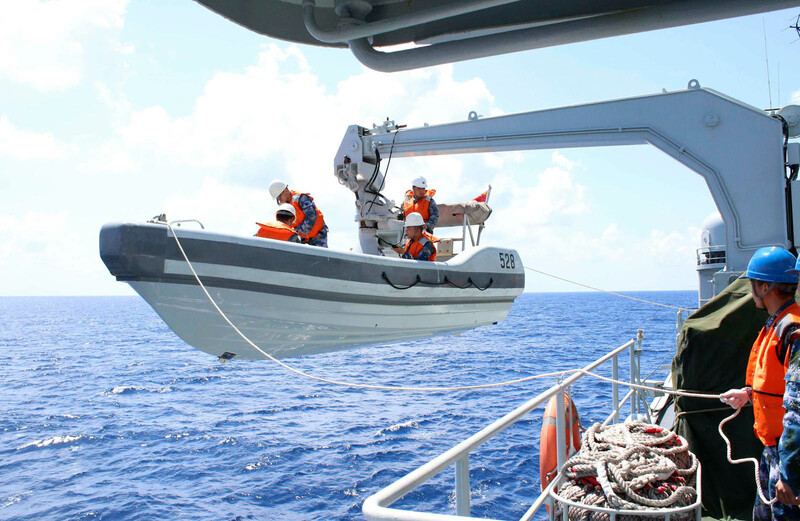 The southern corridor swoops deep into the southern Indian Ocean west of Australia. 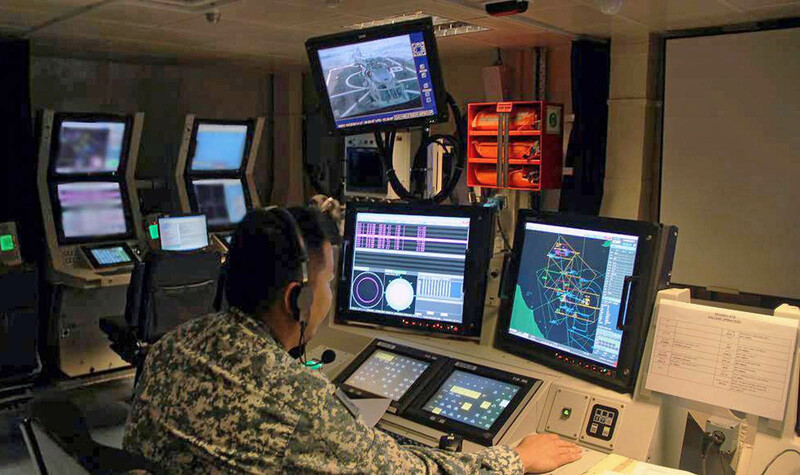 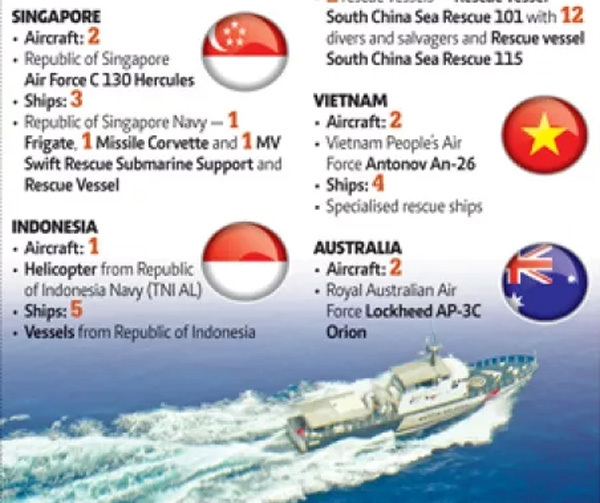 Hong said that as well as deploying more than 10 ships in "relevant waters", China had also mobilised several aircraft and 21 satellites for the search. 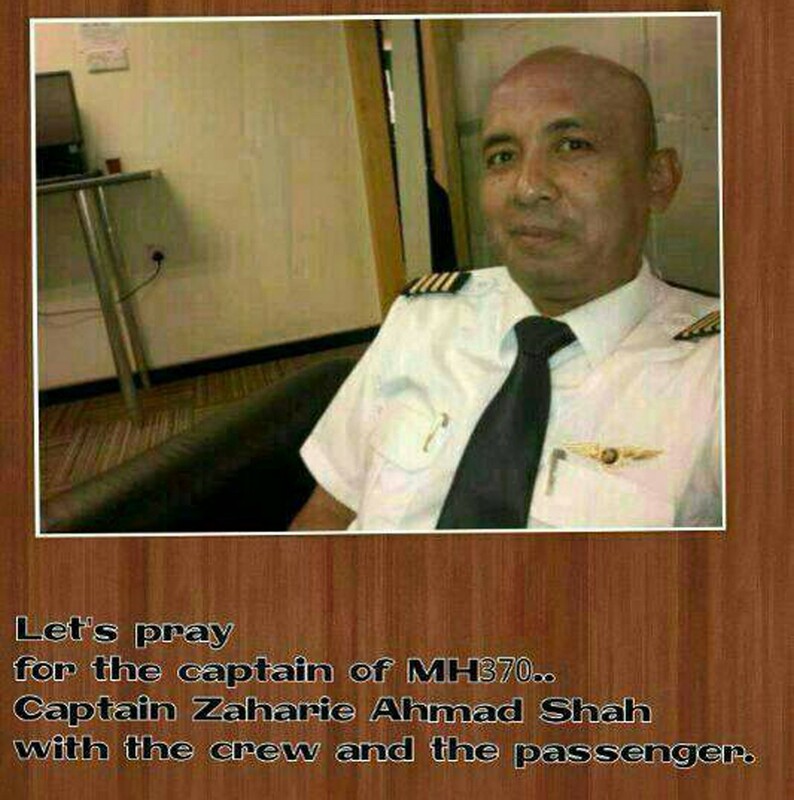 The investigation has zeroed in on the plane's captain, Zaharie Ahmad Shah, and his co-pilot Fariq Abdul Hamid. 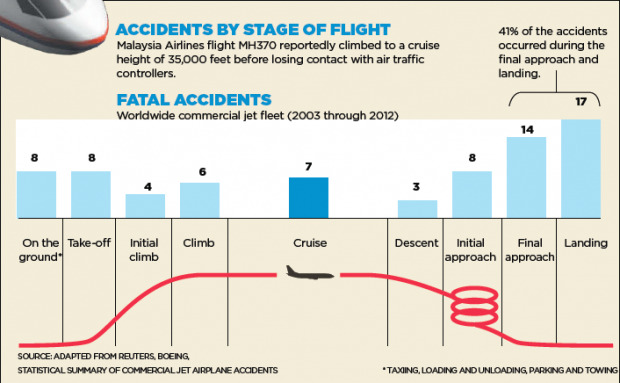 A key question is who was in control of the aircraft when it veered off course about an hour into its flight. 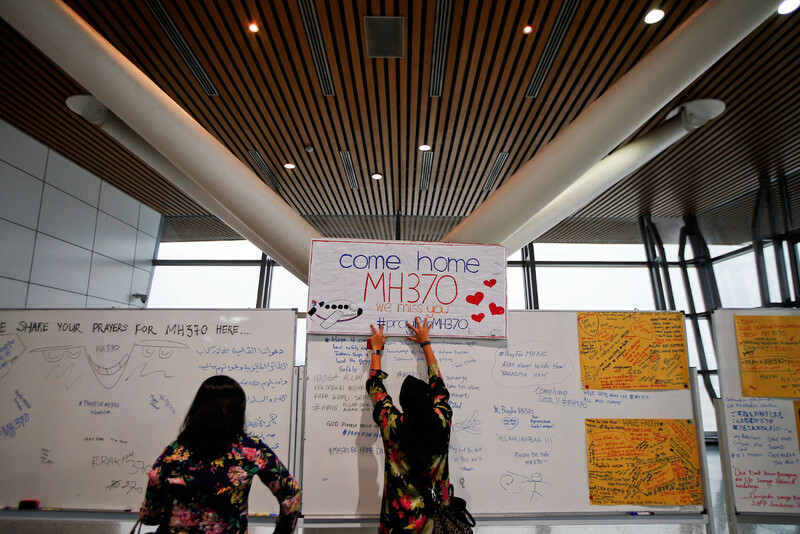 "The Malaysian government has been doing its best in search and investigation, but it lacks experience and capability to handle this kind of incident," Huang said, according to Xinhua. 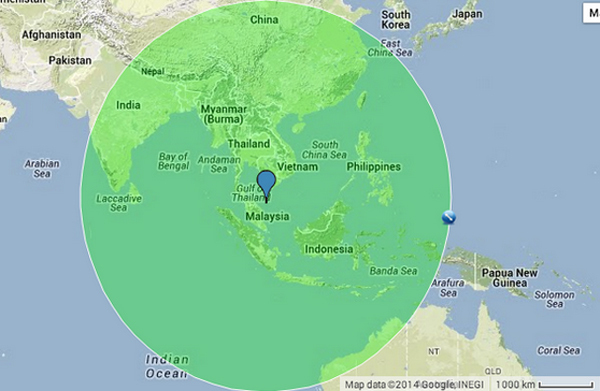 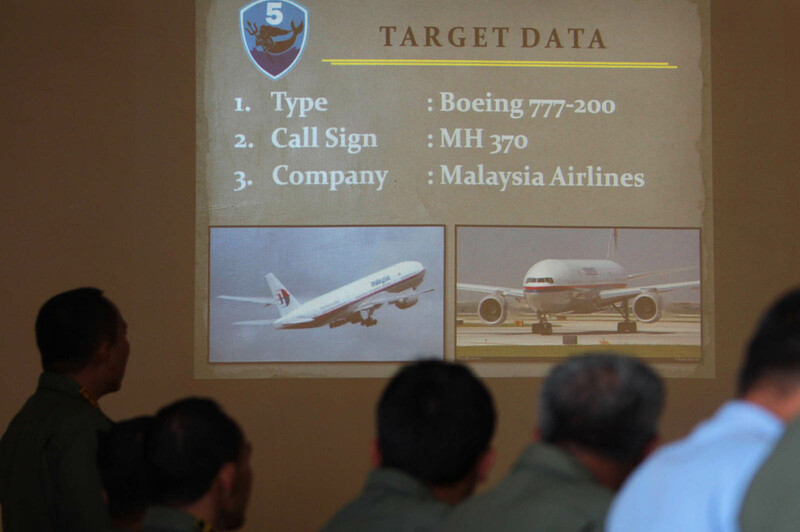 There are more than 600 airfields within the flying range of the missing MH370. 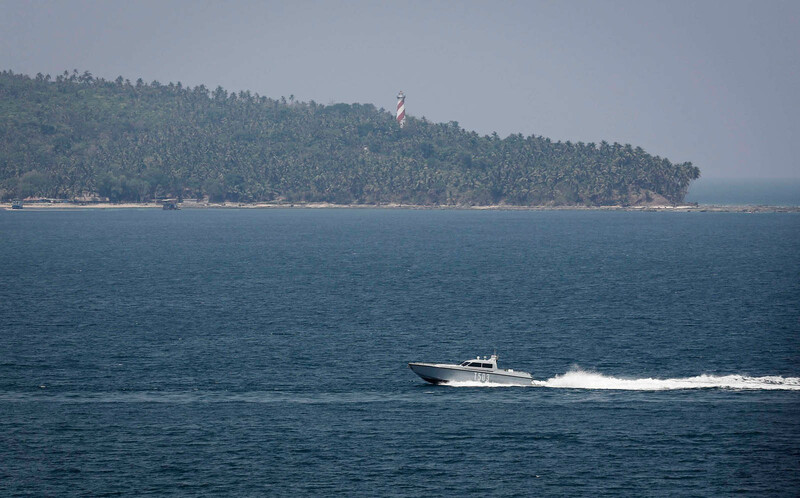 An Indian Navy boat patrols in the waters of the Andaman Sea near Port Blair, the capital of India's Andaman and Nicobar islands, March 16, 2014. 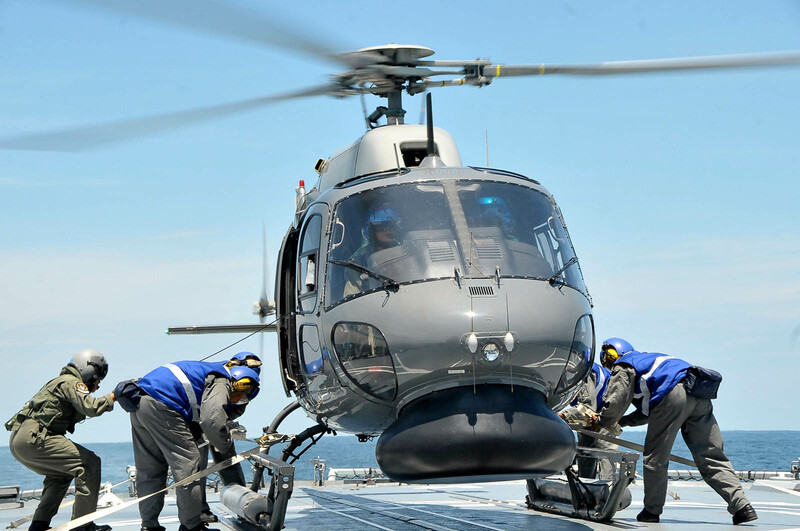 A Royal Malaysian Navy Fennec helicopter preparing to depart to aid in the search and rescue efforts for the missing Malaysia Airlines plane over the Straits of Malacca. 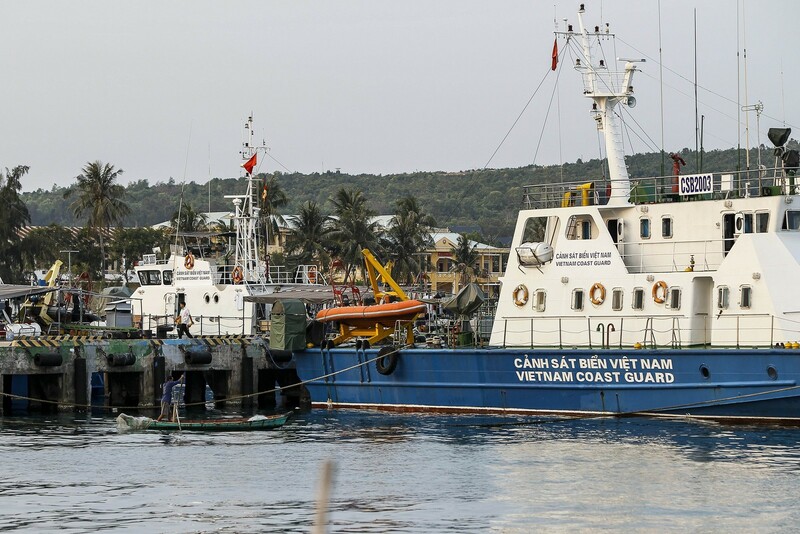 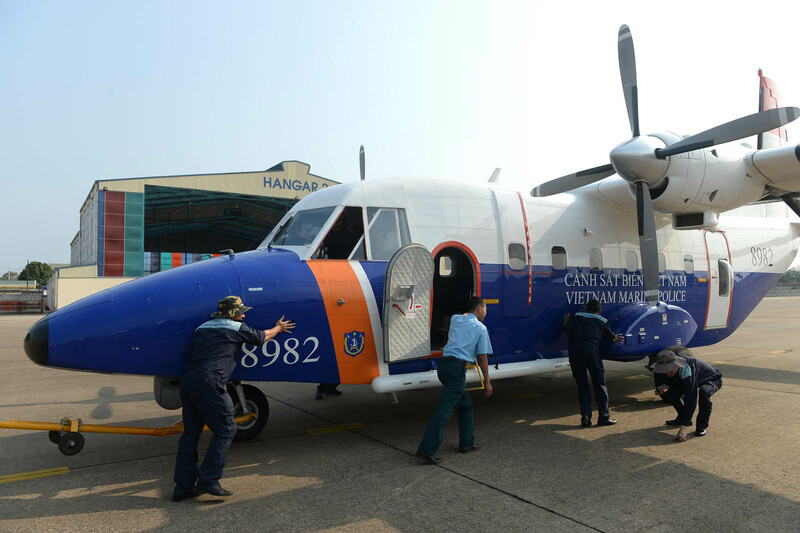 Ground workers push a Vietnam Coast Guard Casa aircraft after a search operation for the missing Malaysia Airlines flight MH370 plane over the southern sea, at a military airport in Ho Chi Minh city on March 13, 2014. 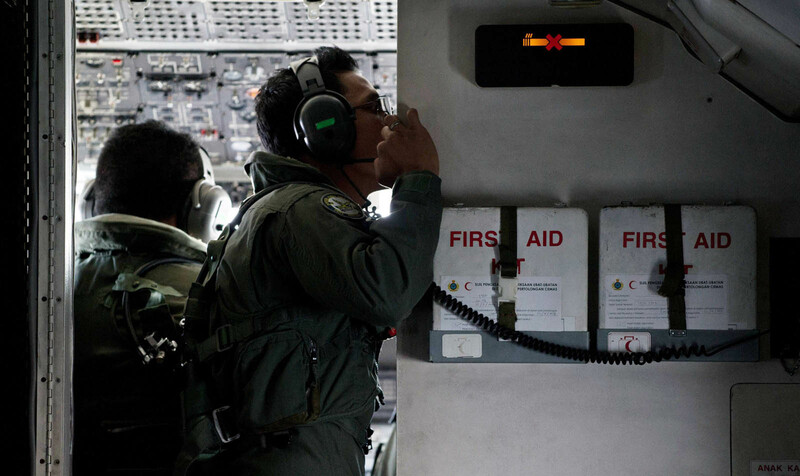 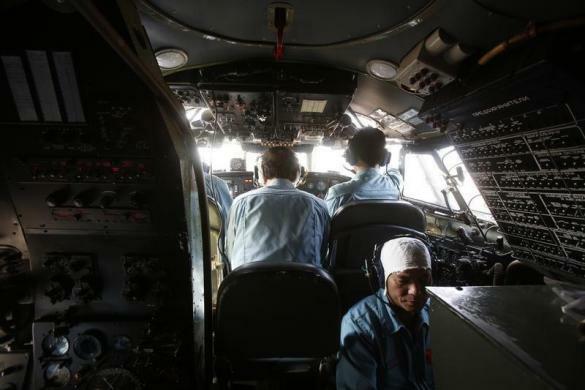 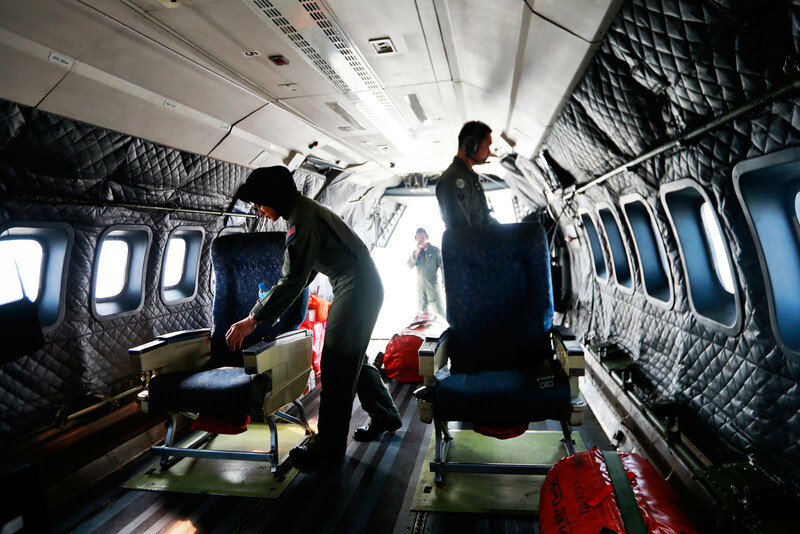 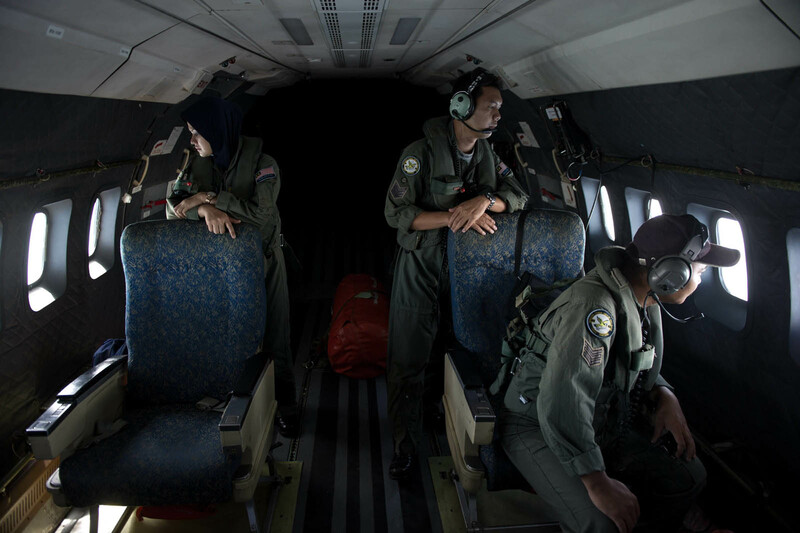 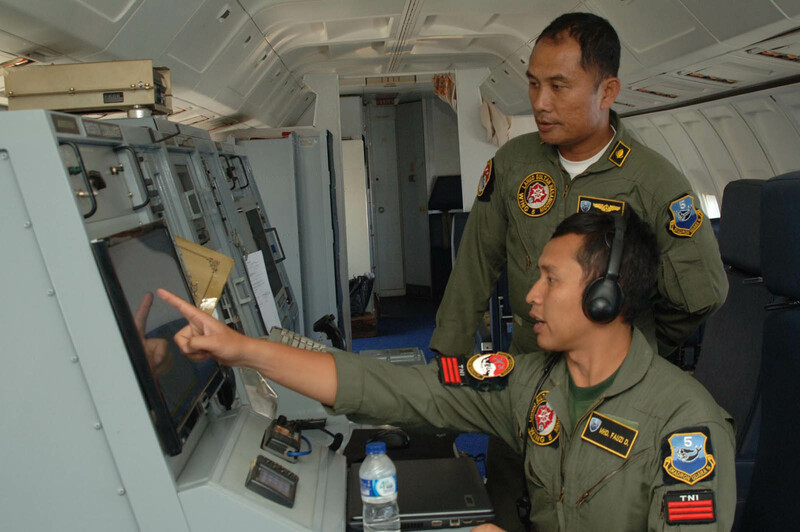 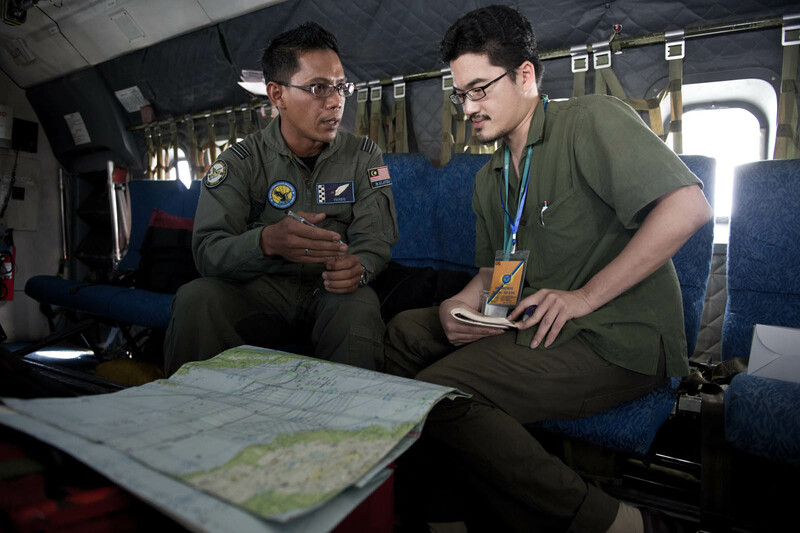 Indonesian Air Force personnel aboard an Indonesian Air Force military surveillance aircraft over the Malacca Strait, a sea passageway between Indonesia and Malaysia, while searching for the missing Malaysia Airlines flight MH370 plane. 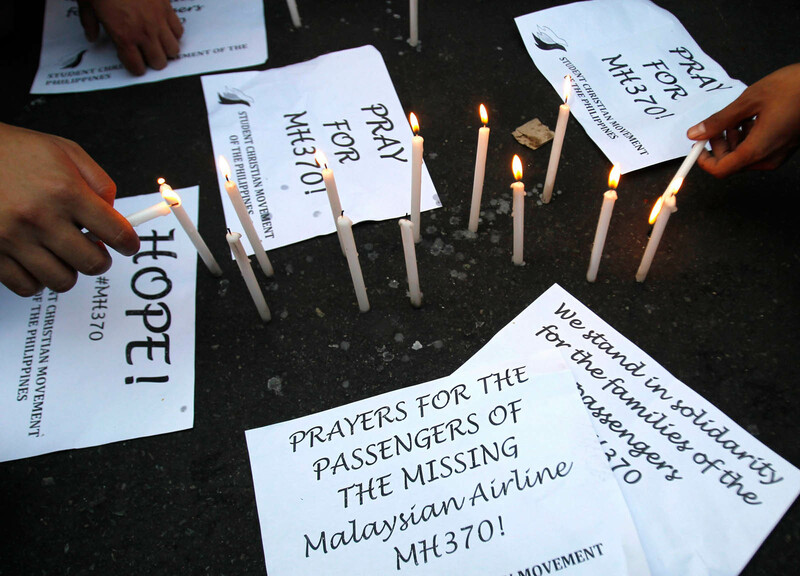 Students light candles as they hold placards in solidarity with families of the passengers of the missing Malaysia Airlines flight MH370 plane during a candle light vigil at the university belt in Manila on March 13, 2014. 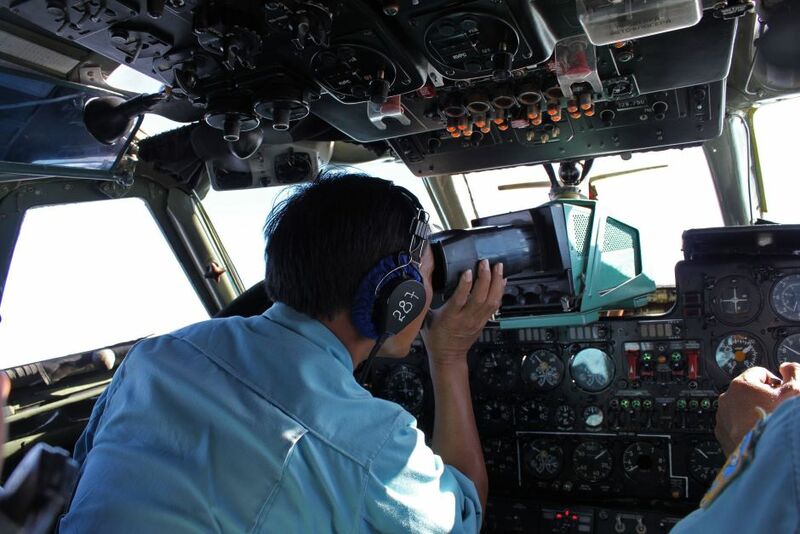 At least 43 ships and 39 aircraft from Malaysia, Vietnam, Singapore, Thailand, China, the US, Indonesia, the Philippines, Australia and New Zealand have joined the search for the missing Boeing 777-200ER. 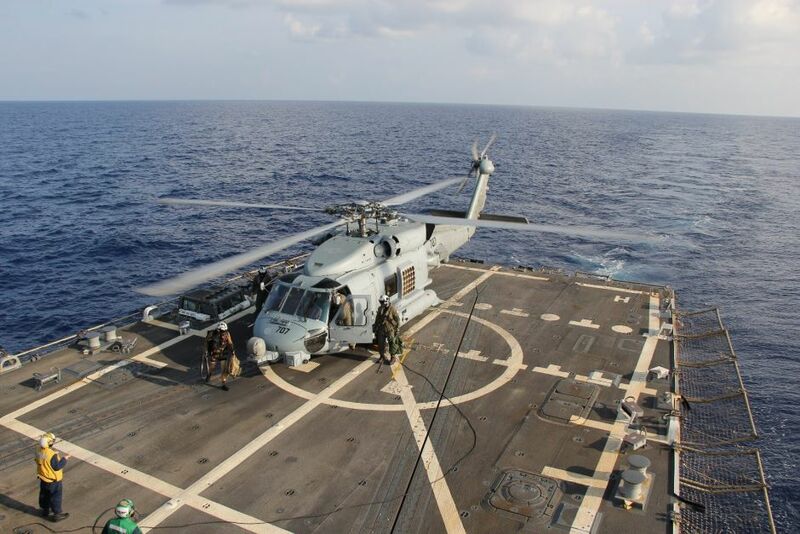 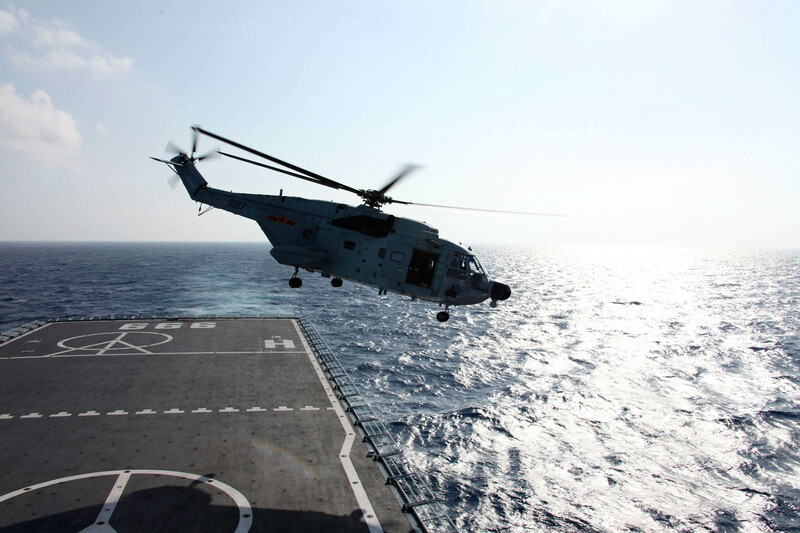 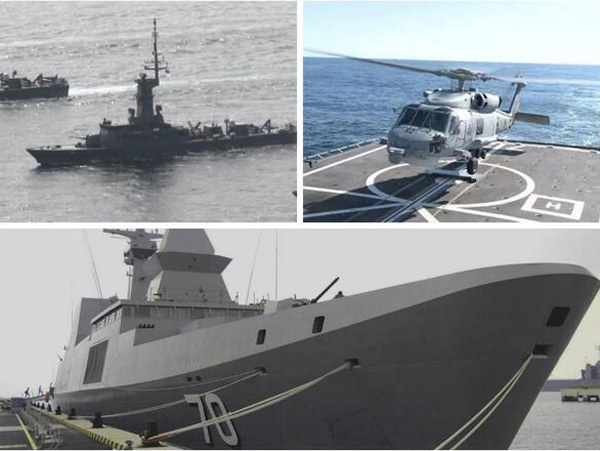 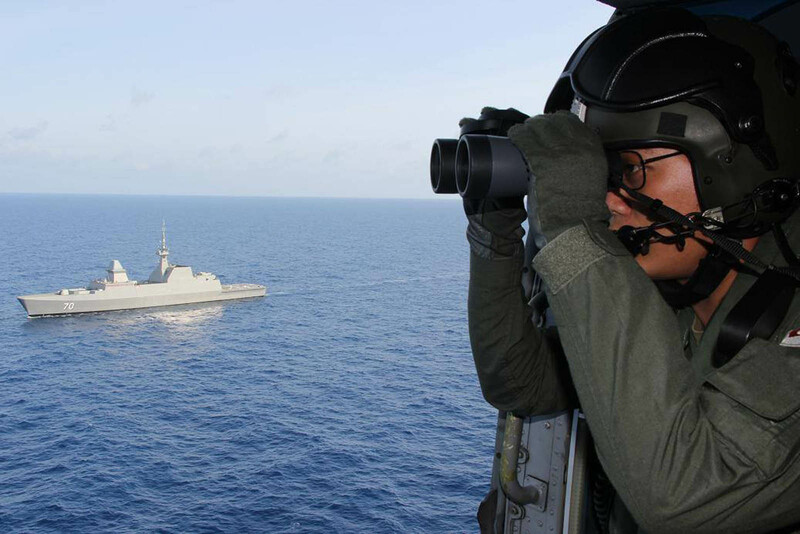 India, Japan and Brunei joined the search operations on March 12. 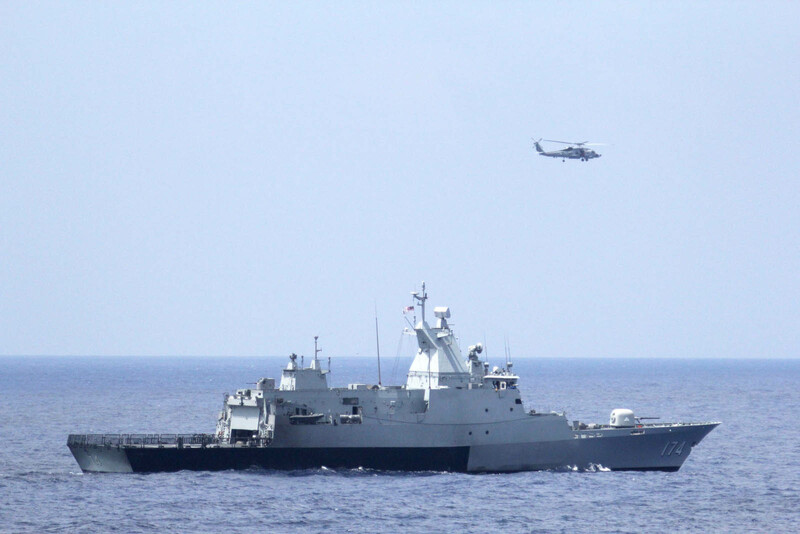 Republic of Singapore Navy personnel participating in the search and rescue operations, approximately 380 nautical miles (700 kms) north of Singapore, in the South China Sea for the missing Malaysia Airlines flight MH370. 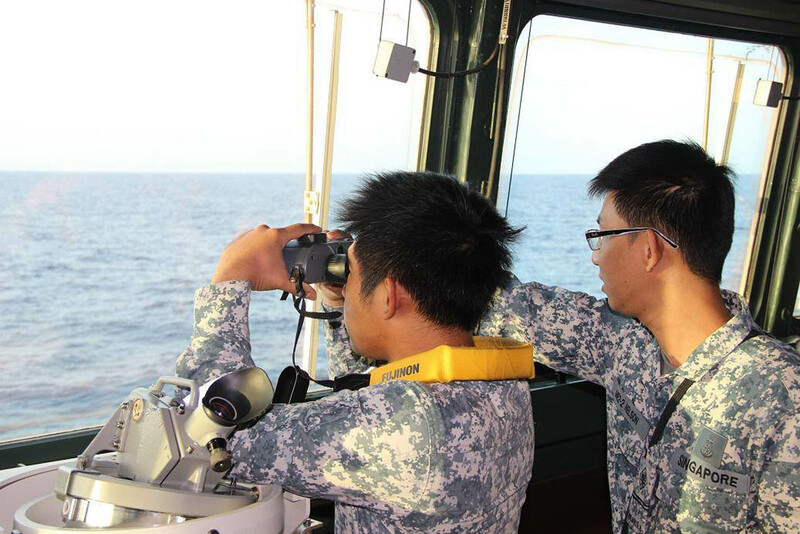 Singapore Navy personnel participating in the search and rescue operations, approximately 380 nautical miles (700 kms) north of Singapore, in the South China Sea for the missing Malaysia Airlines flight MH370. 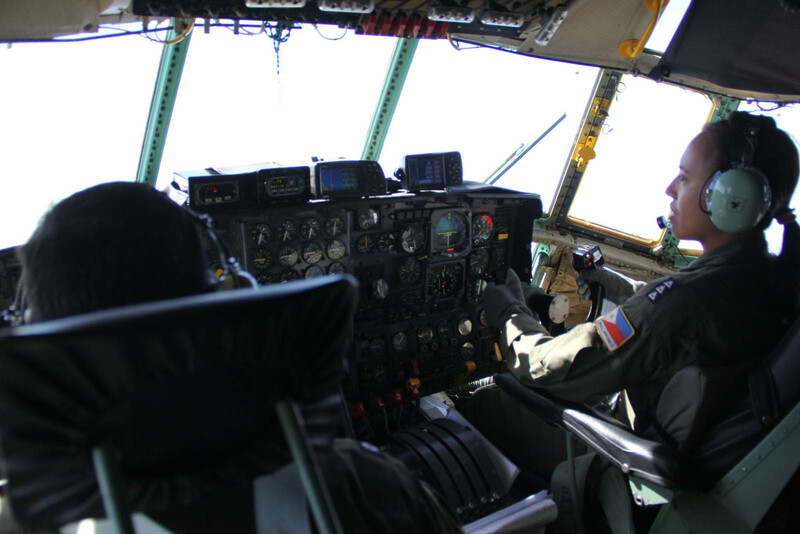 Philippine Air Force crew aboard a C-130 plane scour the seas while flying over the western Philippines in the South China Sea as they help search efforts for the missing Malaysia Airlines flight MH370. 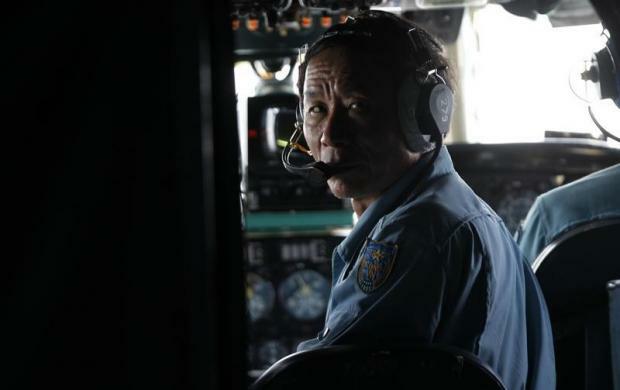 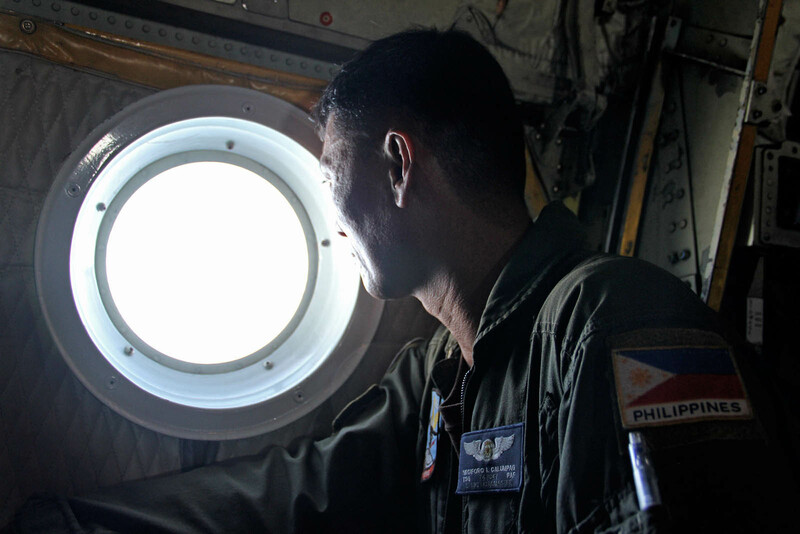 A Philippine Air Force crew member aboard a C-130 plane scours the seas while flying over the western Philippines in the South China Sea as they help search efforts for the missing Malaysia Airlines flight MH370. 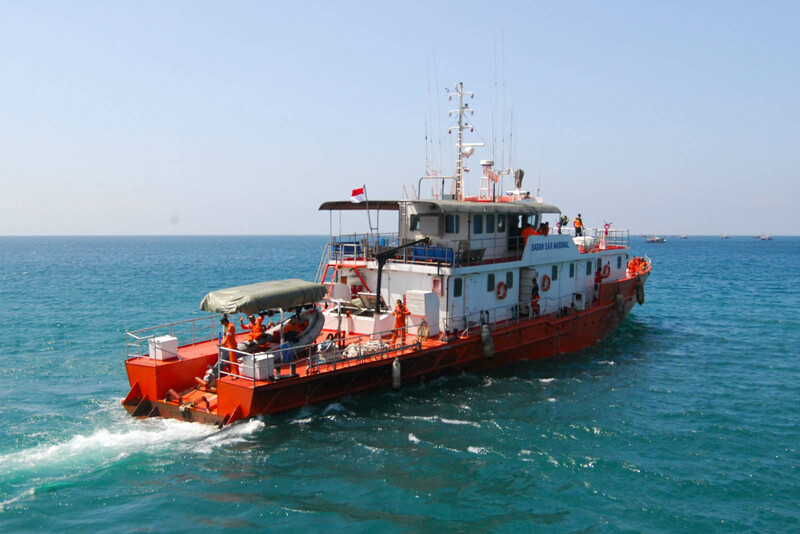 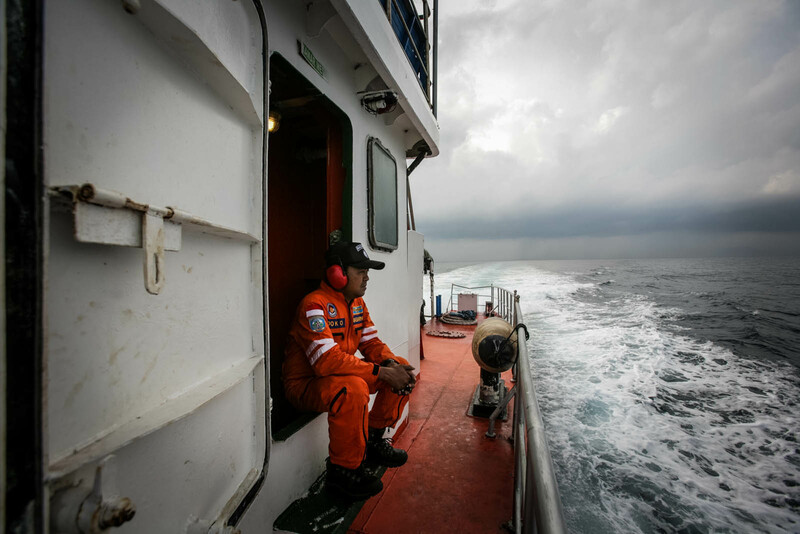 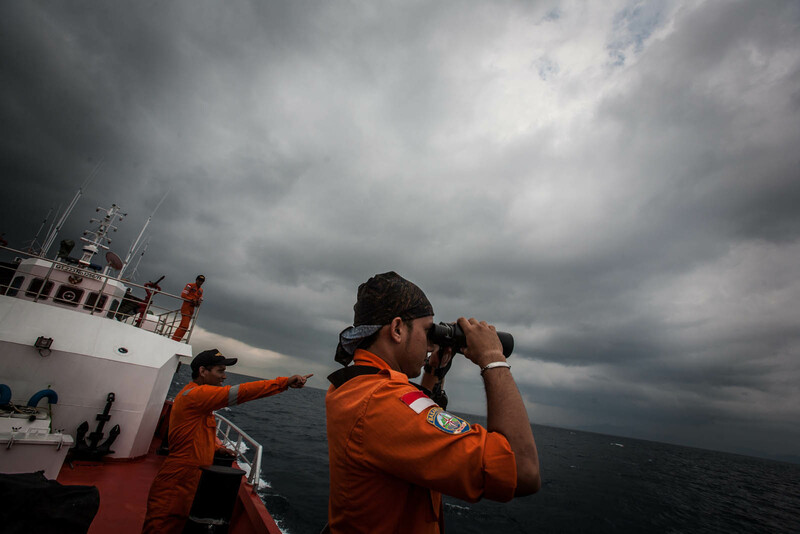 An Indonesian National Search and Rescue Agency boat patrols the Malacca Strait off Aceh province located in the area of northern Sumatra island in search for the missing Malaysia Airlines flight MH370. 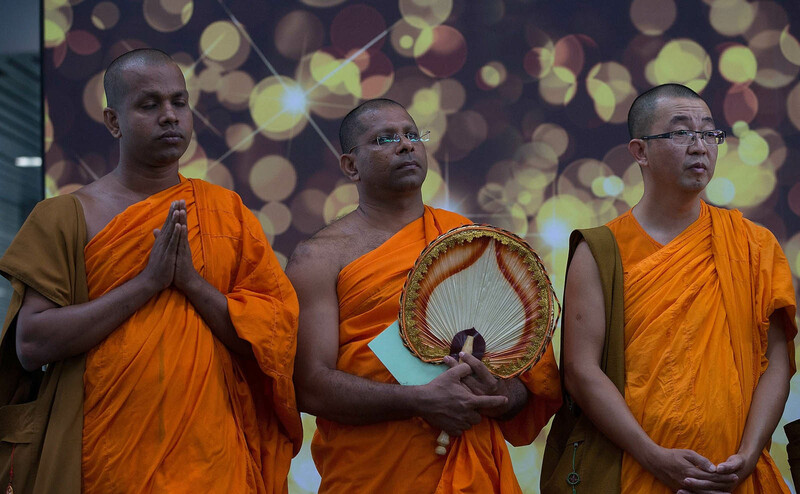 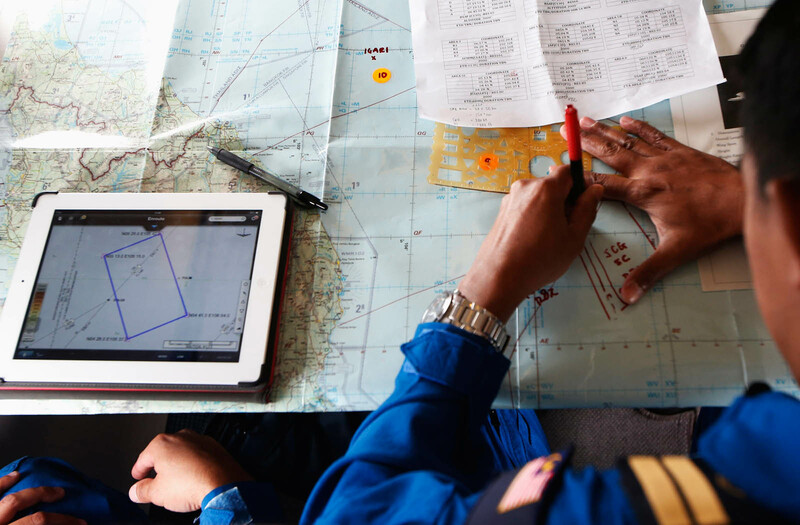 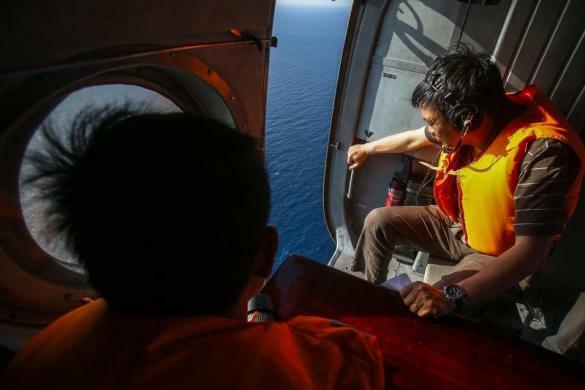 The search for a missing Malaysian jet swung northwest towards the Andaman Sea on March 12, far from its intended flight path, exposing Malaysia to mounting criticism that its response was in disarray. 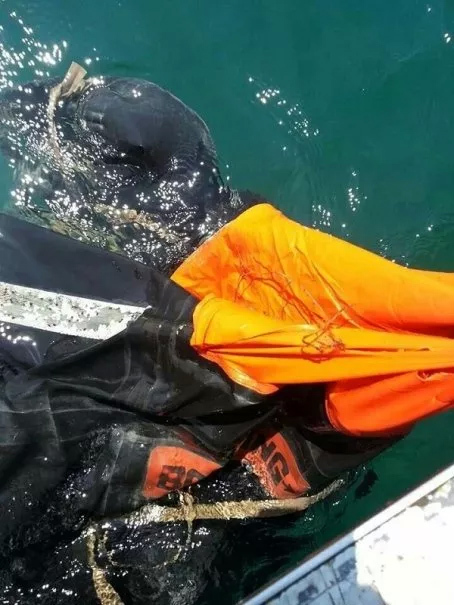 A group of fishermen found a life raft bearing the word 'Boarding' 10 nautical miles from Port Dickson town at 12pm on March 11. 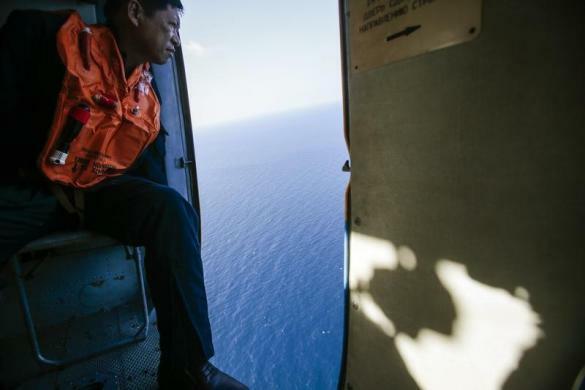 At least 40 ships and 34 aircraft from Malaysia, Vietnam, Singapore, Thailand, China, the US, Indonesia, the Philippines, Australia and New Zealand have joined the search for the missing Boeing 777-200ER. 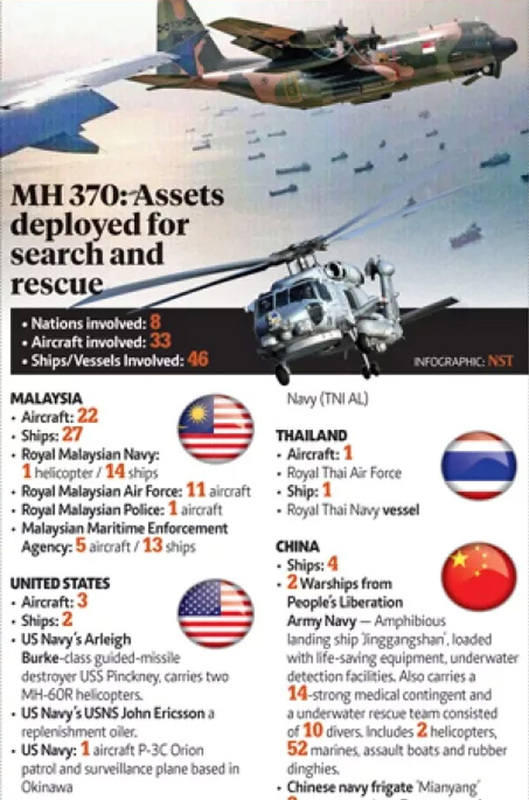 On March 12, India announced that it is joining the search operations as well. 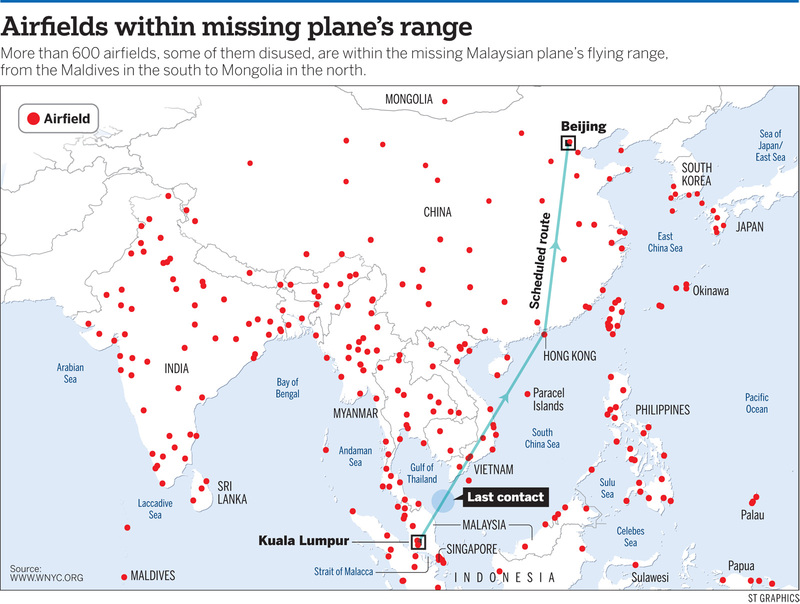 No sign of the plane has been spotted so far. 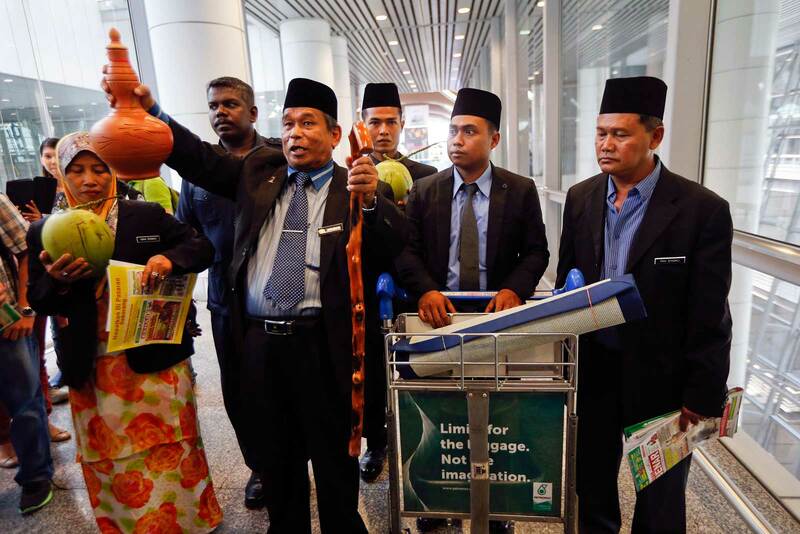 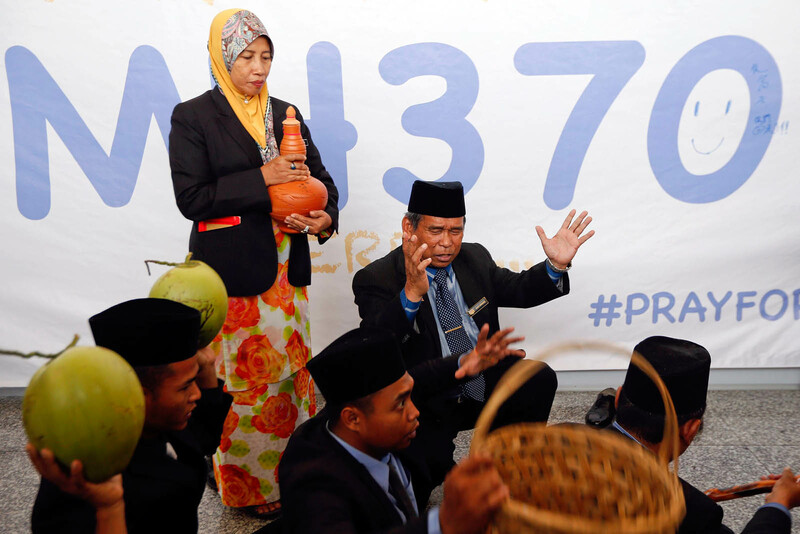 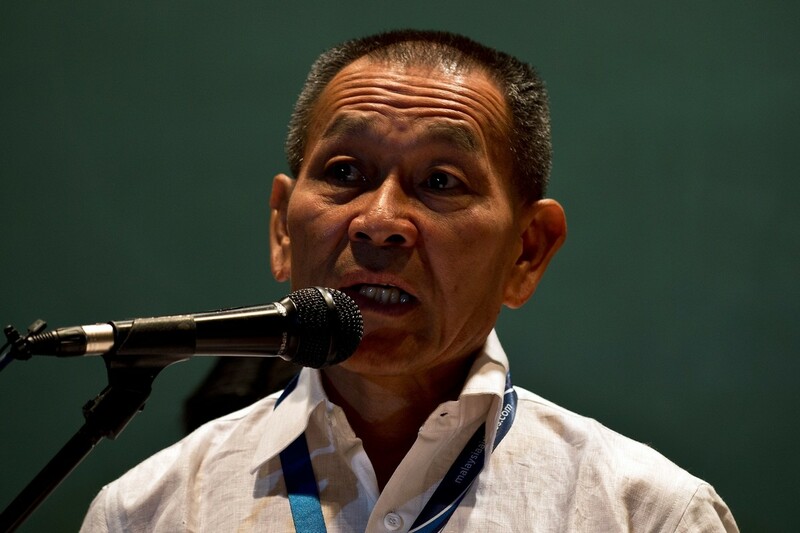 Mat Zin, a local well-known "bomoh", arrives at Kuala Lumpur International Airport on March 12 to perform a ritual to help find the missing Malaysia Airlines MH370. 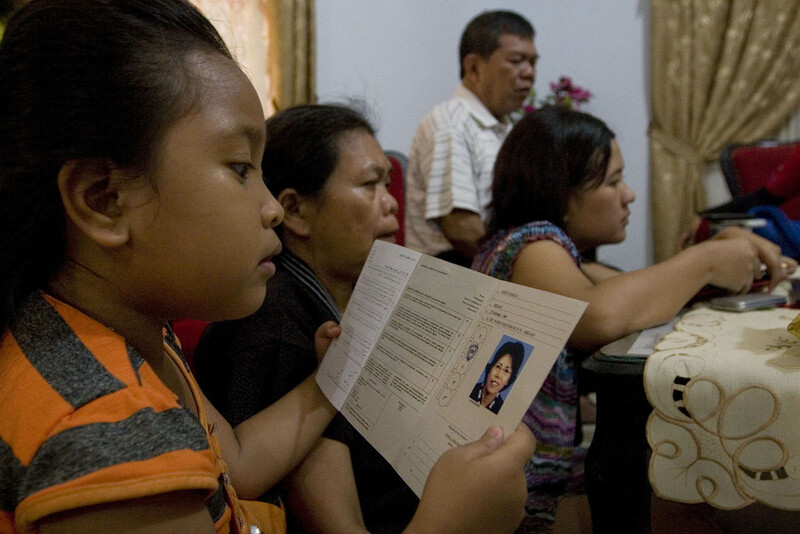 Surti Dahlianese, niece of Dutch national, Surti Dahlia, a passenger on the missing Malaysia Airlines flight MH370 looks at identity documents of her missing aunt Surti Dahlia while other Indonesian relatives watch television to monitor the latest developments on the missing aircraft from their residence in Medan city, located in Sumatra island. 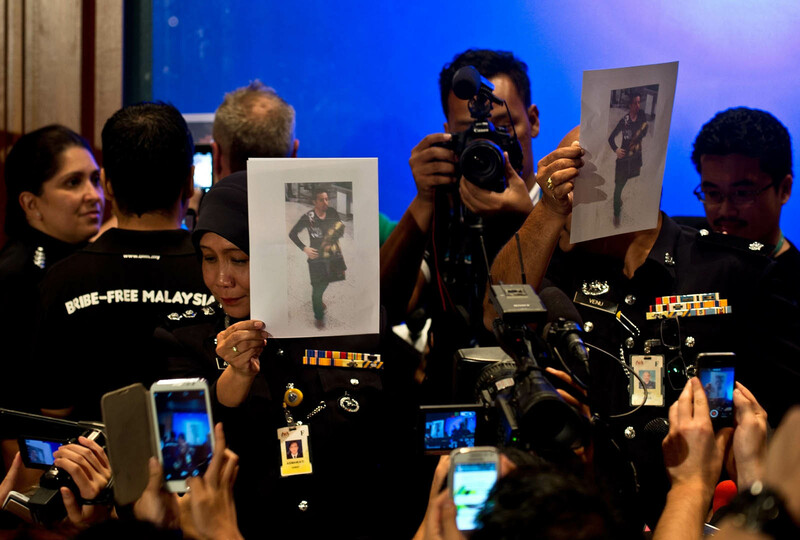 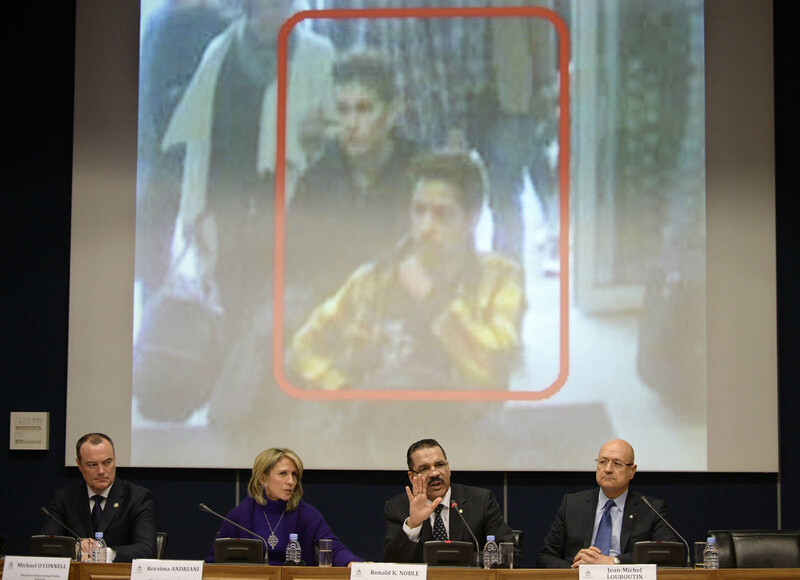 Malaysian police said they had identified one of two men who boarded a missing Malaysian jet with fake passports as a 19-year-old Iranian believed to be seeking to emigrate to Germany. 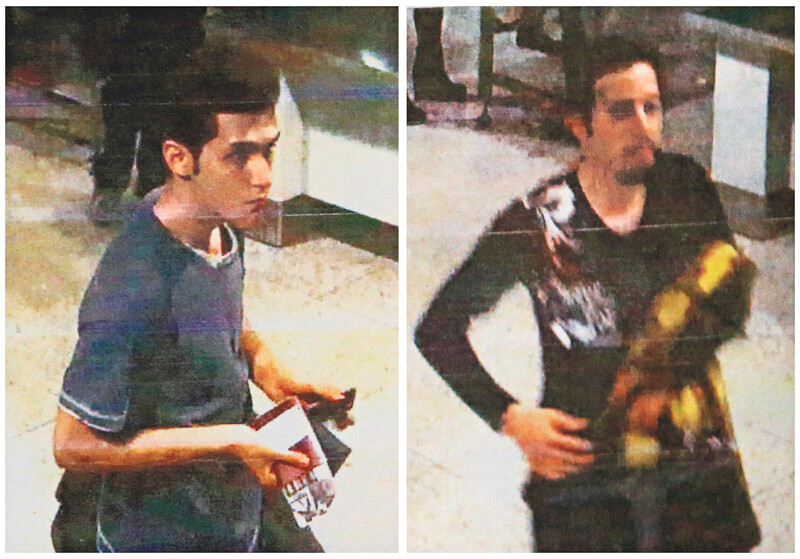 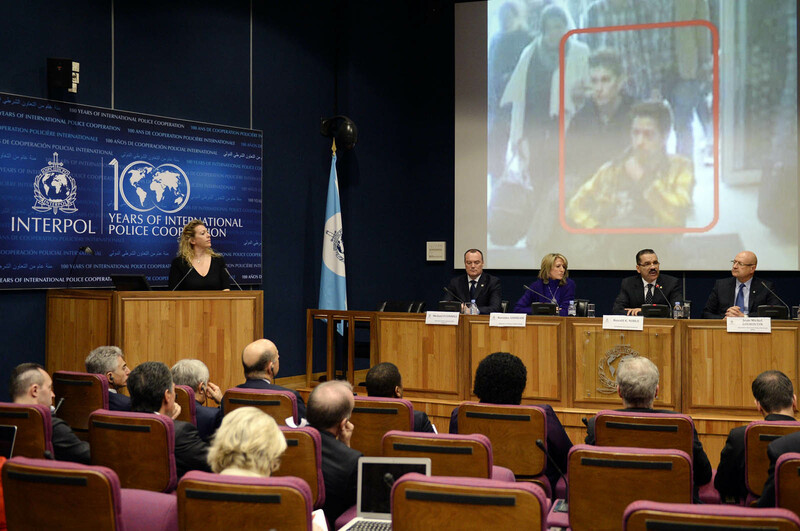 Malaysia's Police Chief, Inspector General Khalid Abu Bakar told a news conference, that one of the men (L) was identified as a 19-year-old Iranian Pouria Nour Mohammad Mehrdad while the identity of the other was being investigated. 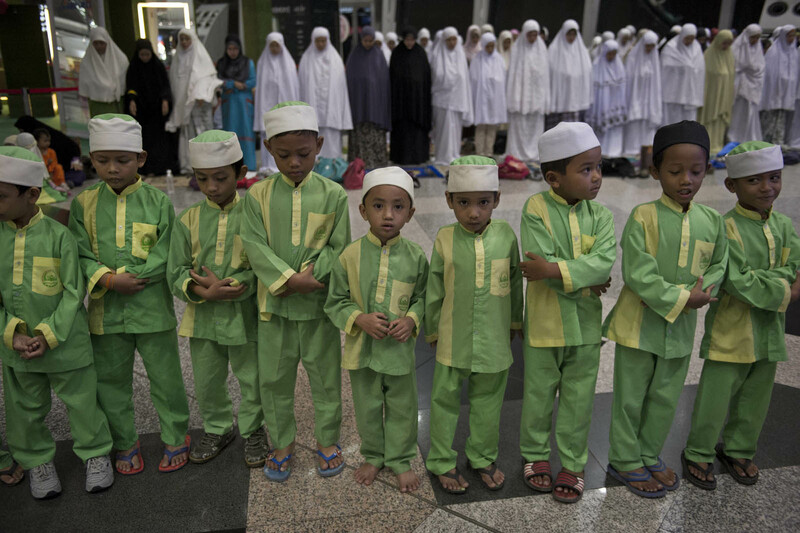 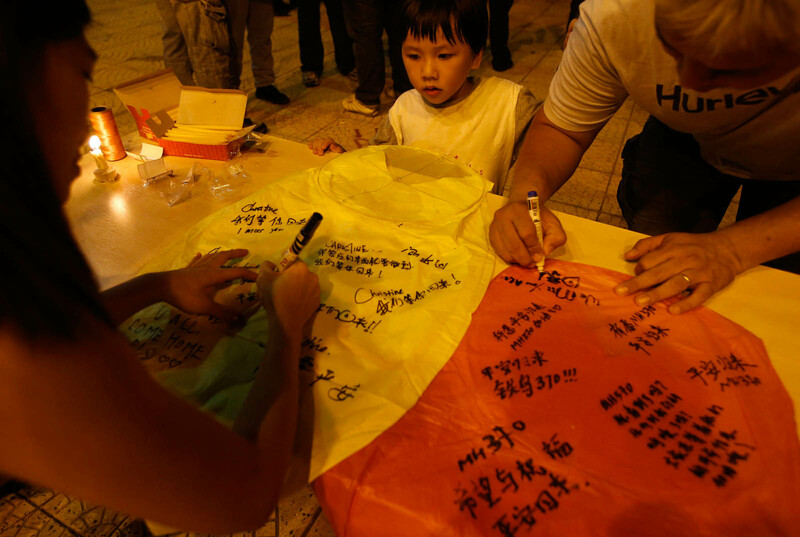 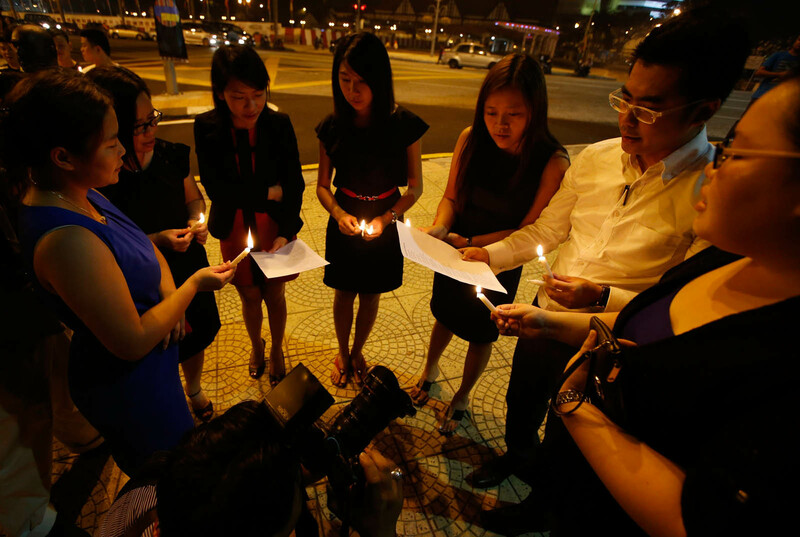 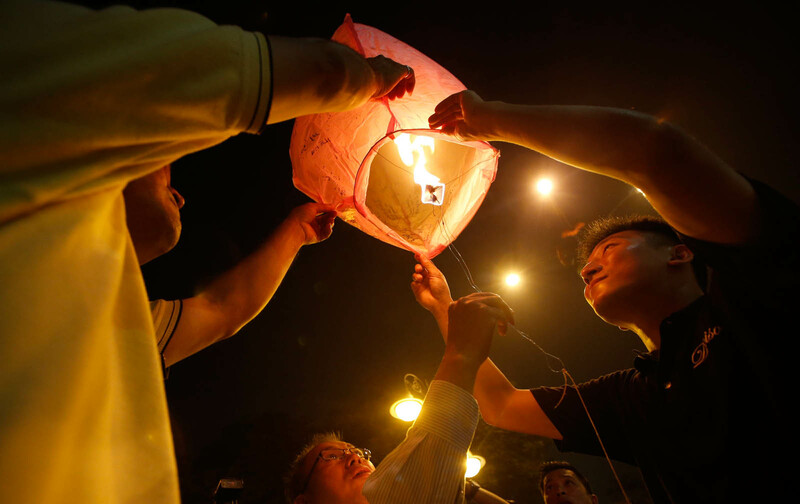 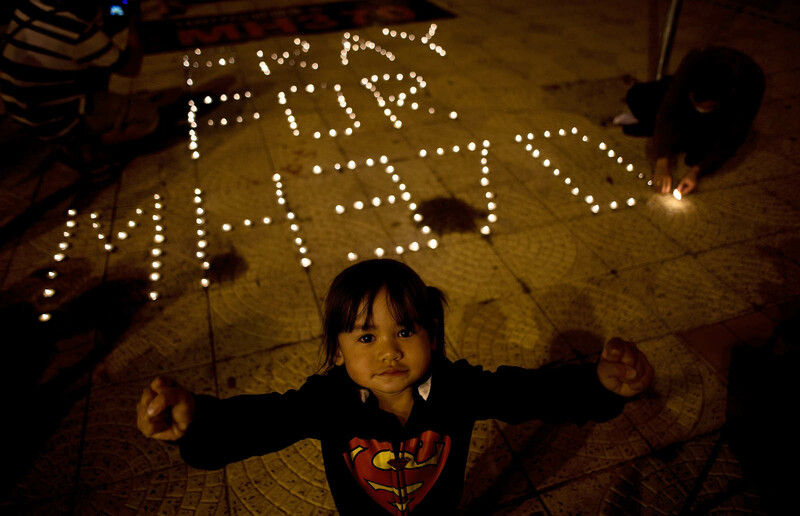 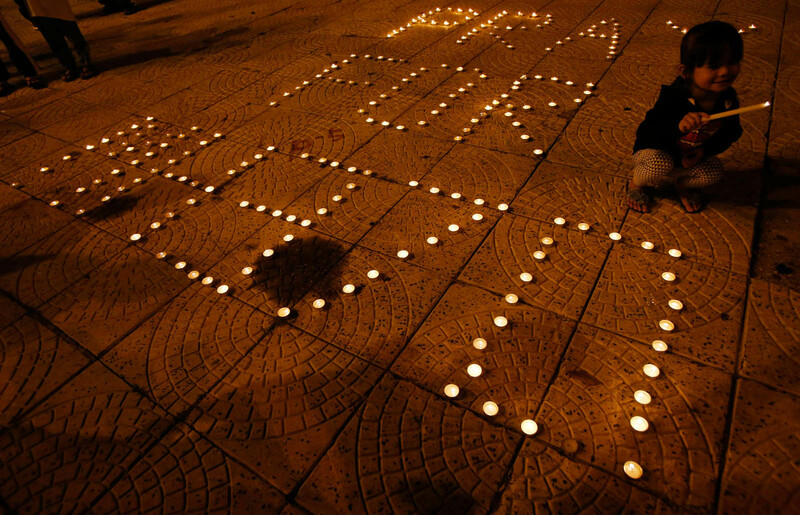 A Malaysian child joins others at a candlelight vigil for missing Malaysia Airlines passengers. 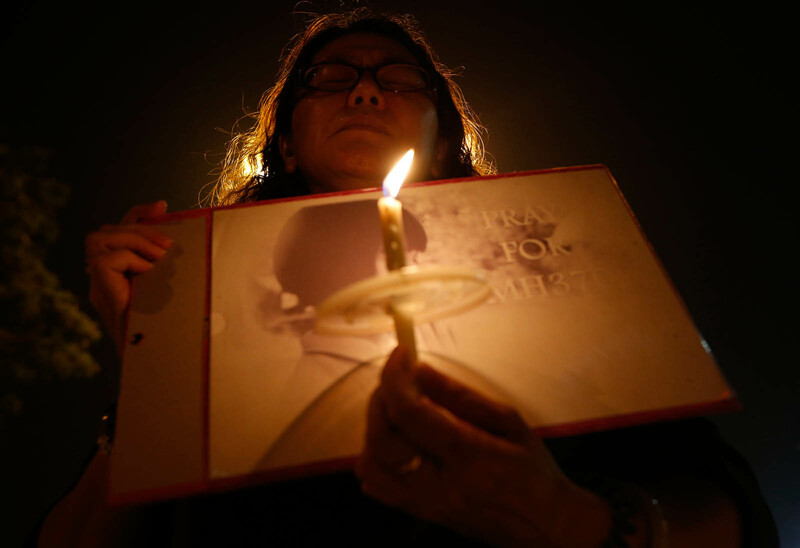 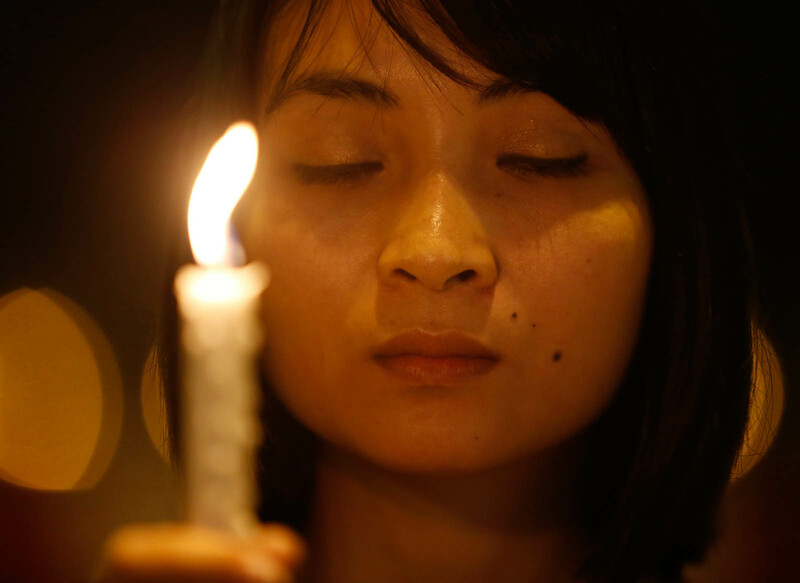 A woman holds a candle and during a vigil held for the passengers of Malaysia Airlines MH370 near Independence Square in Kuala Lumpur. 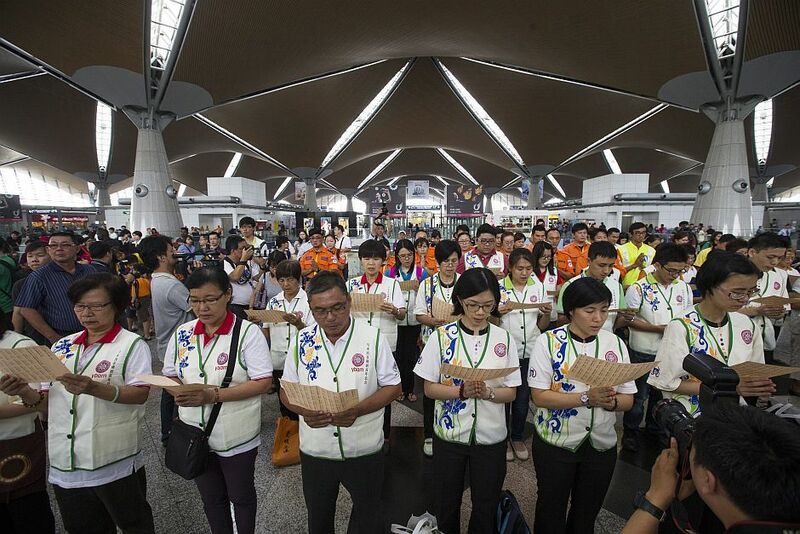 Malaysians singing songs as they hold a candlelight vigil for the passengers of Malaysia Airlines MH370. 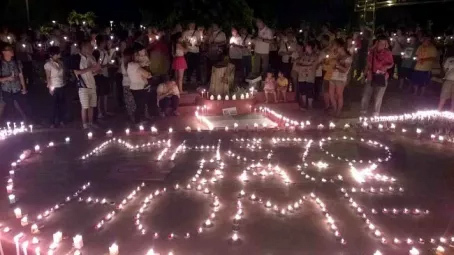 More than 200 people take part in a candlelight vigil to pray for the safe return of MH370 passengers at Taman Jubli Perak on March 10. 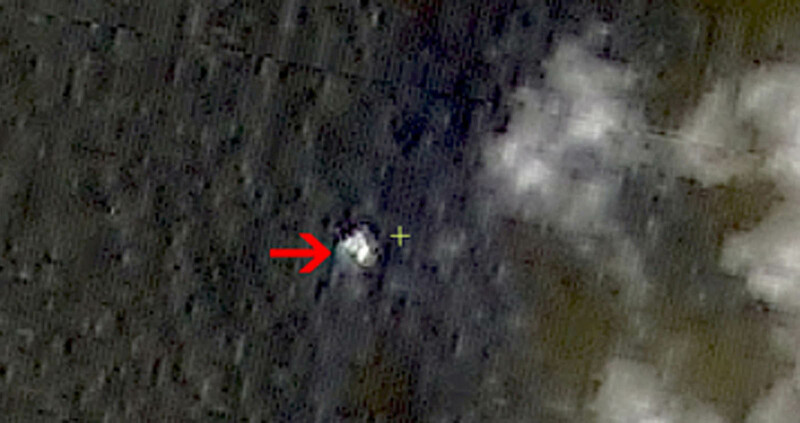 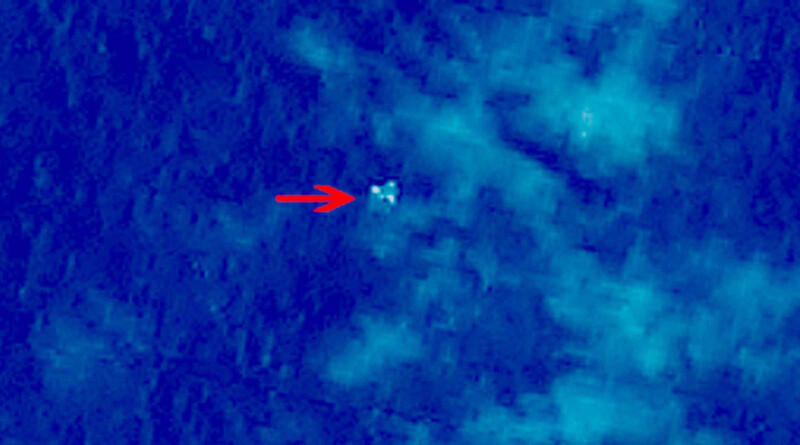 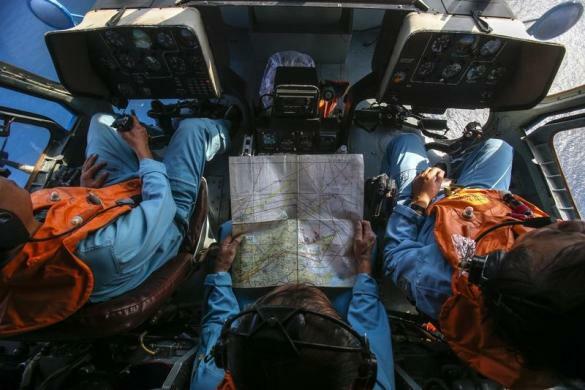 As the search for MH370 enters day three, a new theory emerged on 10 March as to why the debris from the aircraft has been so difficult to locate. 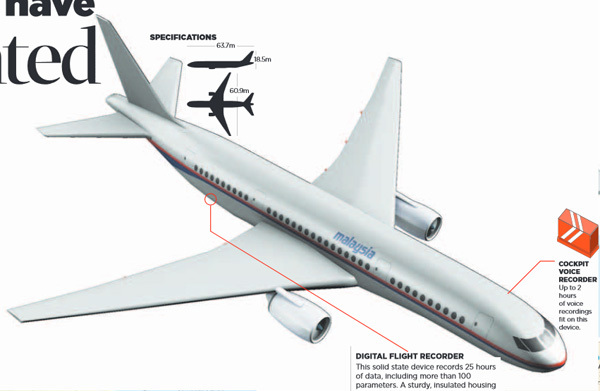 This solid state device records 25 hours of data, including more than 100 parameters. 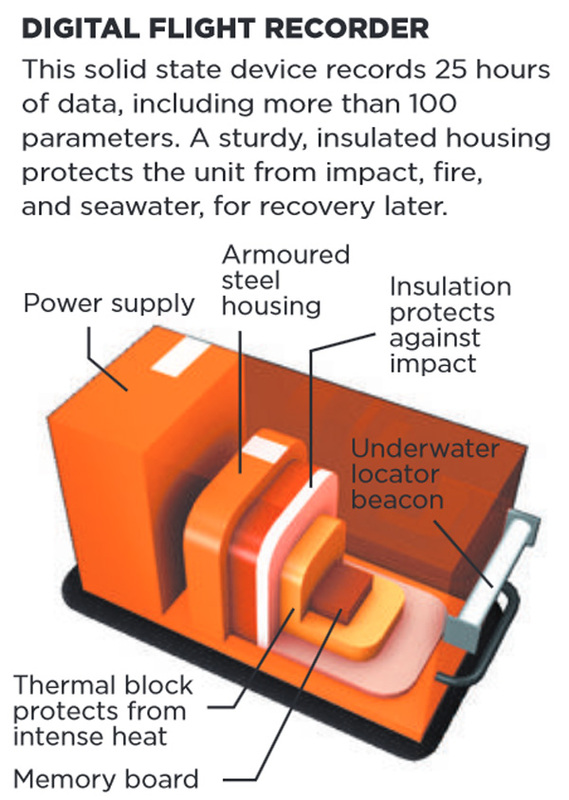 A sturdy, insulated housing protects the unit from impact, fire, and seawater, for recovery later. 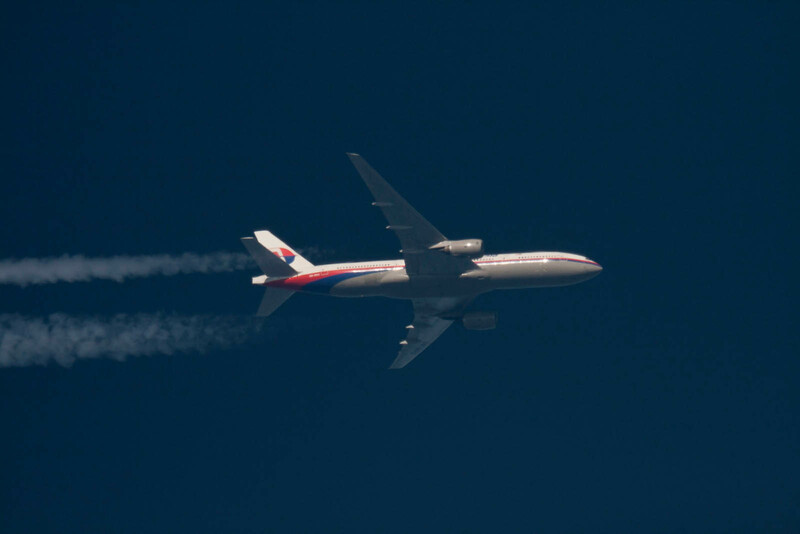 Malaysia Airlines flight MH370 reportedly climbed to a cruise height of 35,000 feet before losing contact with air traffic controllers. 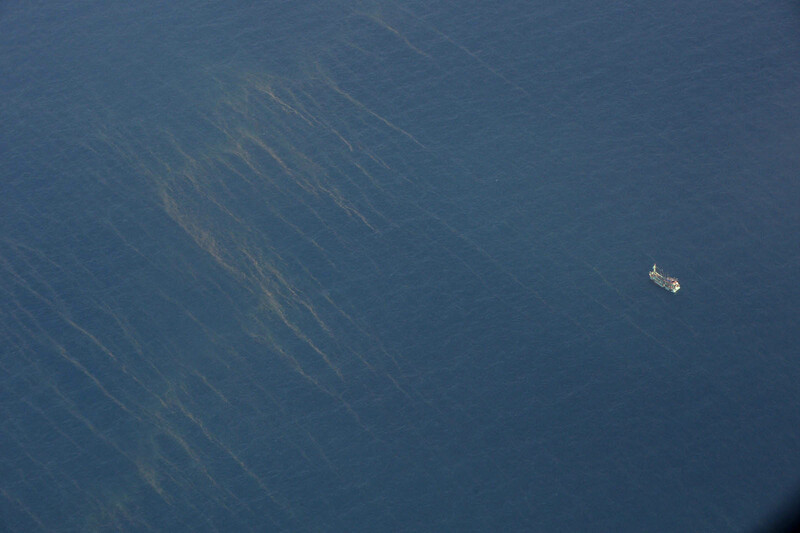 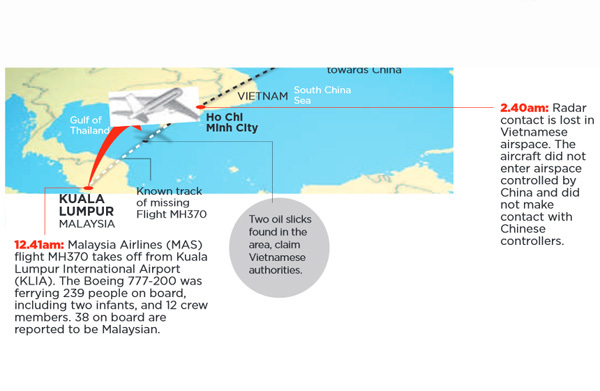 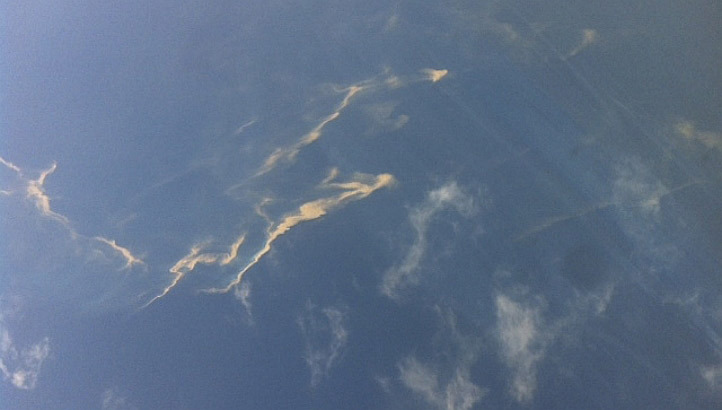 An aerial view of an oil spill is seen from a Vietnamese Air Force aircraft in the search area for a missing Malaysia Airlines plane, 250km from Vietnam and 190km from Malaysia, in this handout photo from Thanh Nien Newpaper taken on March 8, 2014. 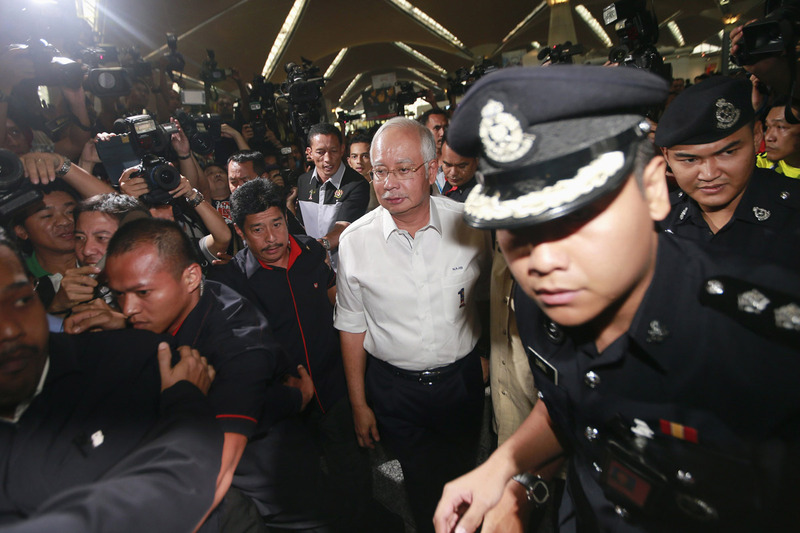 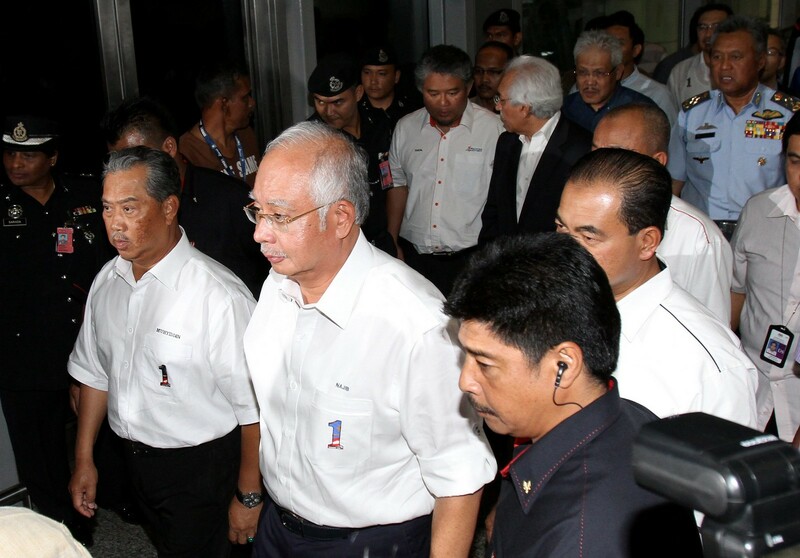 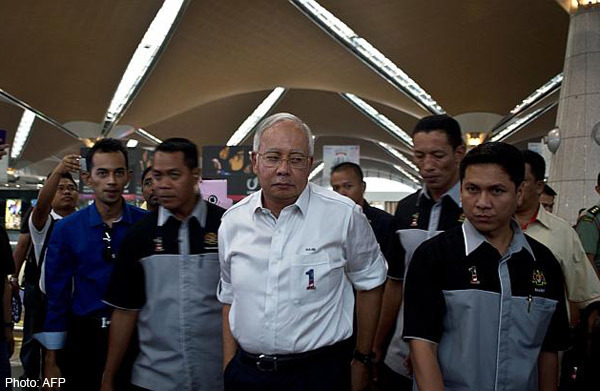 Malaysian PM Najib arrives at the holding area for family and friends of passengers aboard MH370. 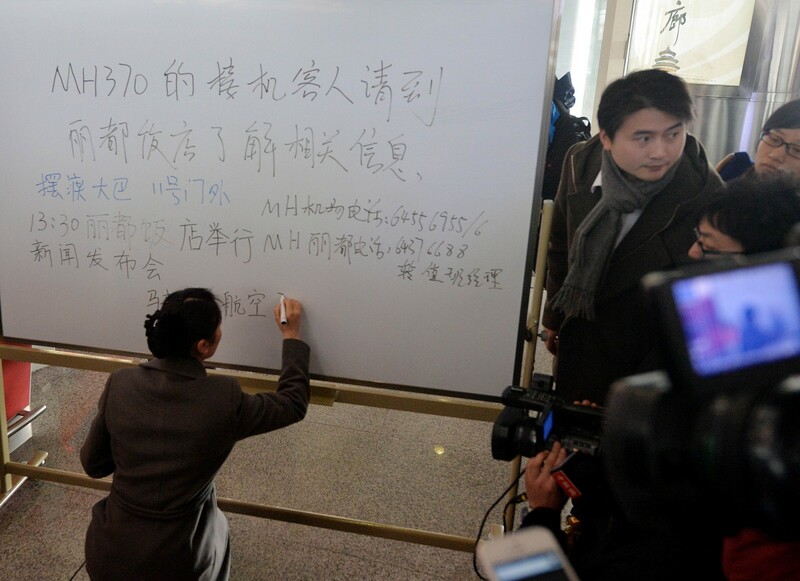 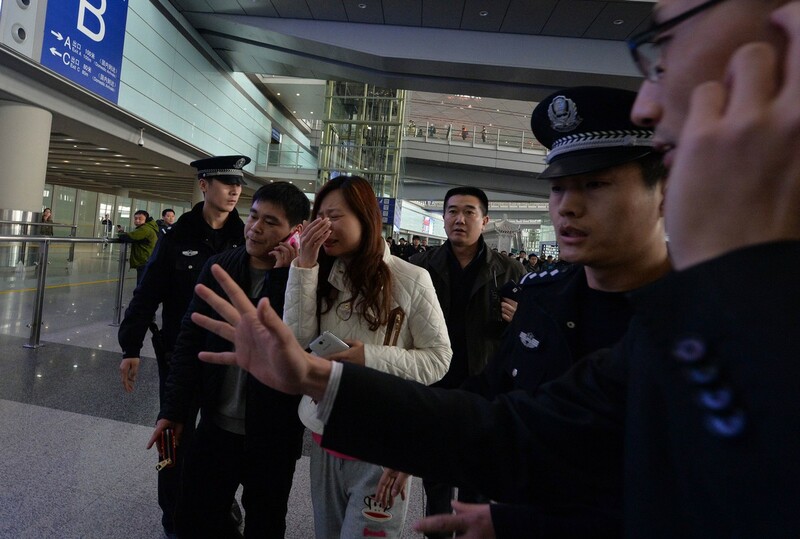 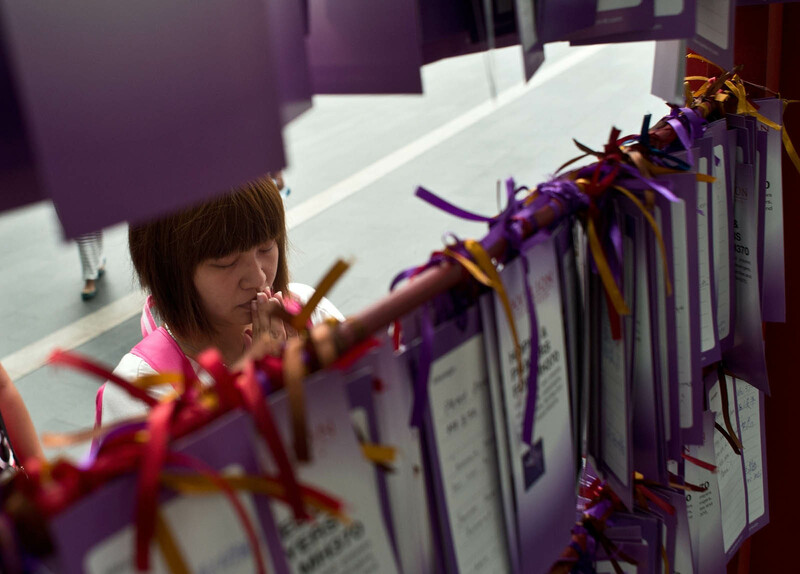 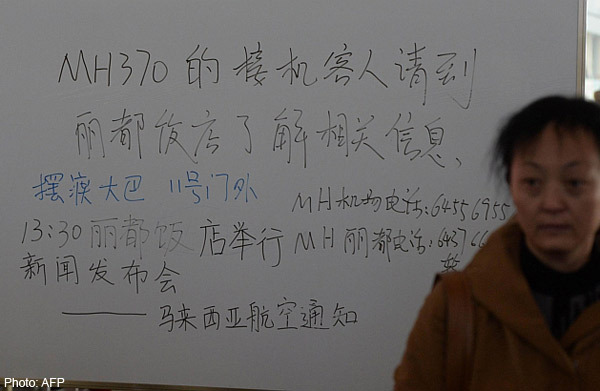 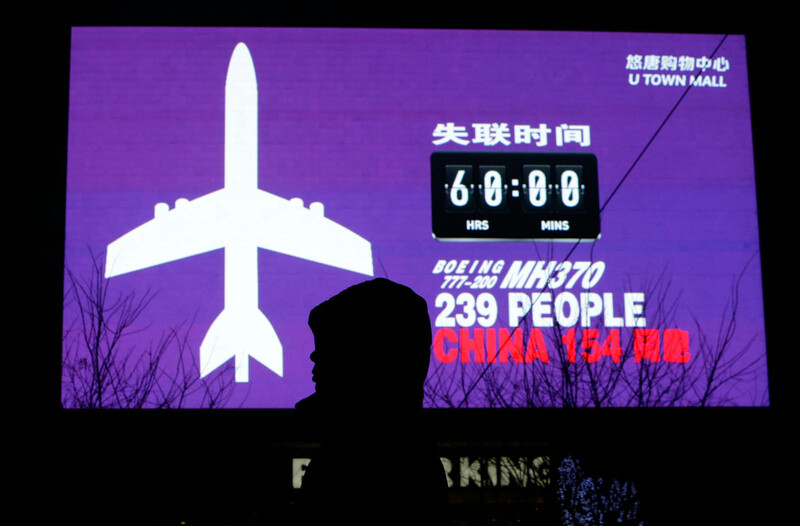 A signboard advises relatives of passengers of a missing Malaysia Airlines plane to go to a nearby hotel for information on the flight at Beijing International Airport in Beijing on March 8, 2014. 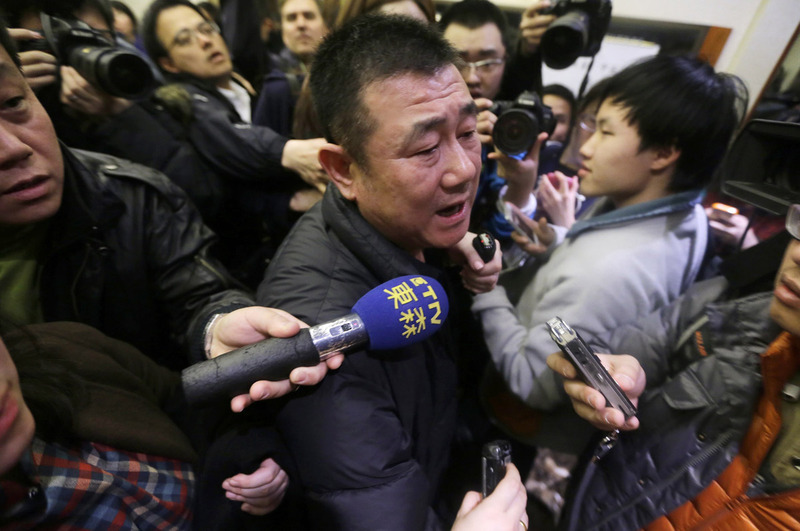 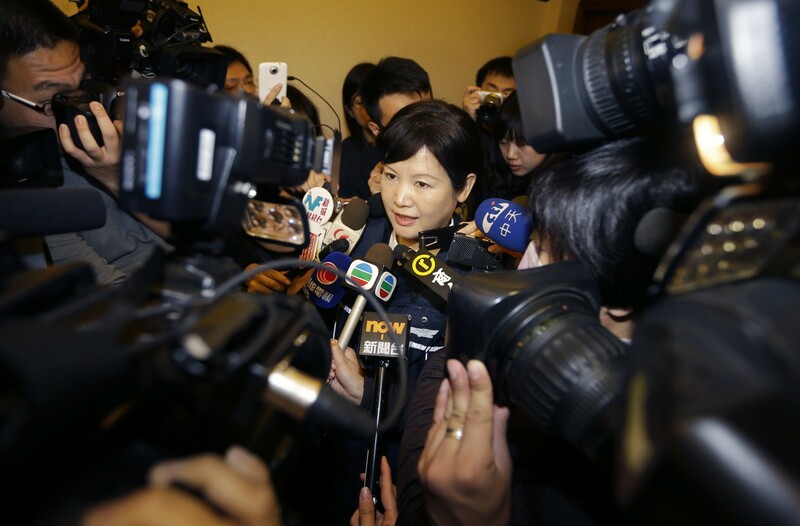 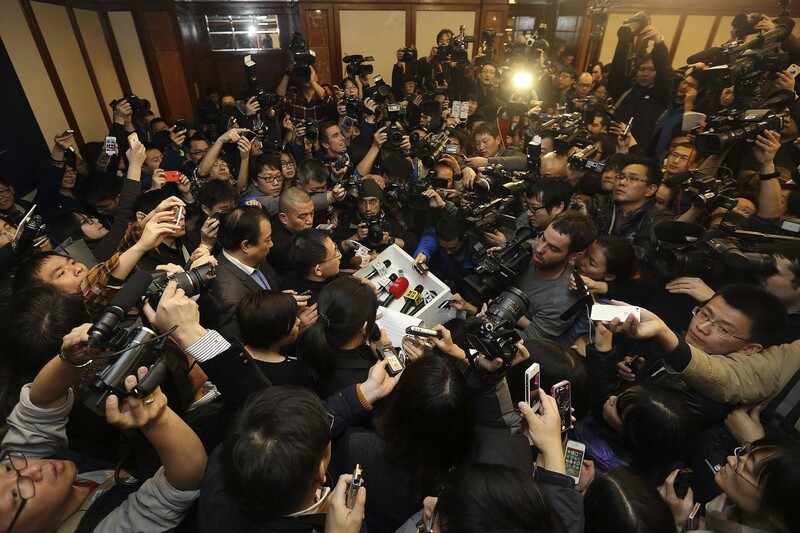 A Malaysia Airlines spokesperson speaks to journalists during a news conference at a hotel in Beijing on March 8, 2014. 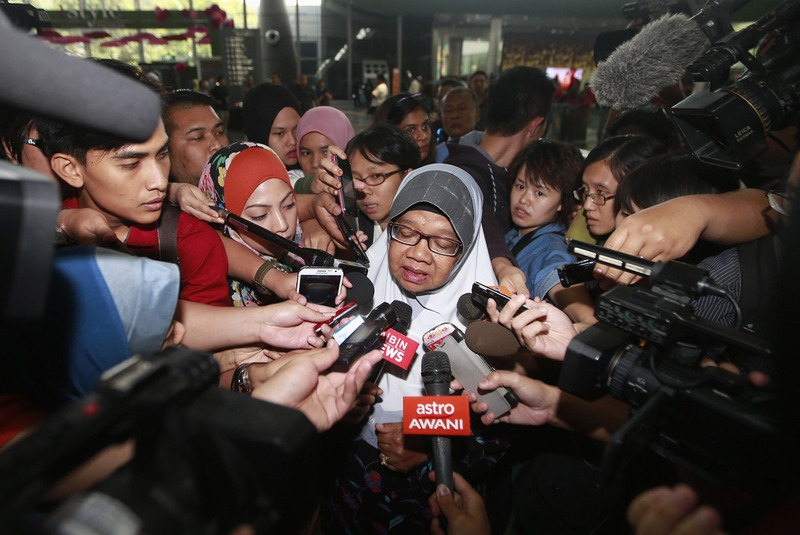 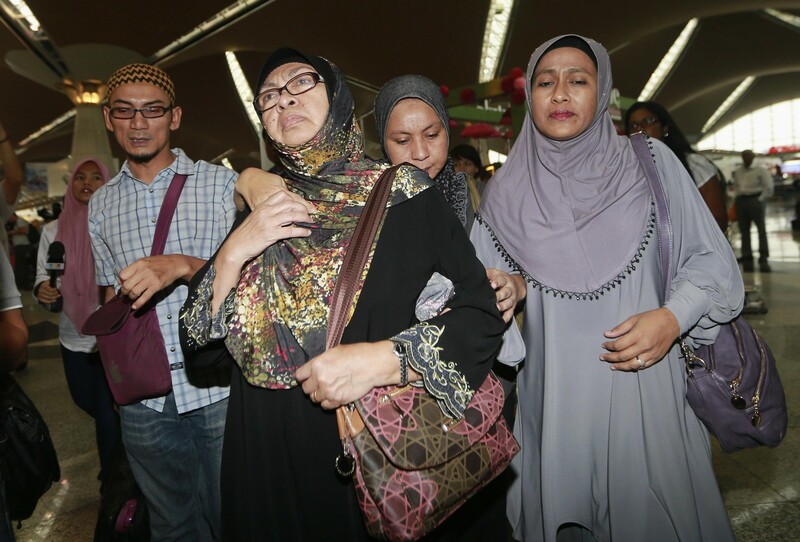 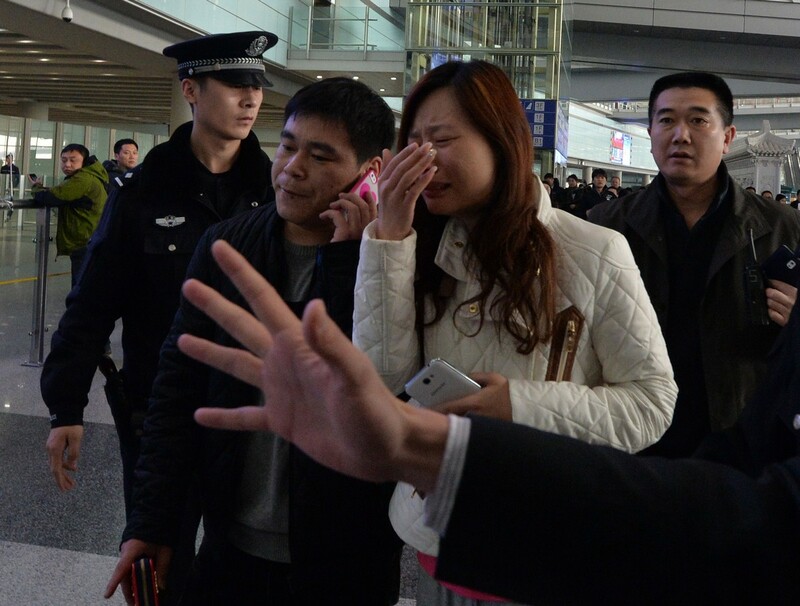 Tearful and angry, the friends and relatives of passengers on board missing Malaysia Airlines flight MH370 lashed out at the company. 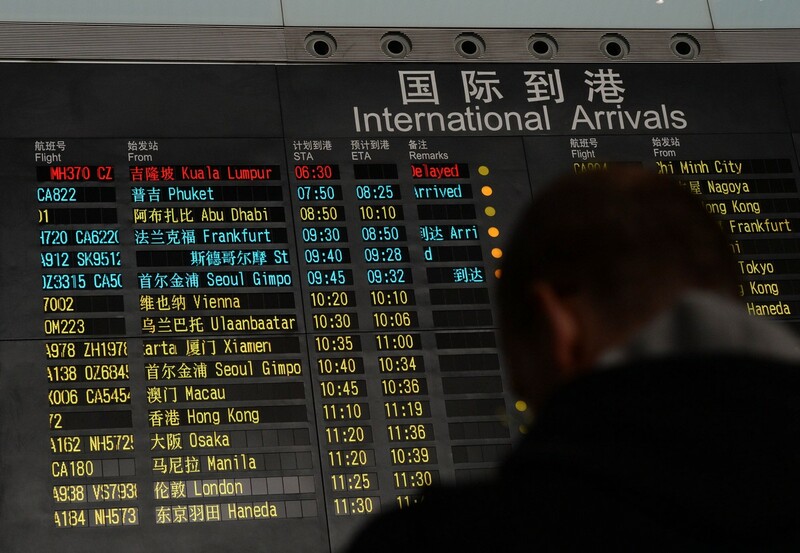 According to Malaysia Airlines, 153 of the 239 people on board the missing flight - a codeshare with China Southern Airlines - are Chinese citizens. 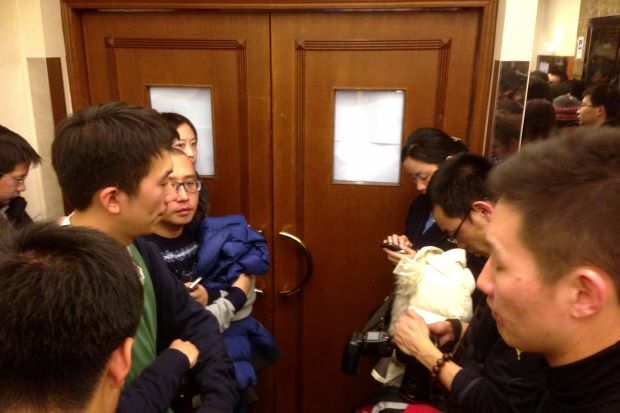 Security at times struggled to hold back the huge throng of reporters crowding outside the door and making it difficult for relatives to enter or exit. 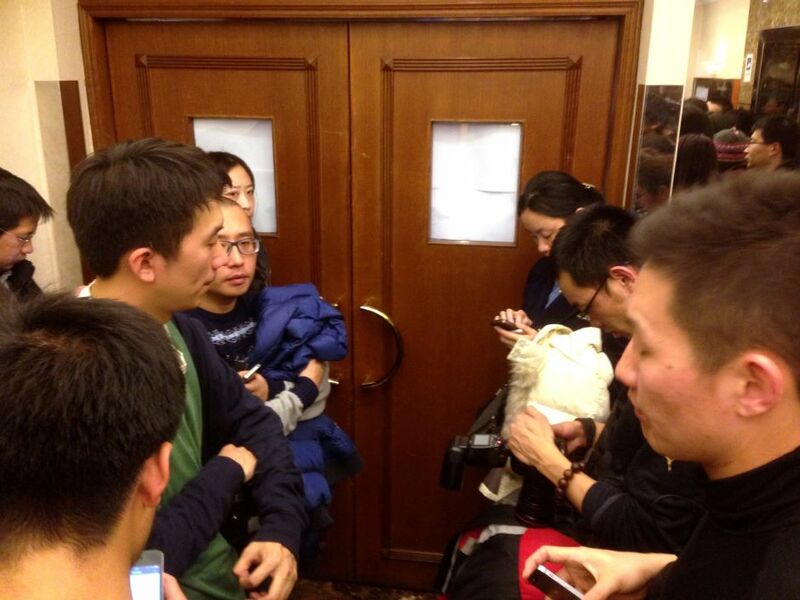 Scores of family members spoke to airline officials in small groups in a room on the hotel's second floor. 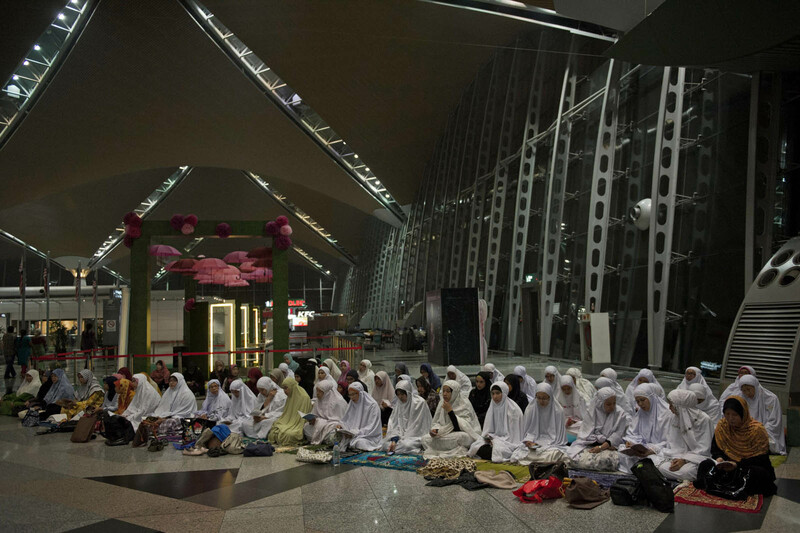 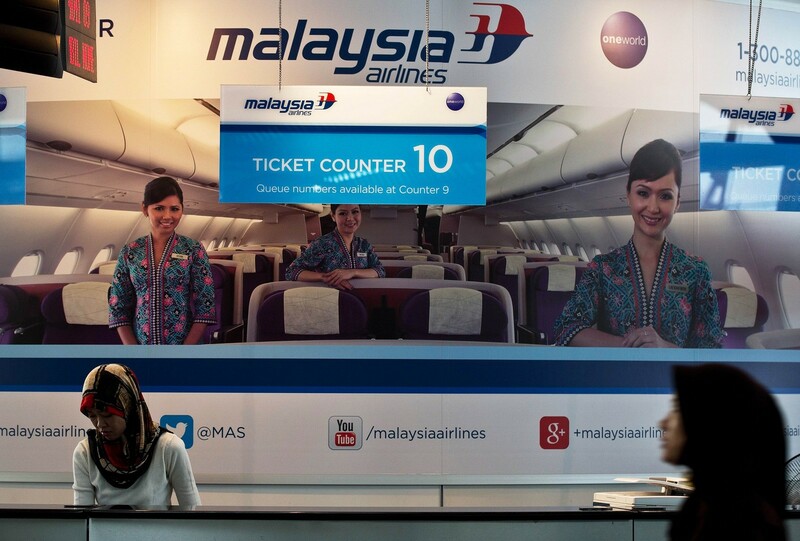 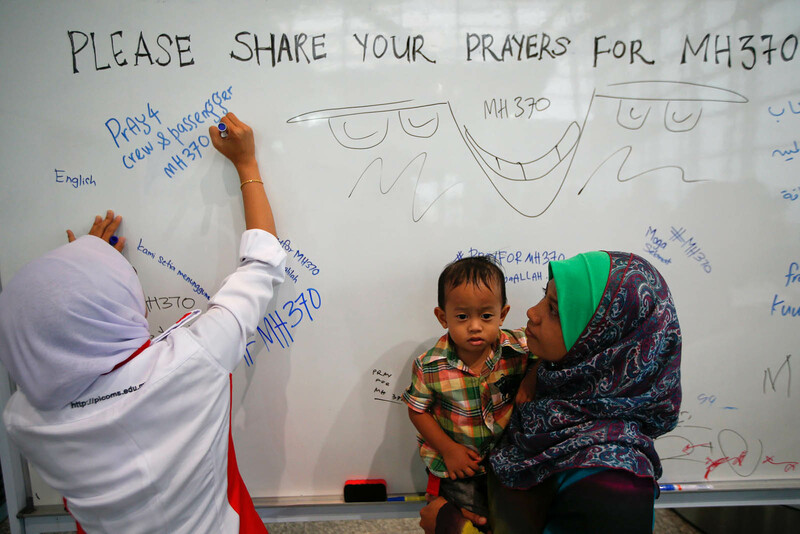 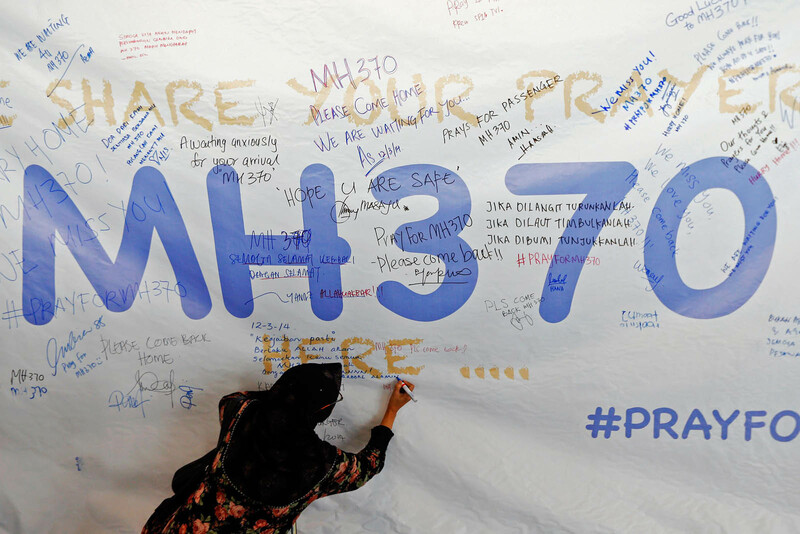 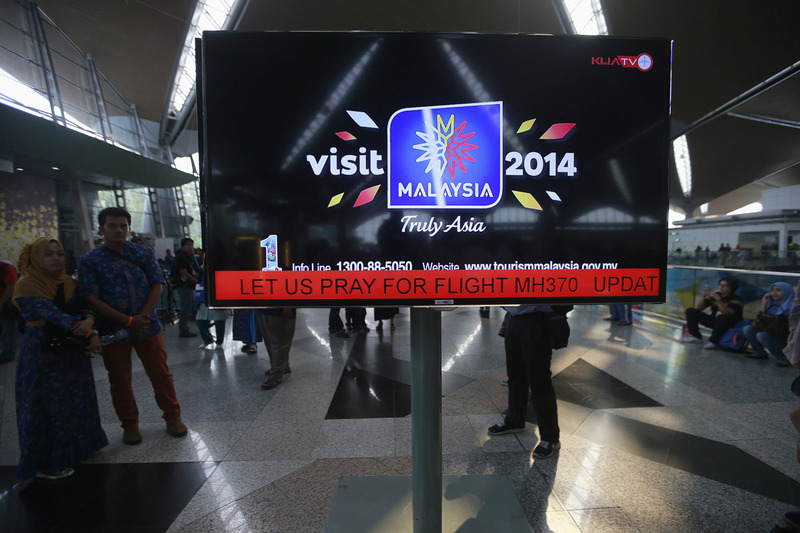 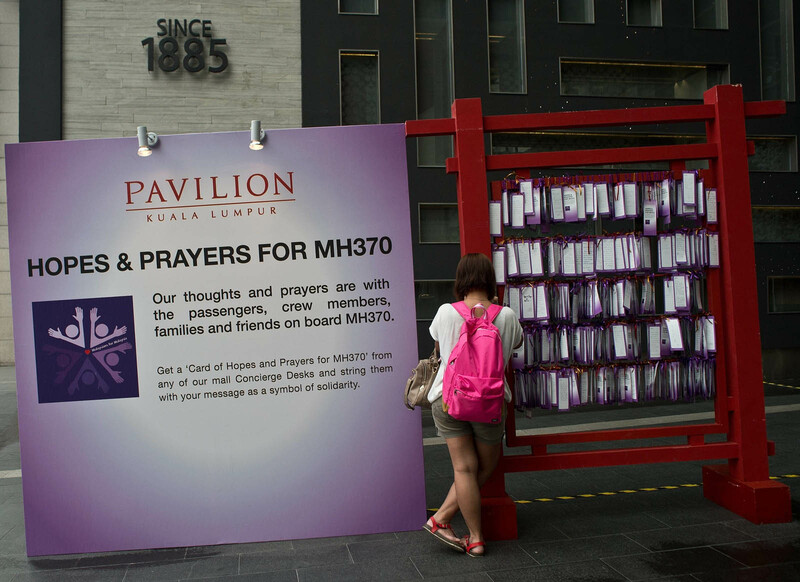 An information screen displays a message "Let Us Pray For Flight MH370" at Kuala Lumpur International Airport in Sepang, on March 8, 2014. 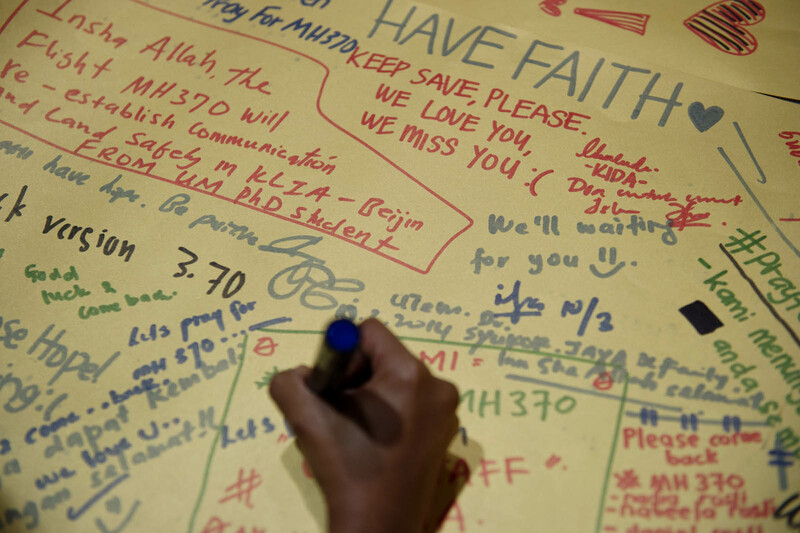 The plane lost contact with air traffic controllers at 1.30am Saturday. 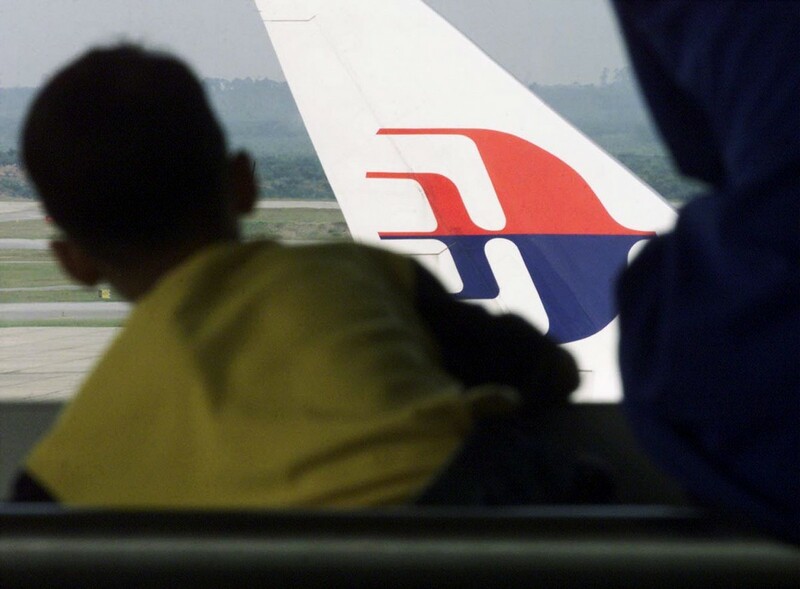 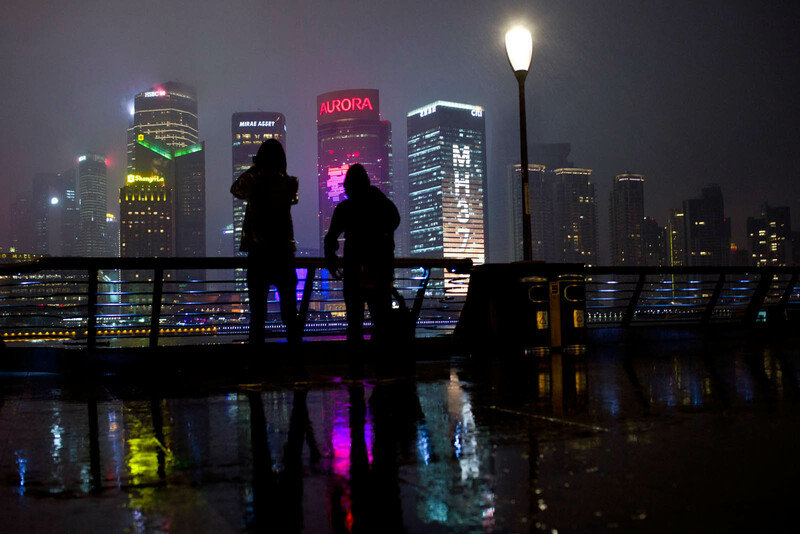 Malaysia Airlines said a flight carrying 239 people from Kuala Lumpur to Beijing went missing early Saturday, and the airline was notifying next of kin in a sign it expected the worst. 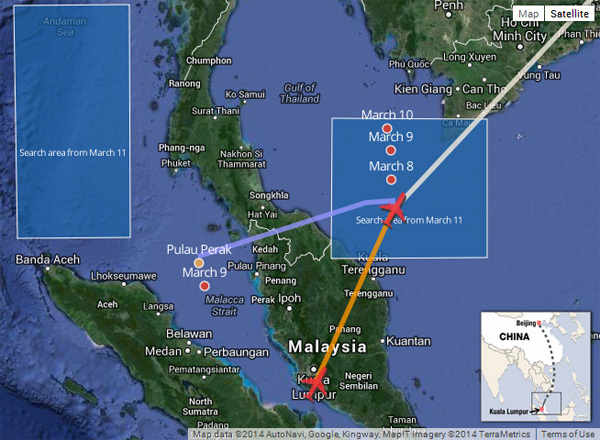 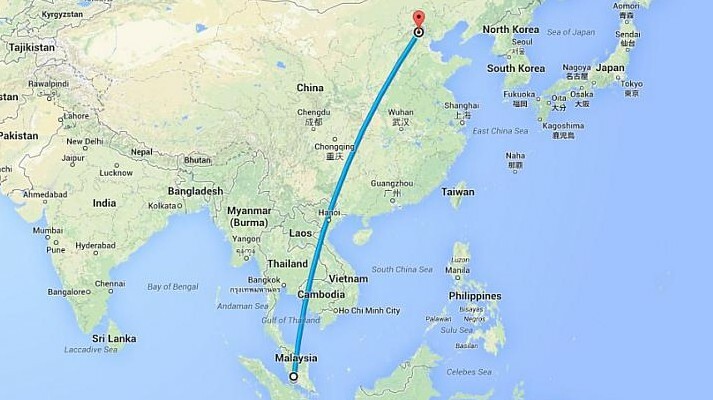 The flight path from Kuala Lumpur to Beijing (screengrab from Google Maps). 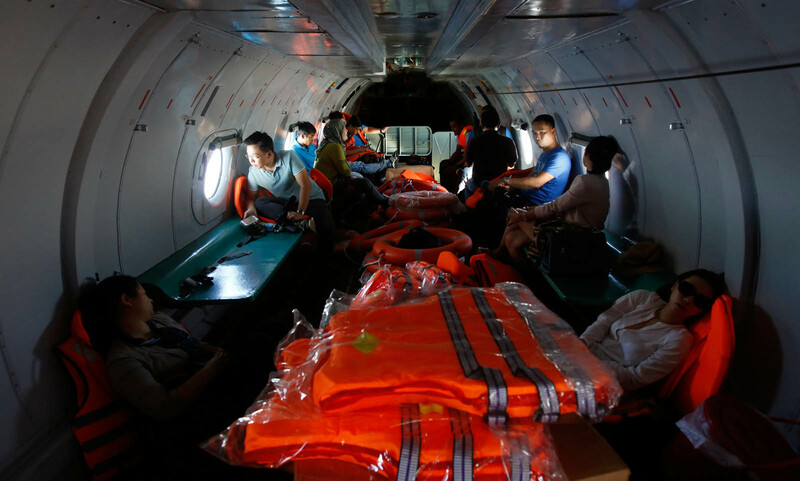 It was carrying 227 passengers, including two infants, from 13 different nationalities, and 12 crew members. 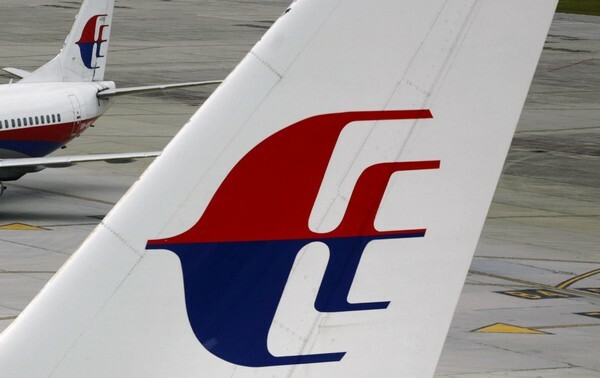 MAS confirms reports which stated flight MH370 had made an emergency landing in Nanning, China is false, reported The Star. 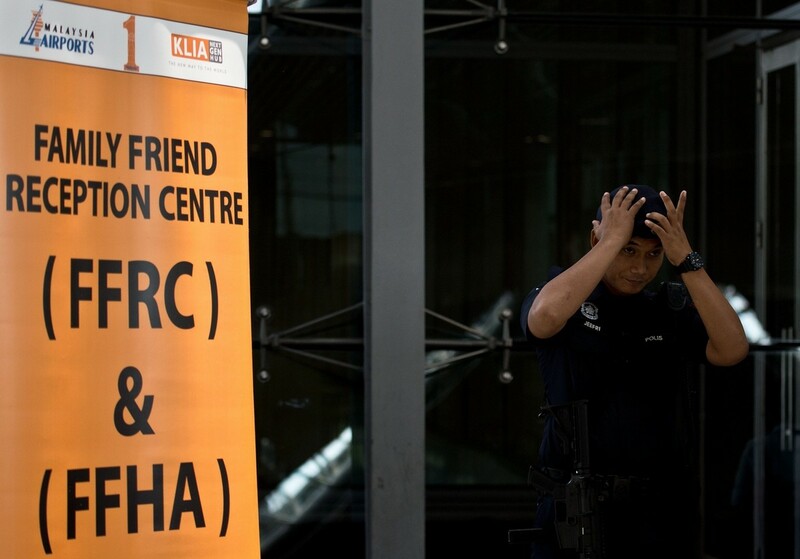 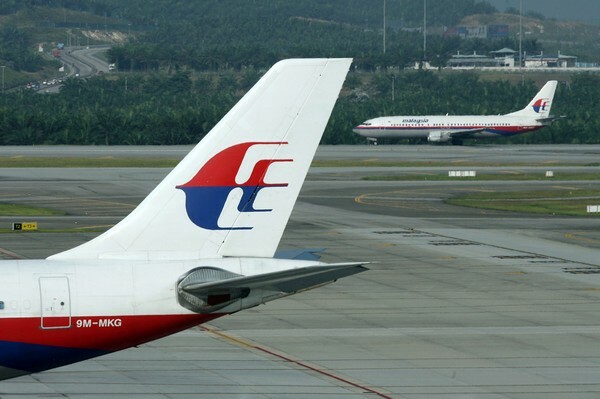 Fuad Sharuji, VP Operation Control, said during the last reported contact at 35,000 feet, around two hours from KLIA, there was no call from the crew or notification from the tower that they were having any kind of difficulties. 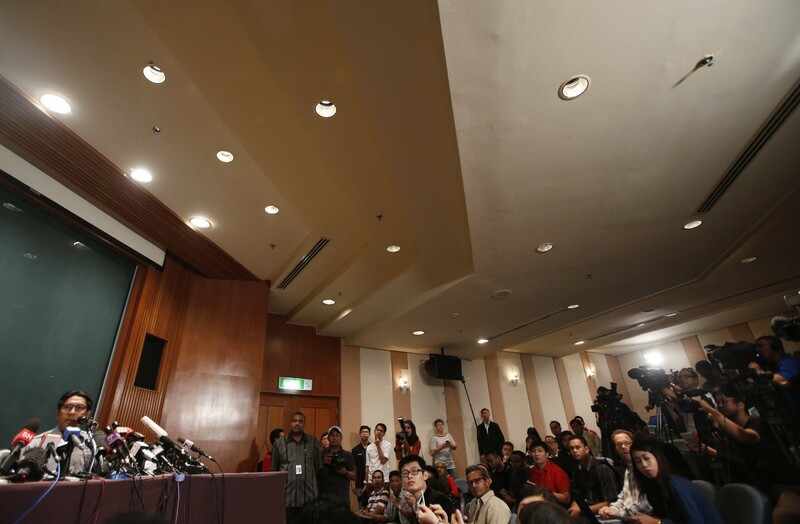 Malaysia Airlines Chief Executive Ahmad Jauhari Yahya speaks to the media during a news conference on missing Flight MH370, in Sepang. 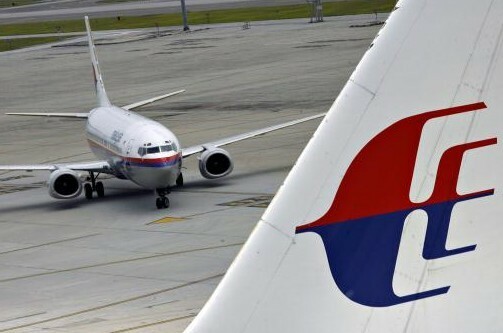 In a Facebook statement, MAS confirms that flight MH370 had lost contact with Subang Air Traffic Control at 2.40am, on Mar 8. 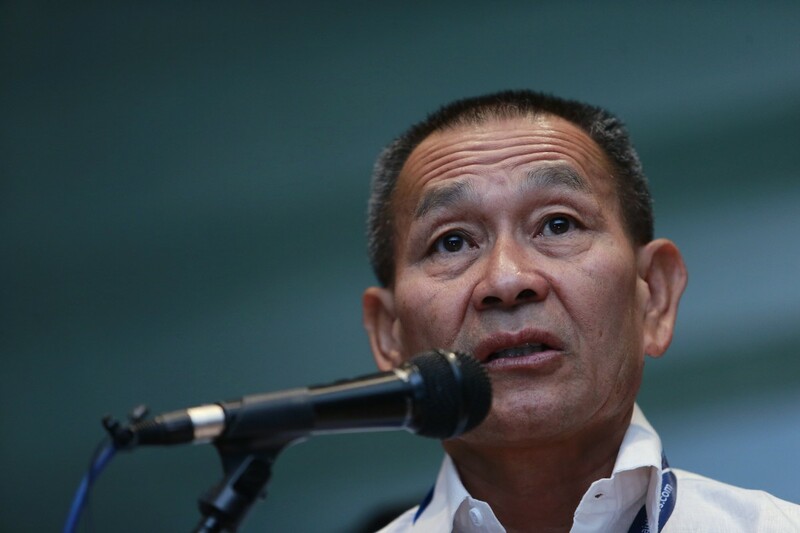 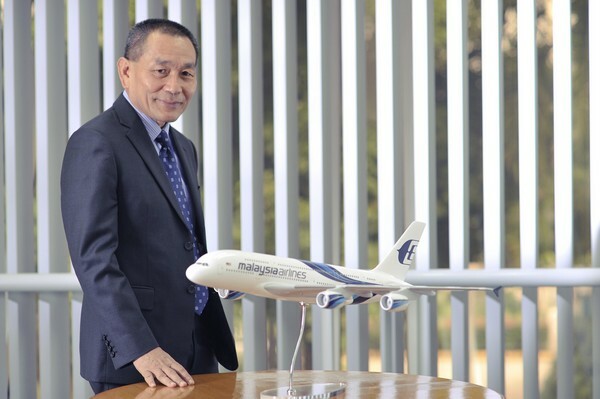 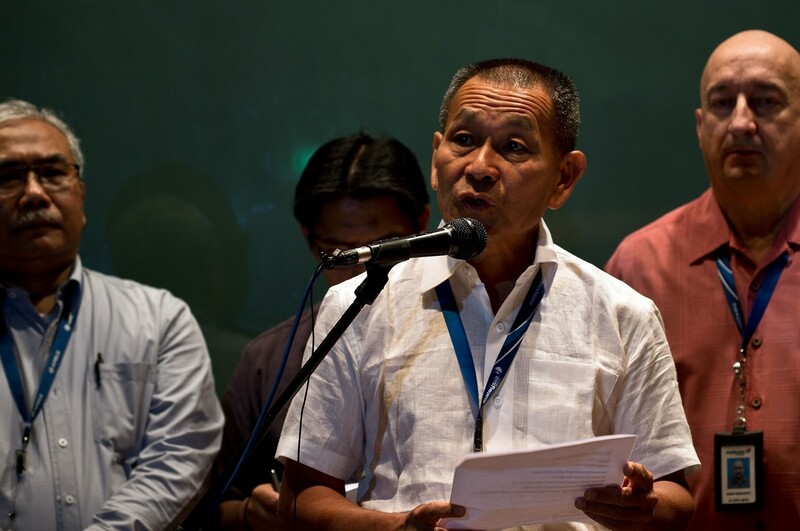 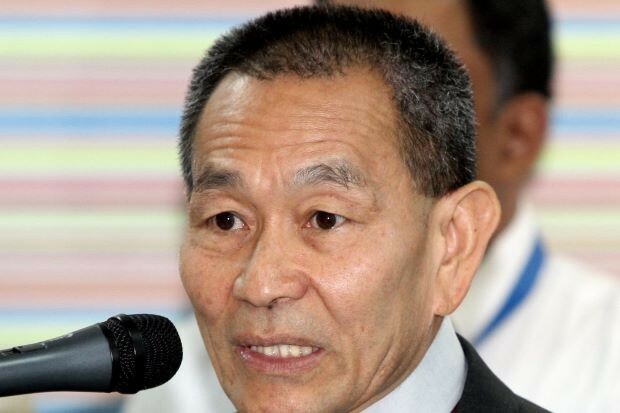 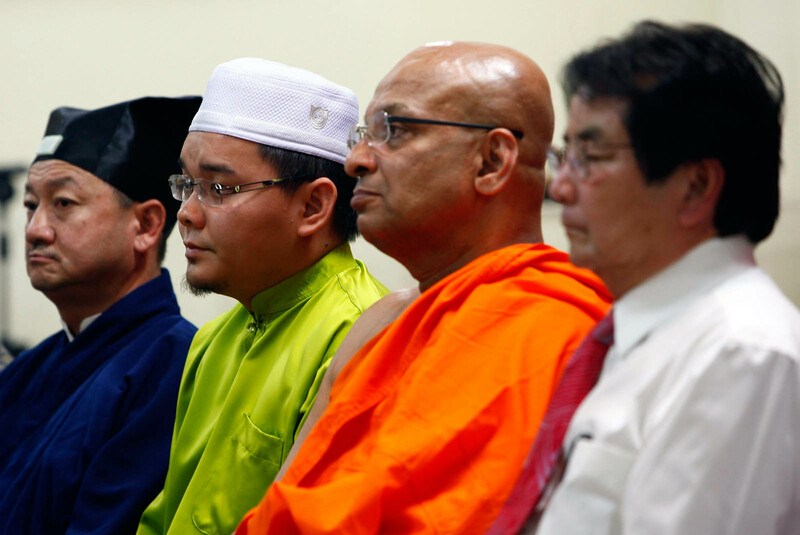 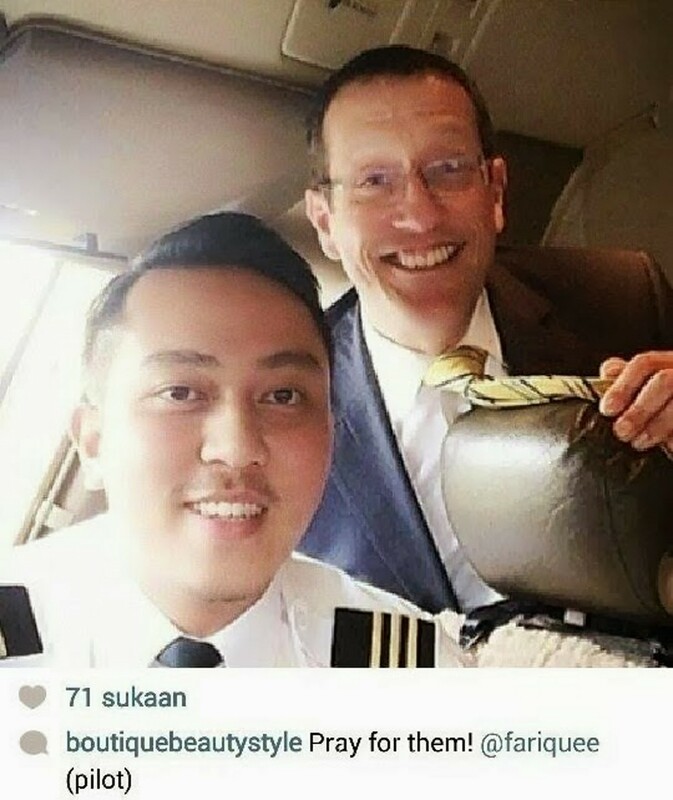 "We deeply regret that we have lost all contacts with flight MH370 which departed Kuala Lumpur at 12.41 am earlier this morning bound for Beijing," MAS CEO Ahmad Jauhari Yahya (above) said in a statement. 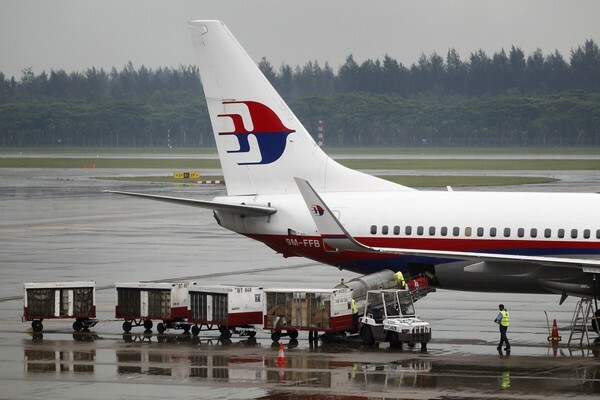 The statement said the Malaysian flag carrier was working with authorities, who had launched an effort to locate the aircraft. 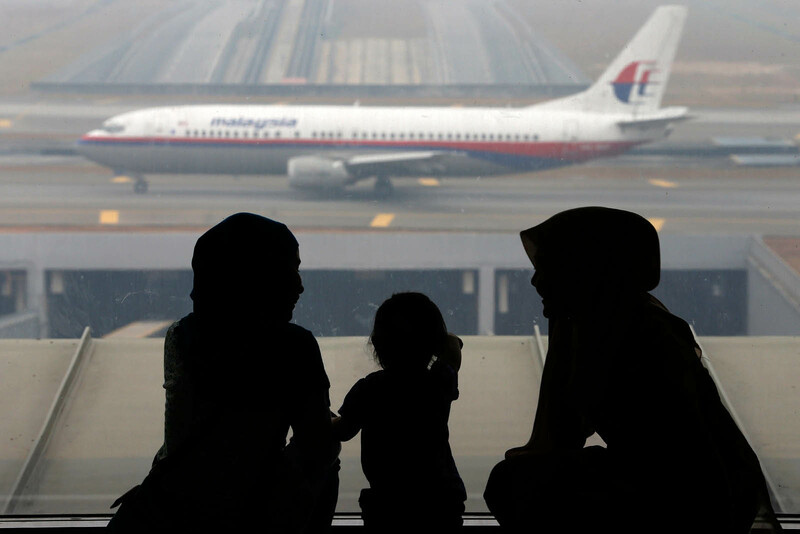 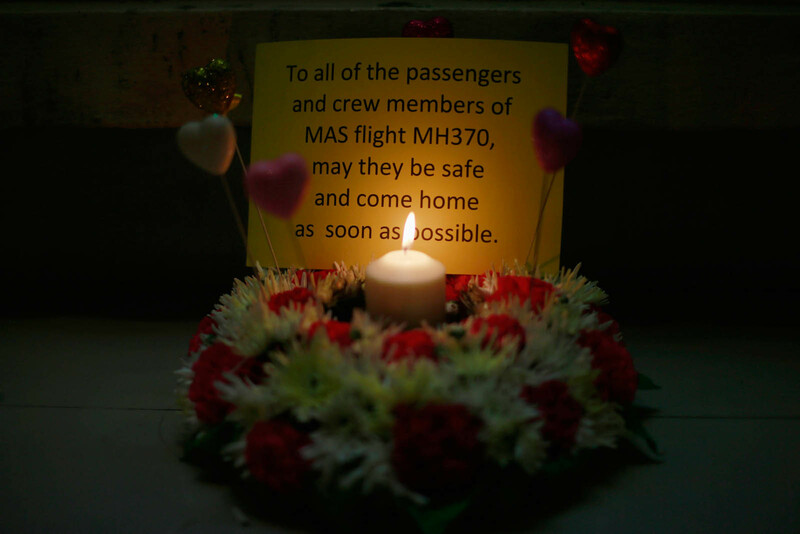 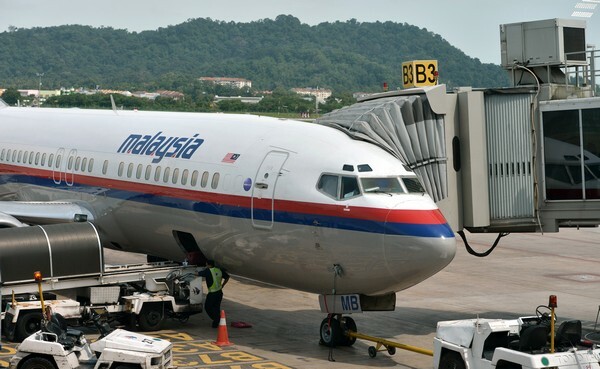 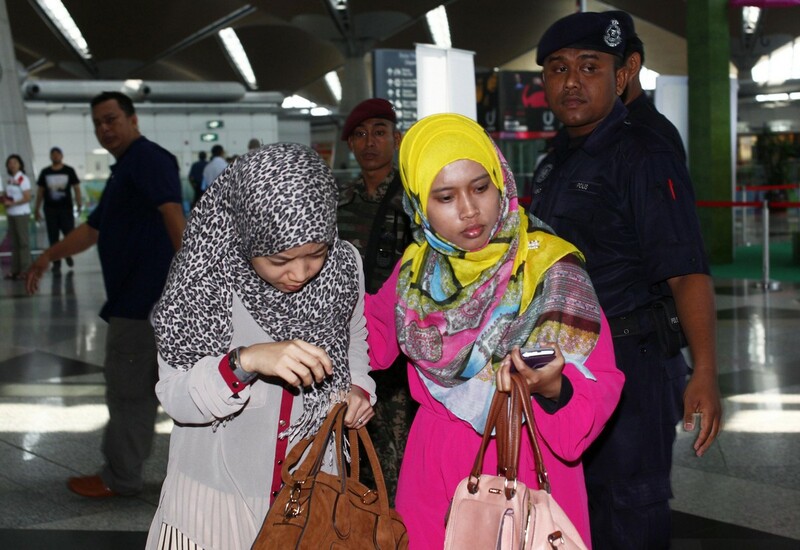 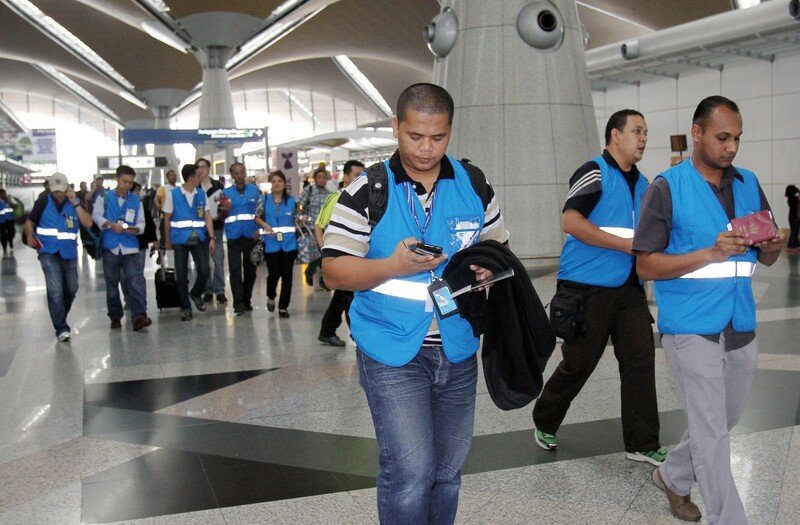 "Our team is currently calling the next-of-kin of passengers and crew," MAS CEO Ahmad Jauhari said. 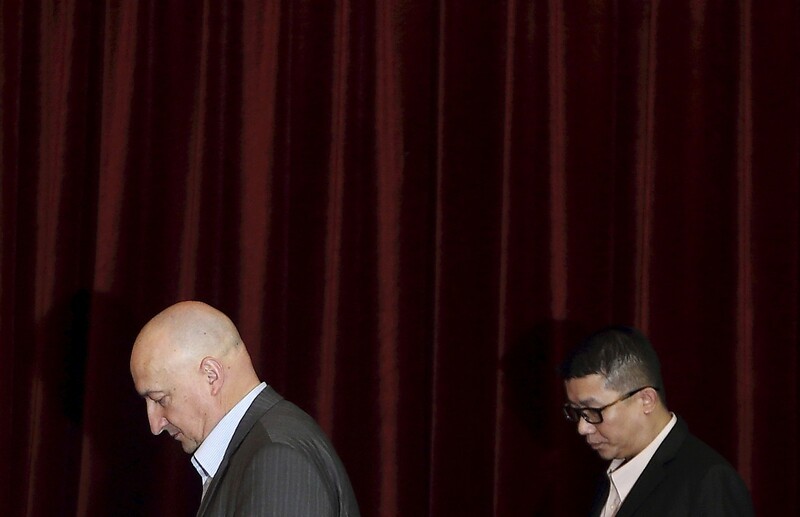 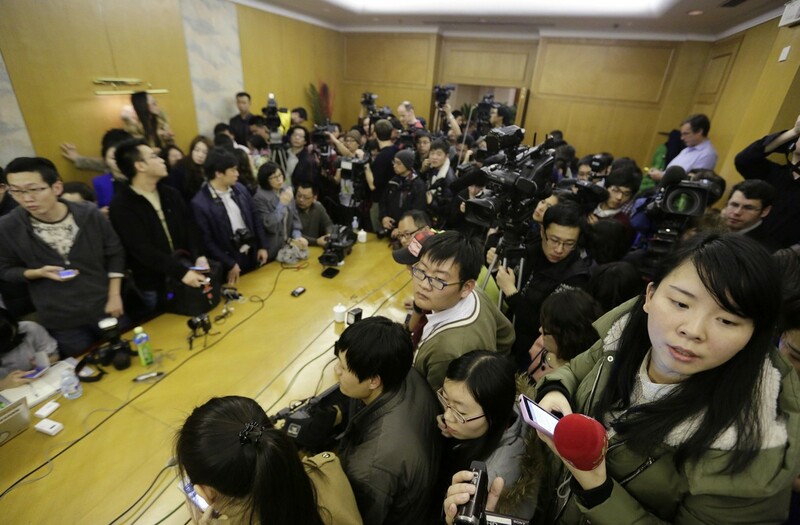 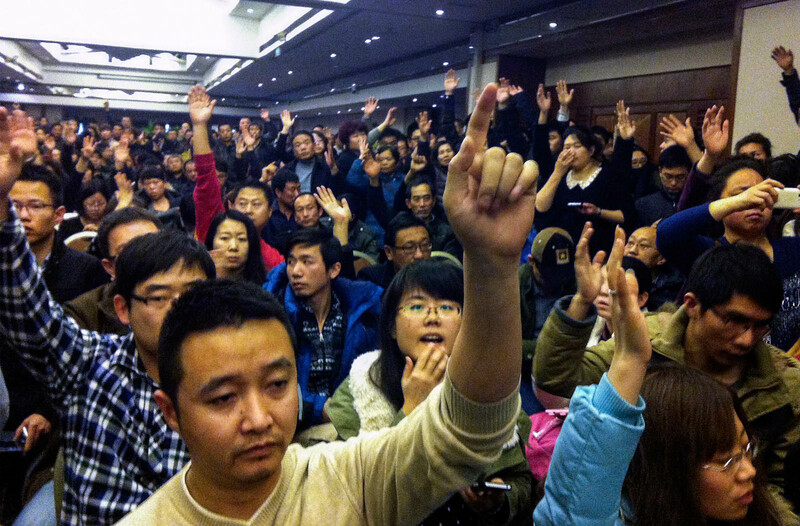 Journalists wait in a conference room for a news conference regarding the missing Malaysian Airlines flight MH370, at a hotel in Beijing March 8, 2014. 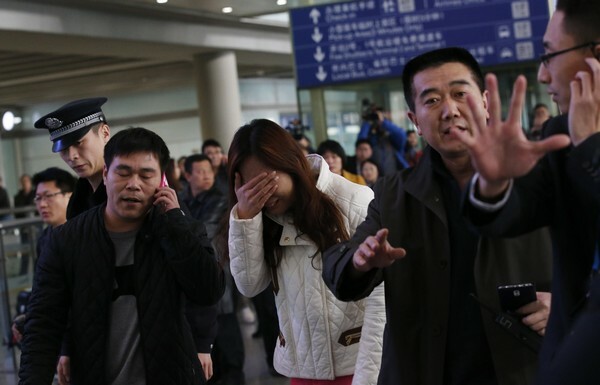 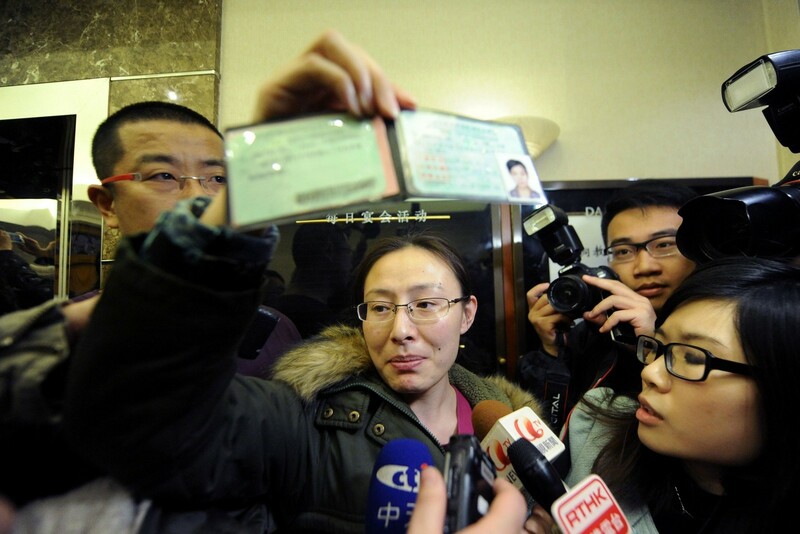 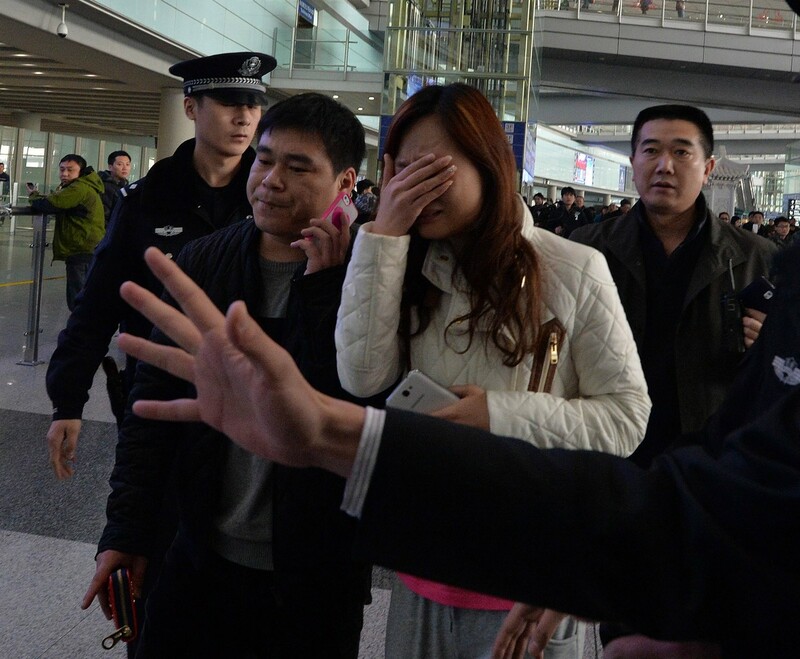 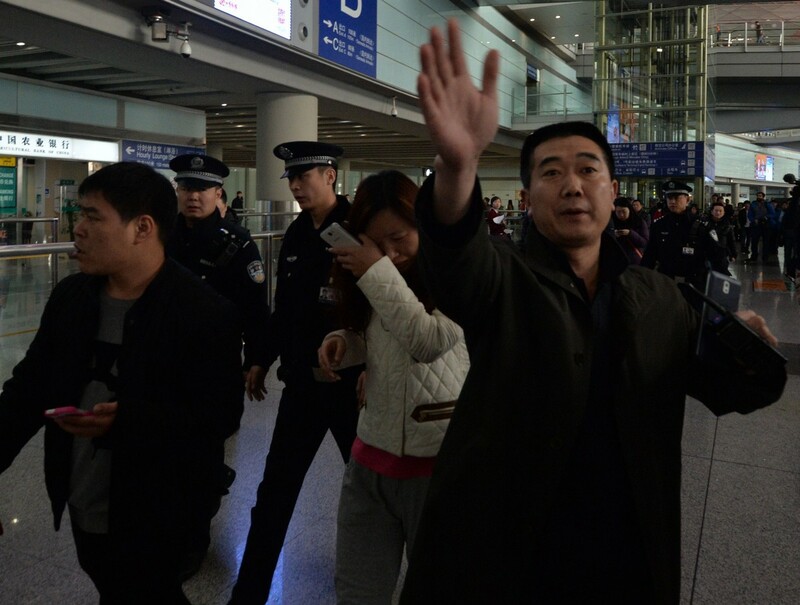 China's state television said 158 of the passengers were Chinese. 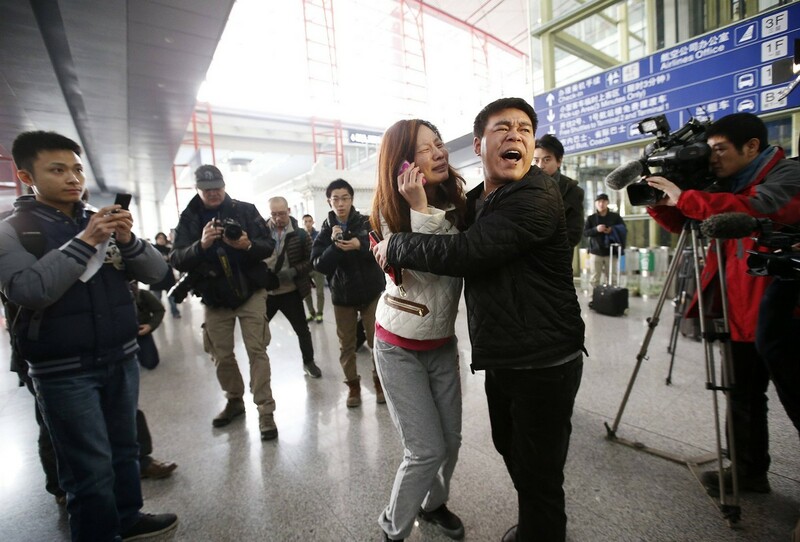 Xinhua also quoted Chinese aviation authorities saying the plane did not enter China's air traffic control sphere. 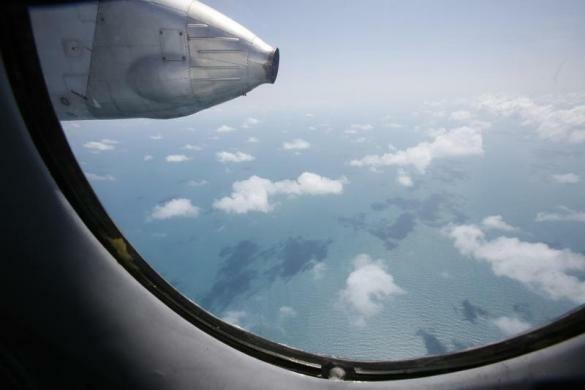 A report by China's Xinhua news agency said contact was lost with the plane while it was over Vietnamese airspace. 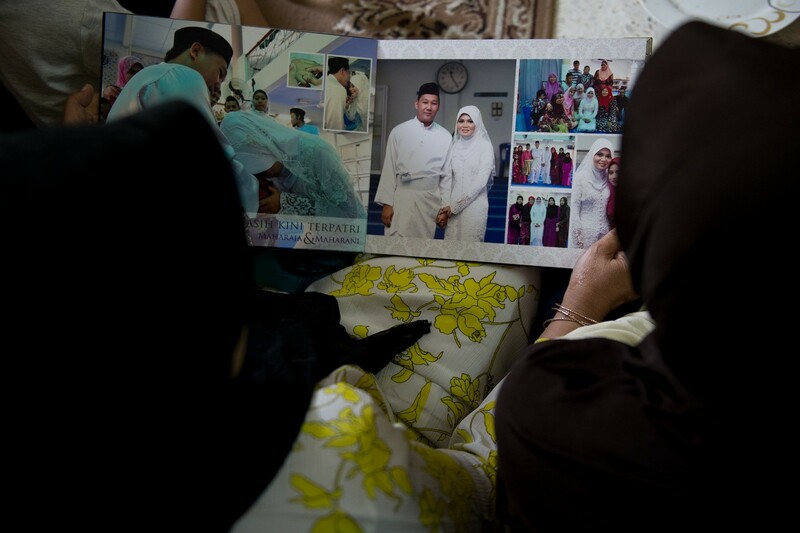 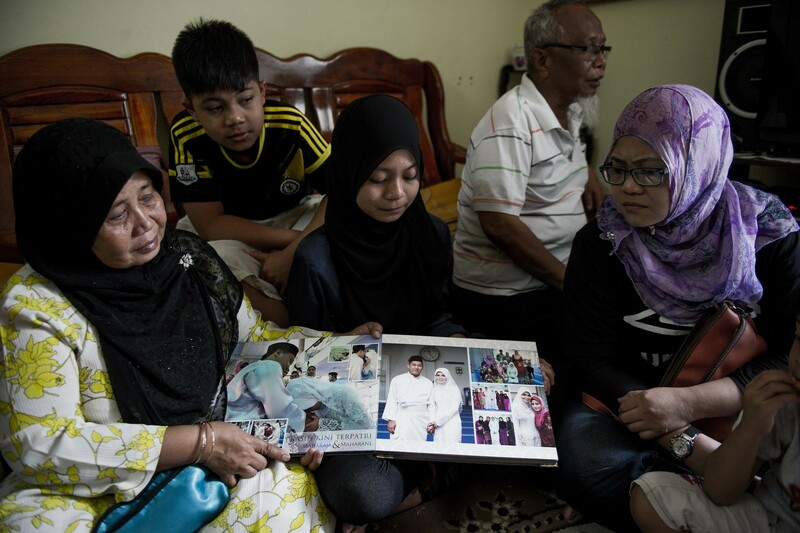 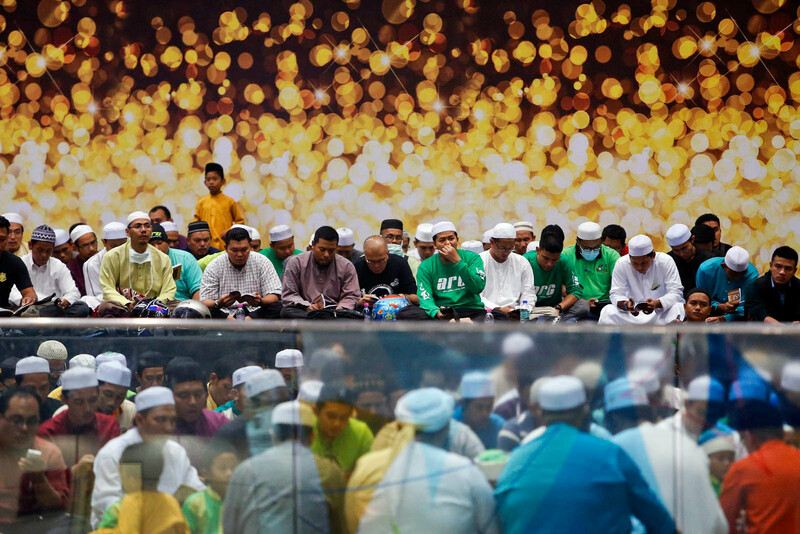 Family members look at a wedding album of Norliakmar Hamid (R, in veil) and Razahan Zamani, passengers on a missing Malaysia Airlines Boeing 777-200 plane in Kuala Lumpur on March 8, 2014. 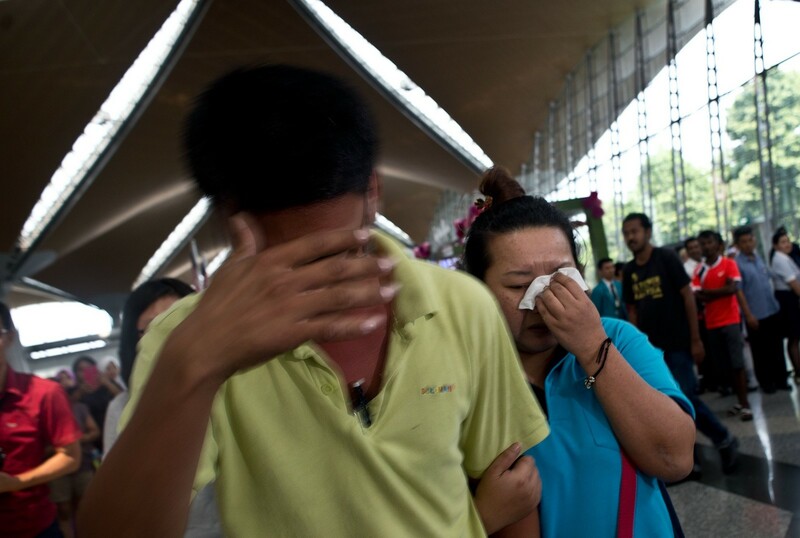 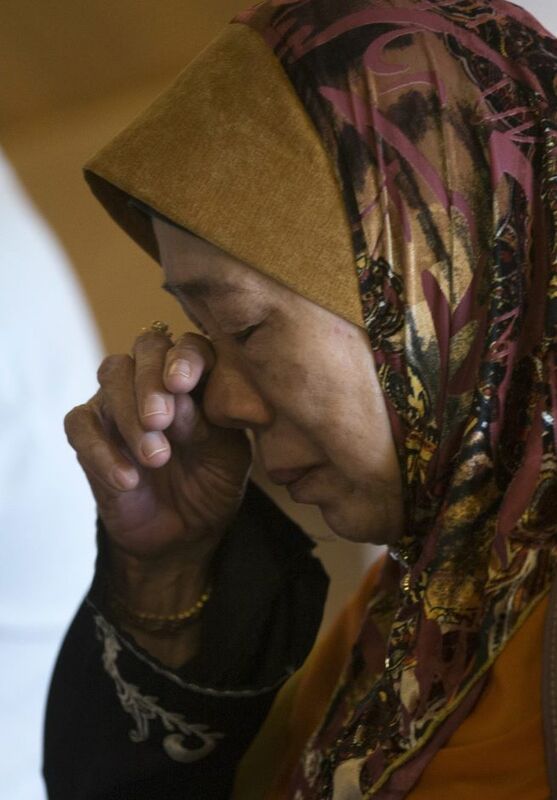 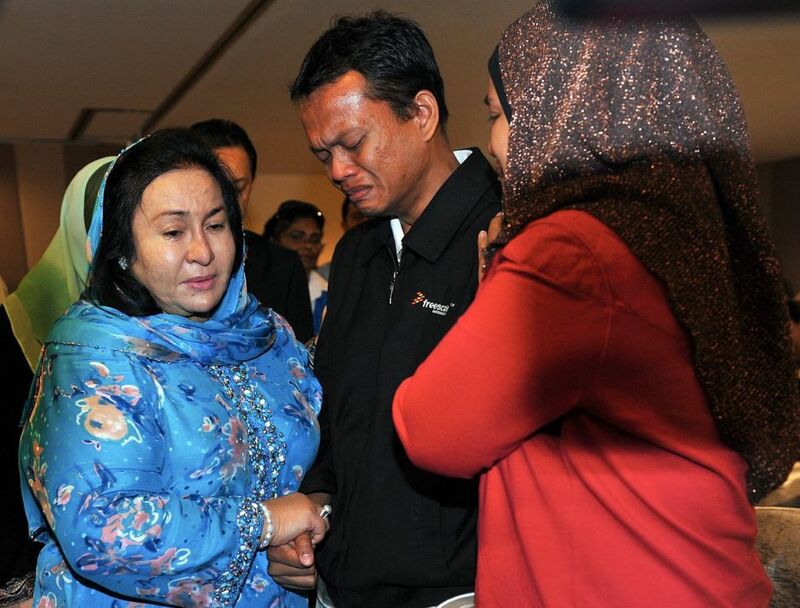 A relative of Norliakmar Hamid and Razahan Zamani, passengers on a missing Malaysia Airlines Boeing 777-200 plane, cries at their house in Kuala Lumpur on March 8, 2014. 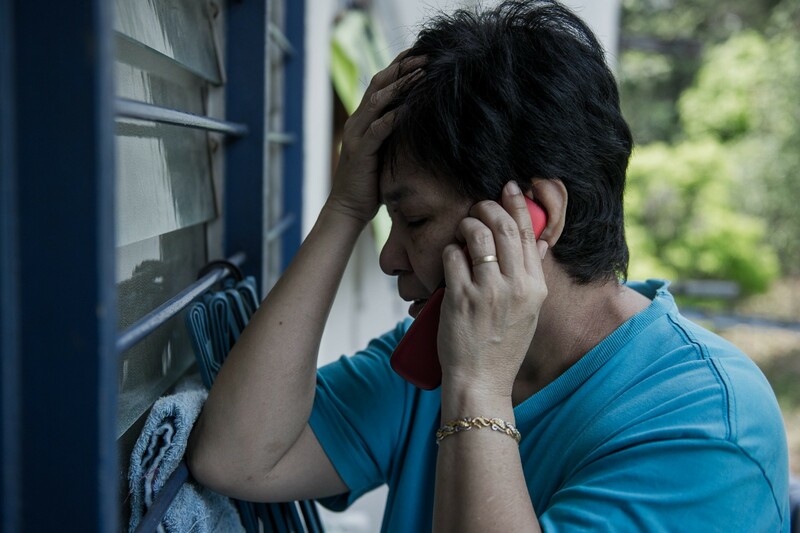 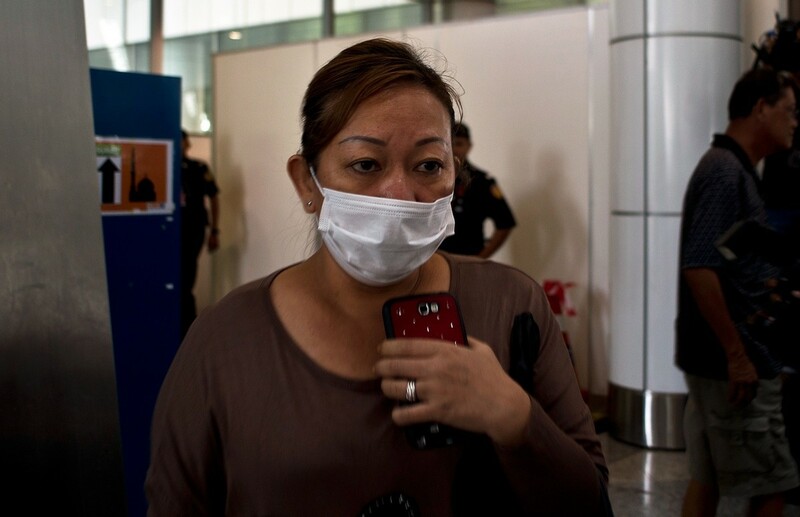 Sarah Nor, 55, the mother of 34-year-old Norliakmar Hamid, a passenger on a missing Malaysia Airlines Boeing 777-200 plane, talks on a mobile phone at her house in Kuala Lumpur on March 8, 2014. 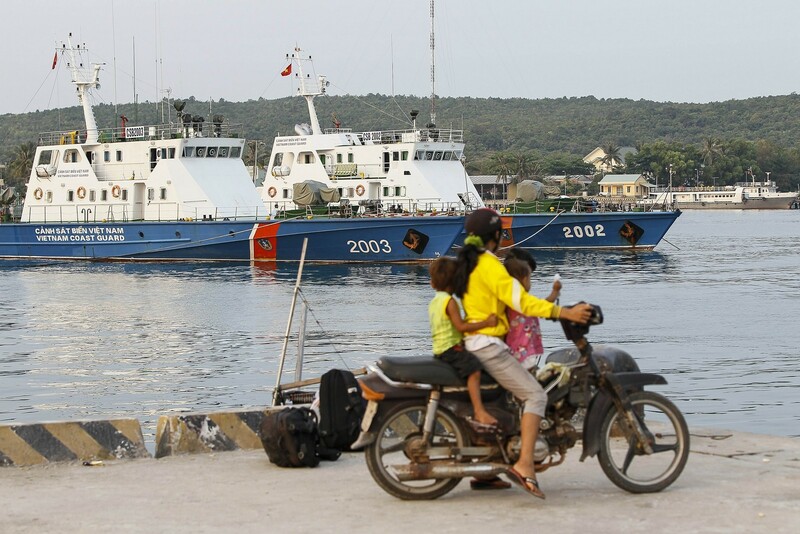 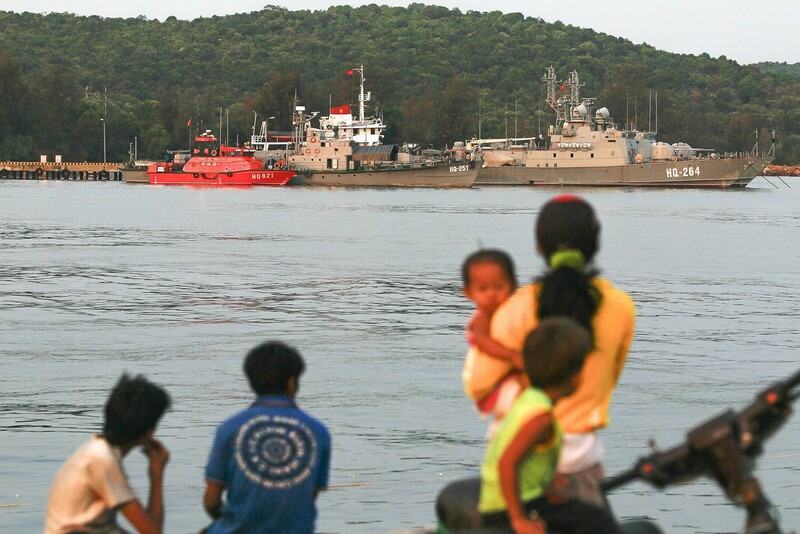 Residents look at ships anchored at a local naval base at Phu Quoc island, in the waters of southern Vietnam, where a Malaysian Airlines jet was presumed lost on March 8, 2014. 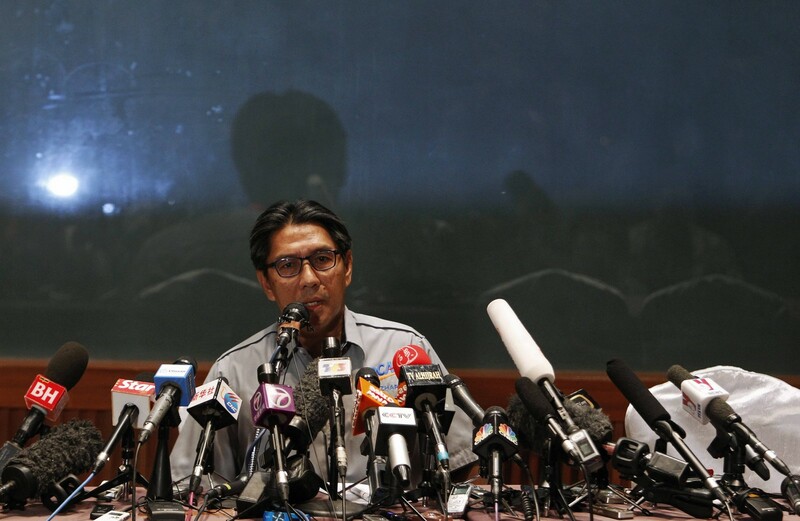 Malaysia's Department of Civil Aviation (DCA) Director General Datuk Azharuddin Abdul Rahman (L) speaks at a news conference at a hotel near the Kuala Lumpur International Airport in Sepang March 9, 2014. 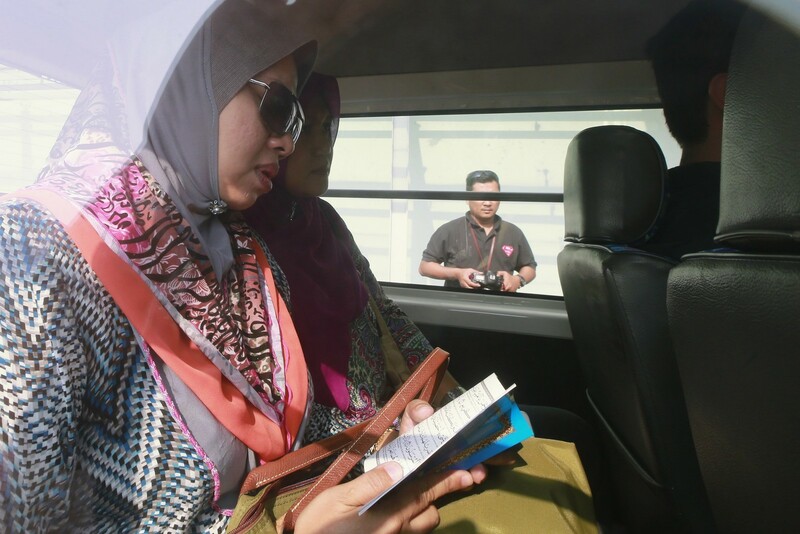 Family members of those onboard the missing Malaysia Airlines MH370 flight read the Koran inside a car outside the hotel they are staying in, in Putrajaya March 9, 2014. 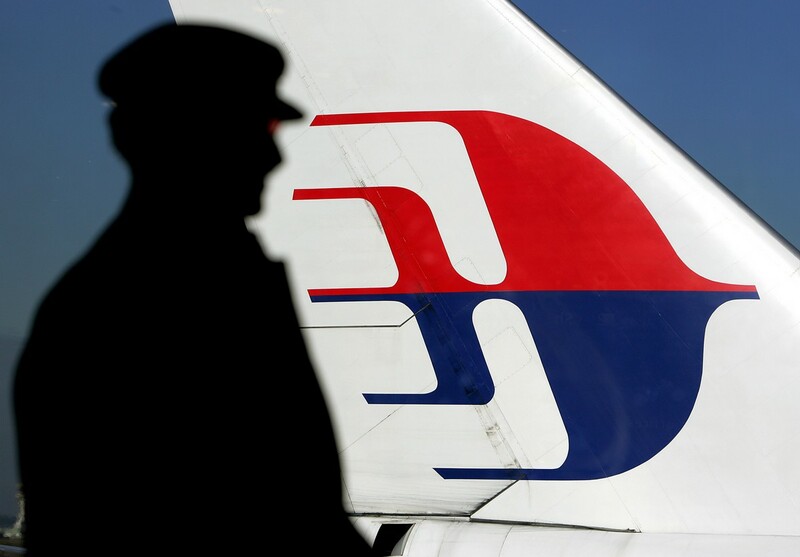 Representatives of Malaysia Airlines attend a news conference about Malaysia Airlines flight MH370 at a hotel in Beijing, early March 9, 2014. 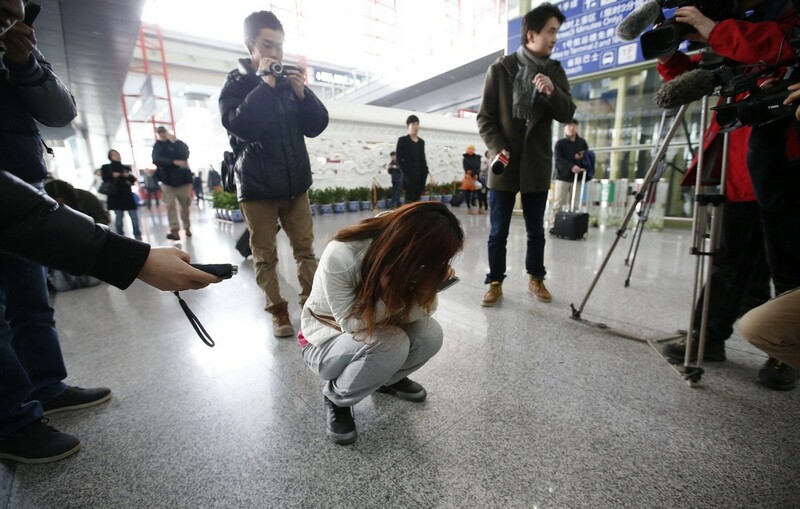 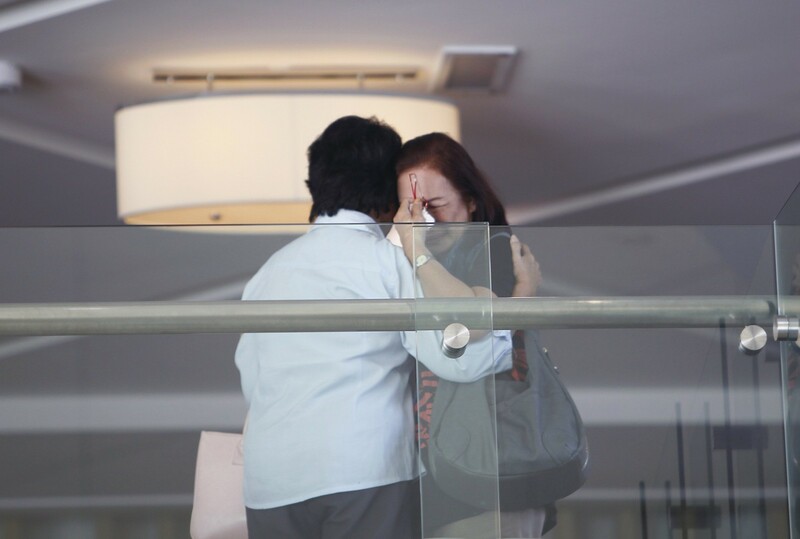 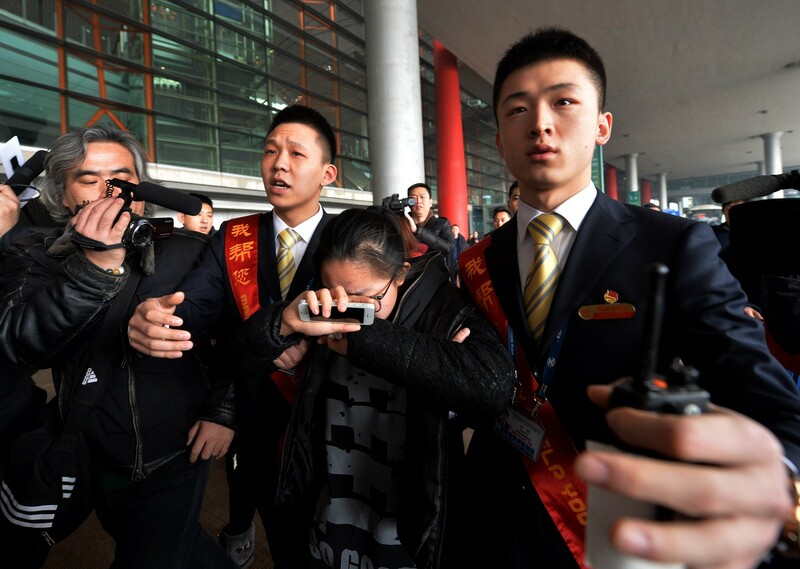 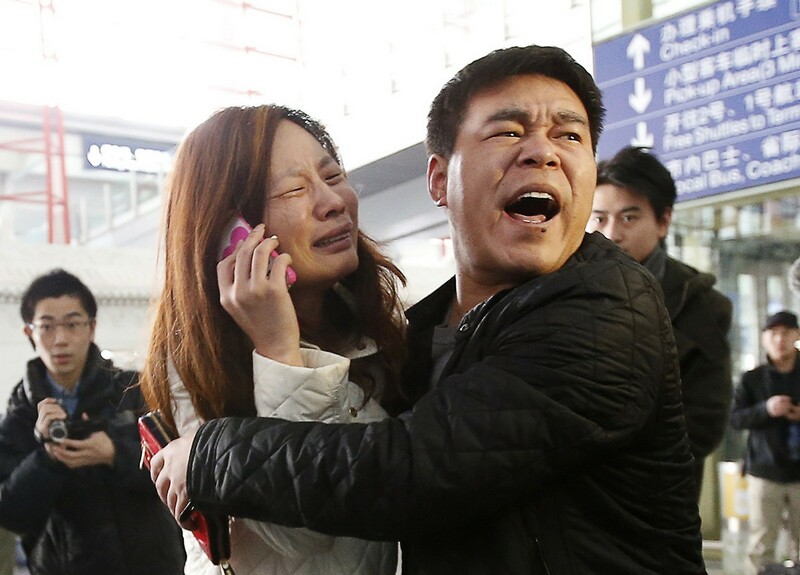 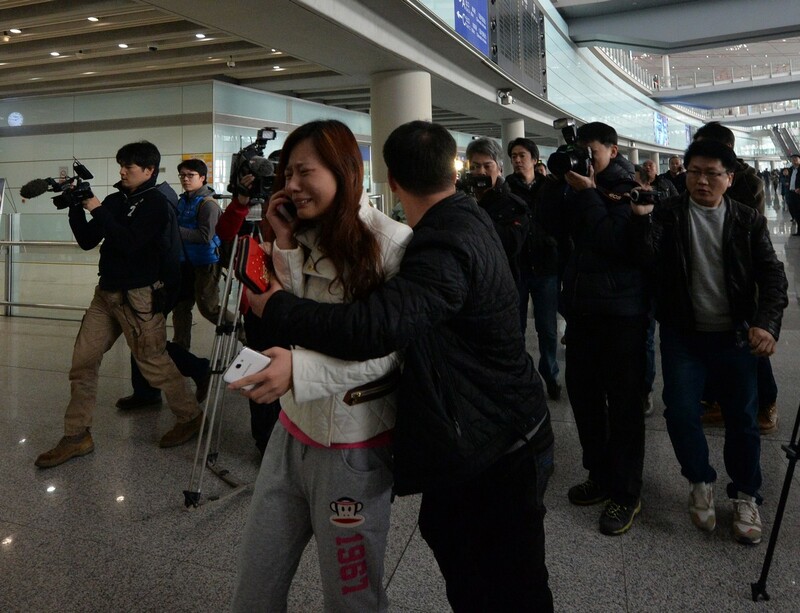 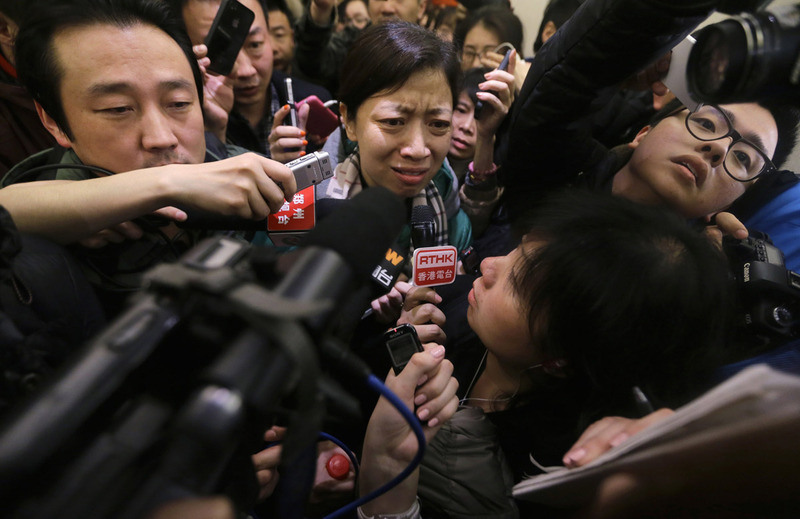 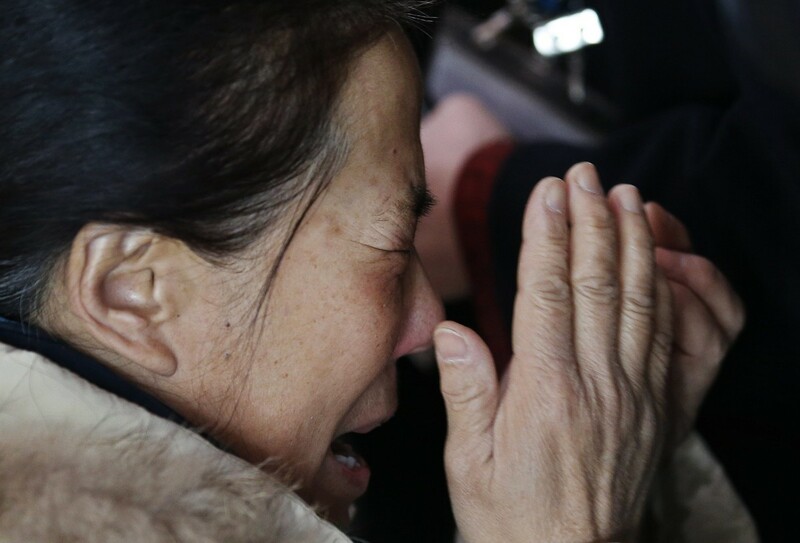 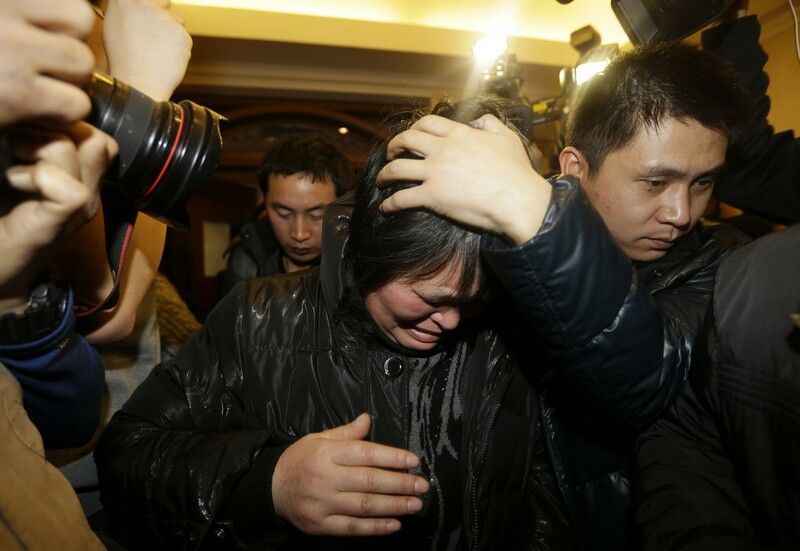 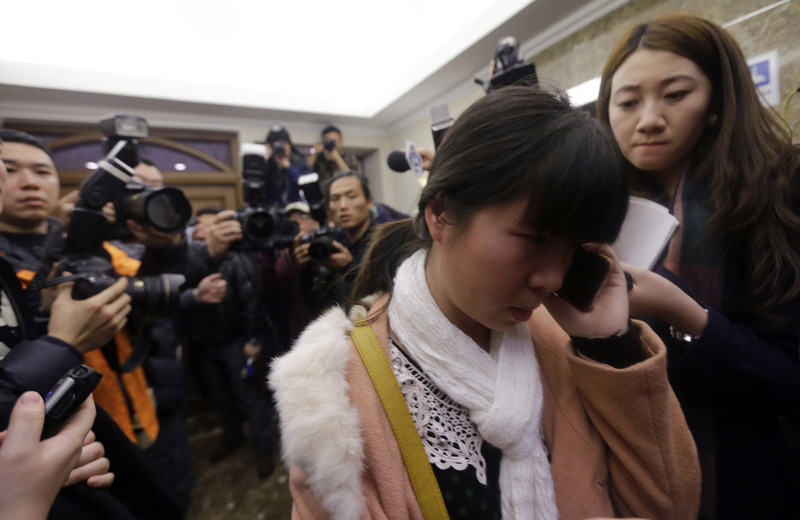 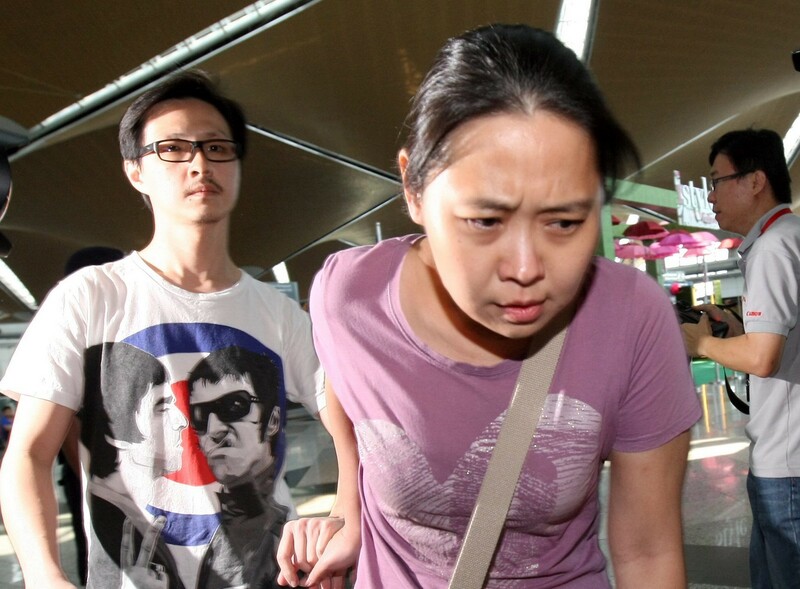 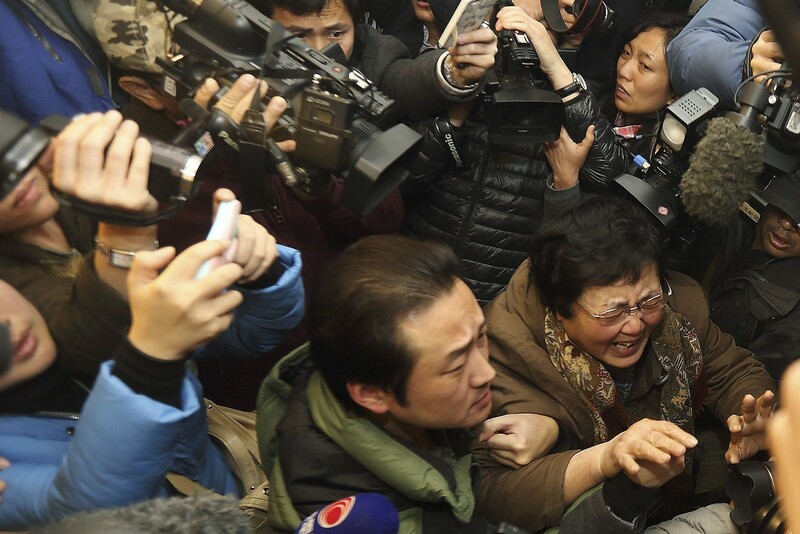 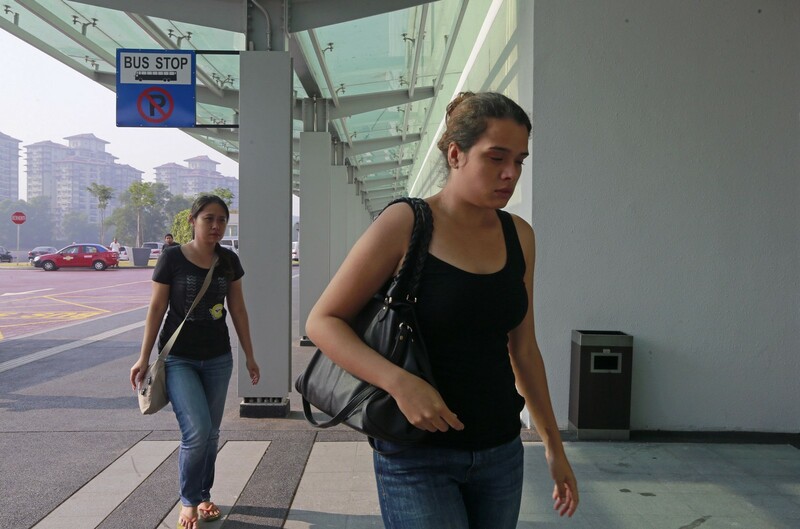 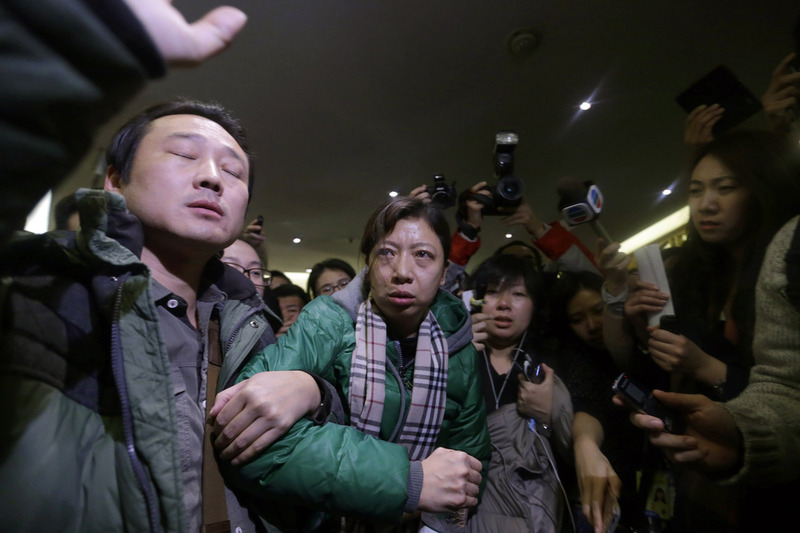 A relative (bottom R) of a passenger of Malaysia Airlines flight MH370 cries as she walks past journalists at a hotel in Beijing March 8, 2014. 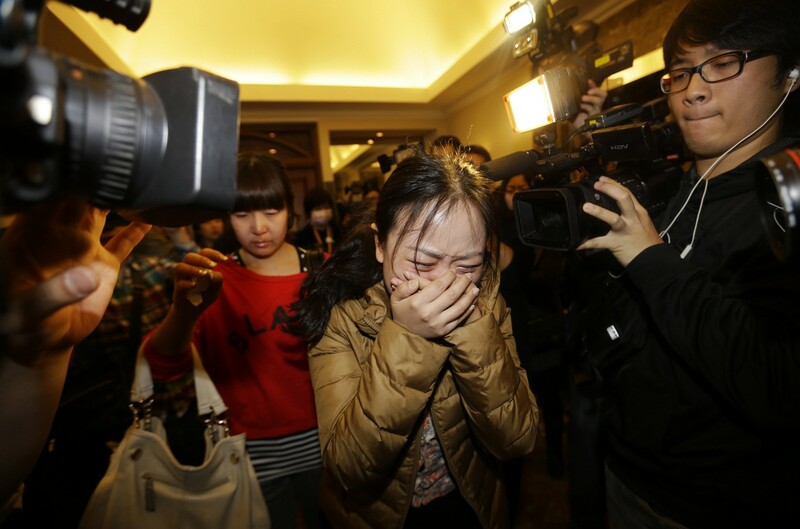 A relative of a passenger of Malaysia Airlines flight MH370 cries as she walks past journalists at a hotel in Beijing March 9, 2014. 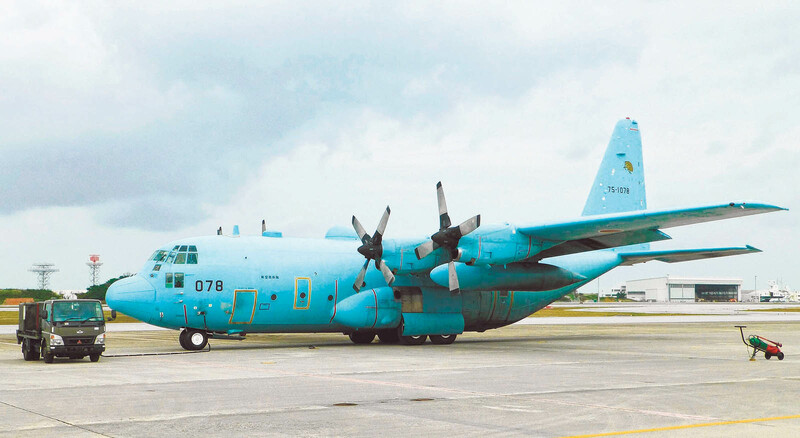 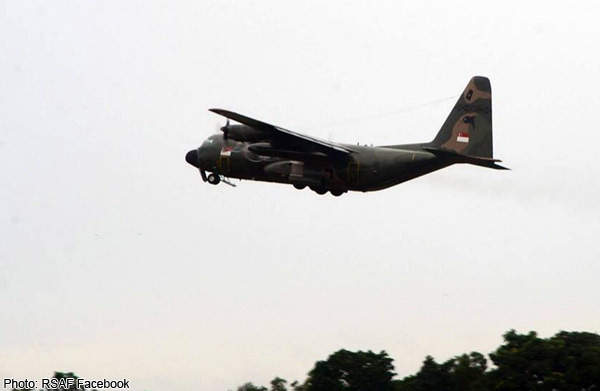 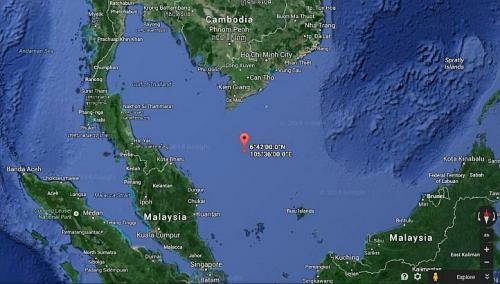 RSAF also deployed additional C-130 to the search area approximately 700km north of Singapore. 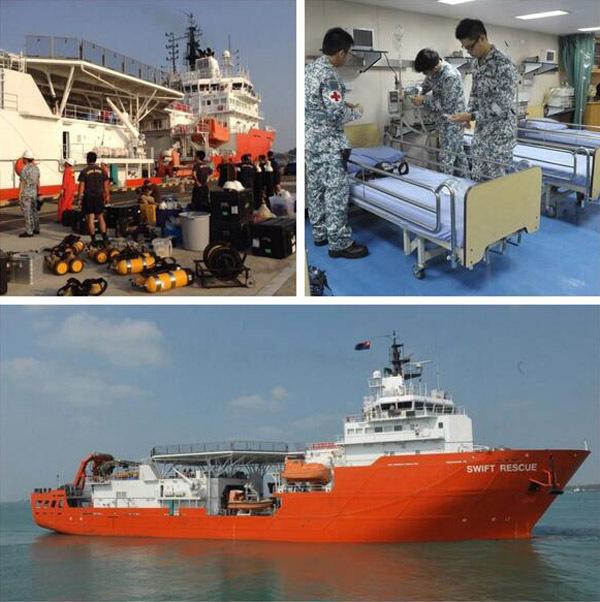 Supplies being loaded onto the MV Swift Rescue before its departure Mar 9 morning. 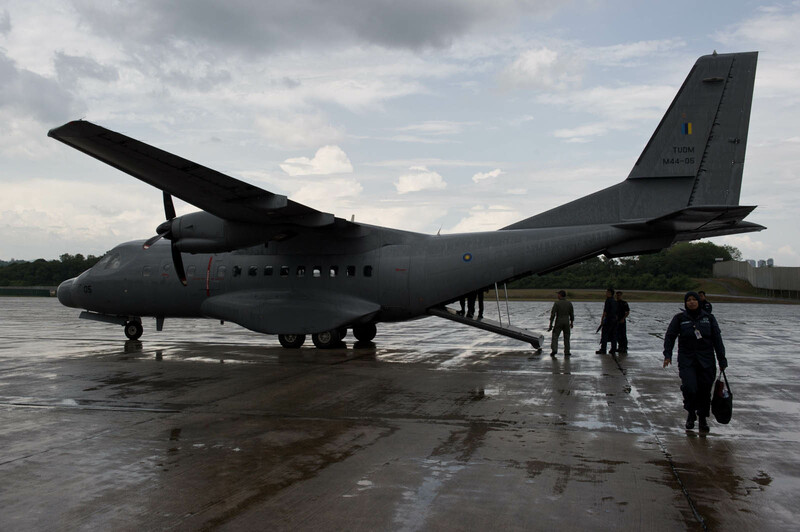 A Malaysian Air Force CN235 aircraft are seen on the tarmac during a search and rescue (SAR) operation to find the missing Malaysia Airlines flight MH370 plane over the Strait of Malacca in Subang. 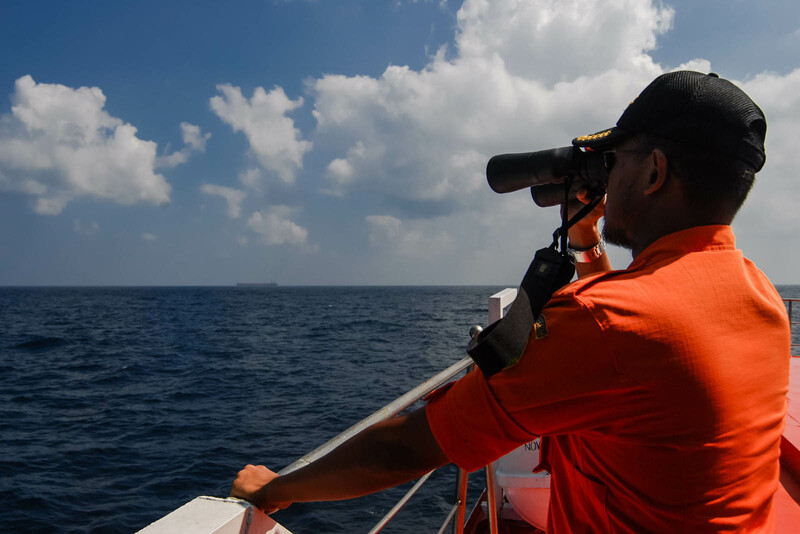 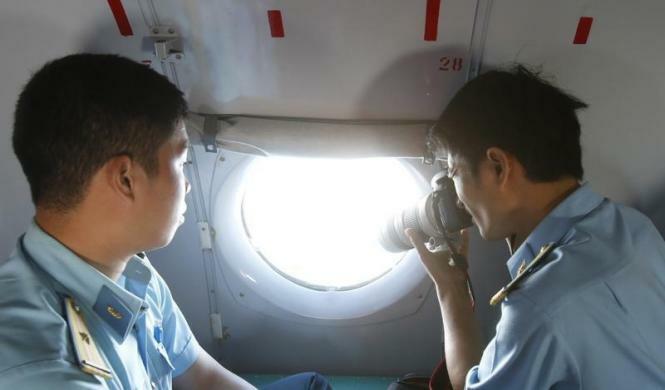 Crew members looking outside windows from a Malaysian Air Force CN235 aircraft working during a search and rescue (SAR) operation to find the missing Malaysia Airlines flight MH370 plane over the Strait of Malacca. 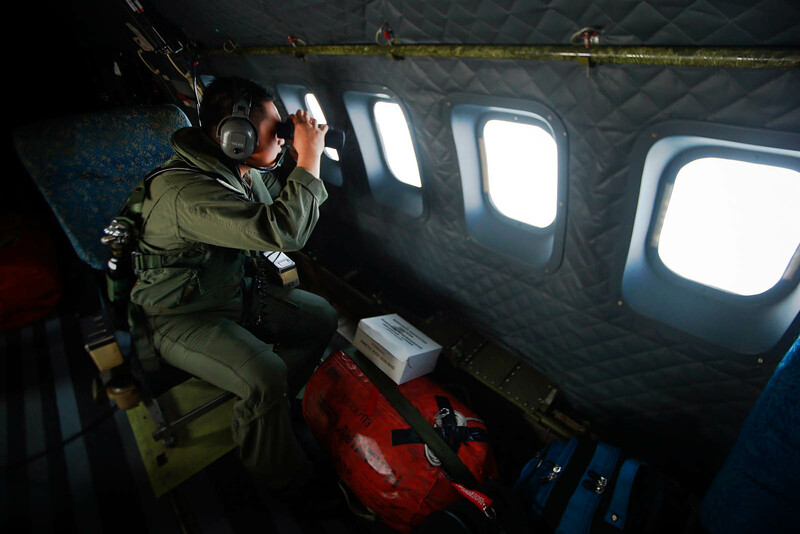 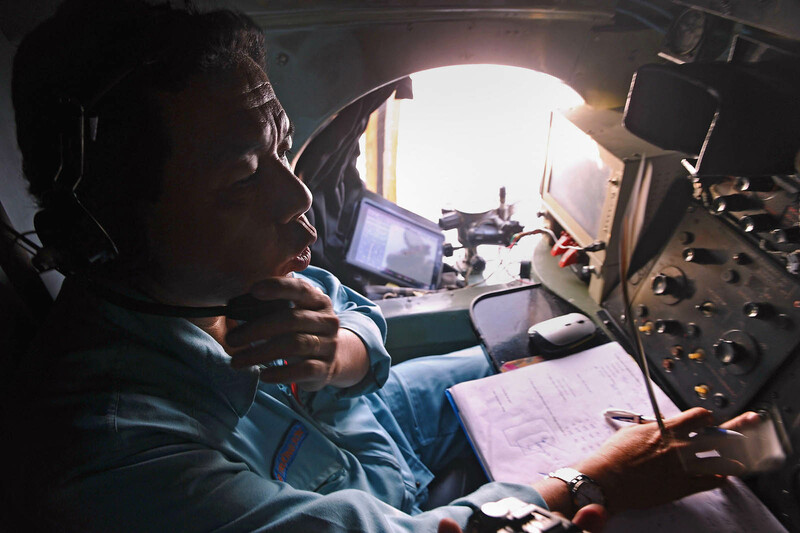 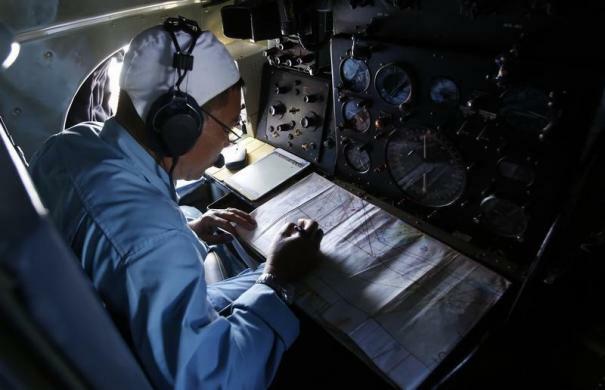 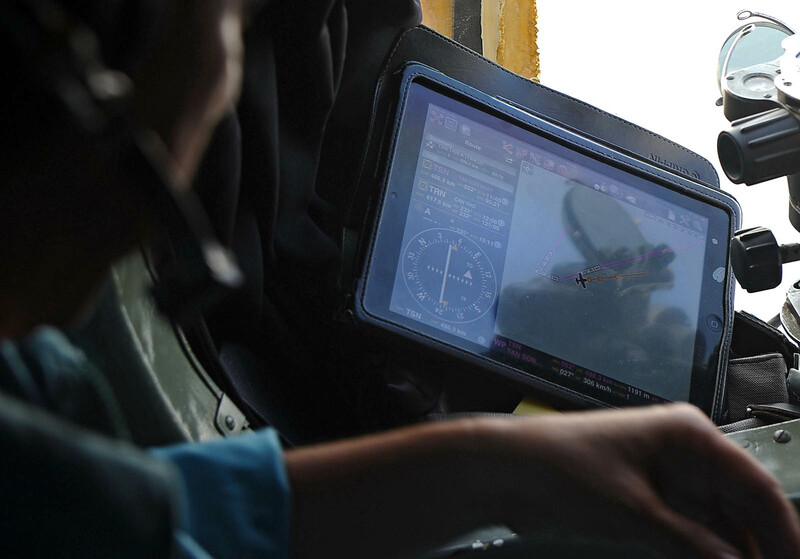 Crew member from a Malaysian Air Force CN235 aircraft working during a search and rescue (SAR) operation to find the missing Malaysia Airlines flight MH370 plane over the Strait of Malacca.